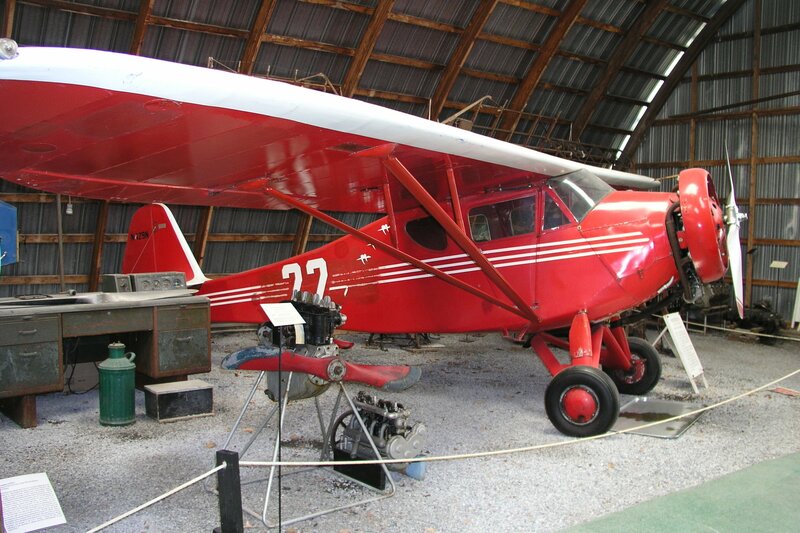 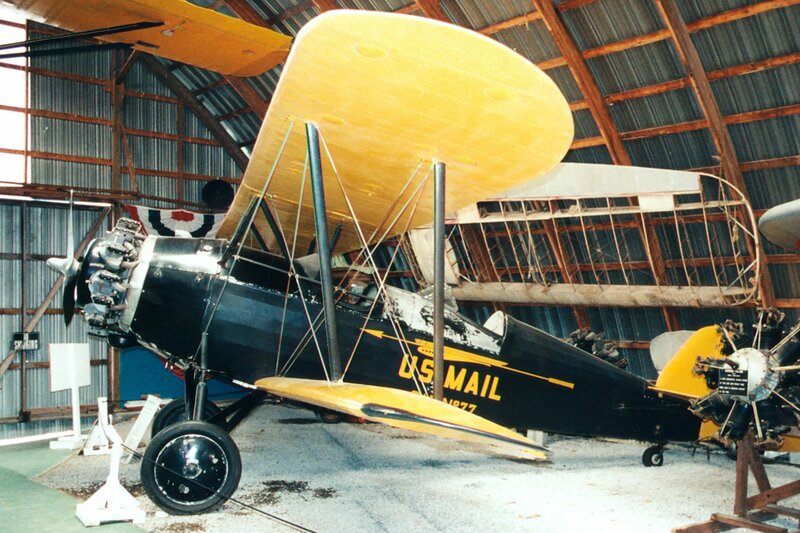 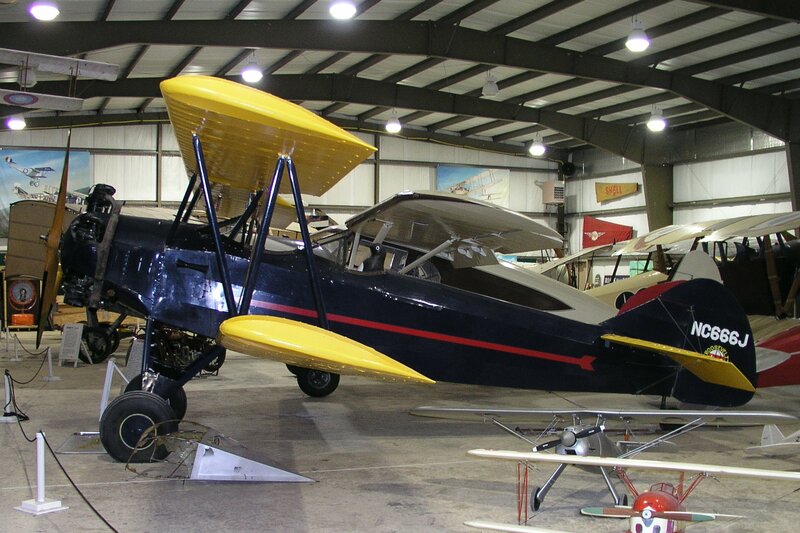 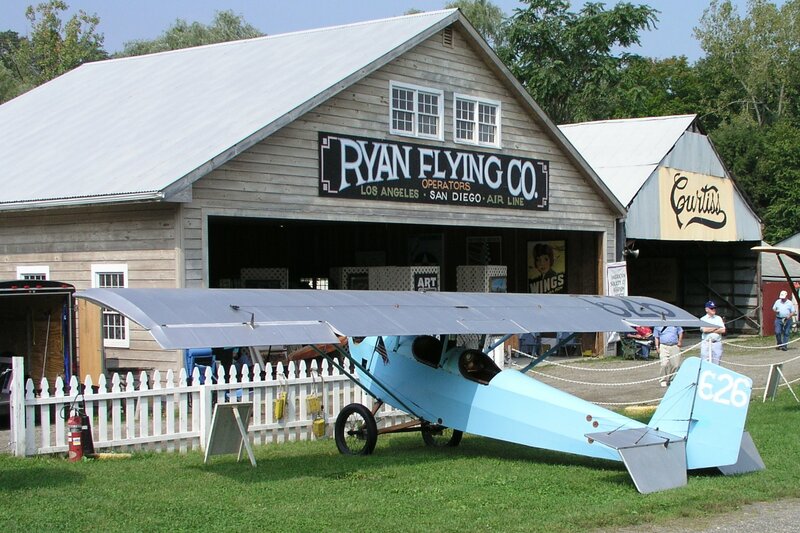 If you have a “Bucket List” of aviation museums and the Old Rhinebeck Aerodrome is not on it, your list needs to be revised! 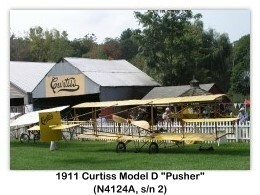 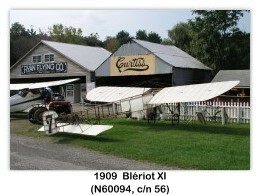 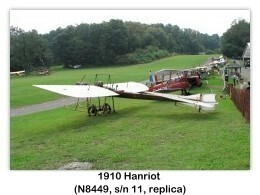 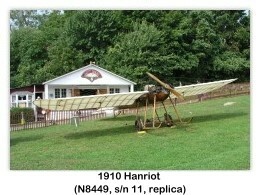 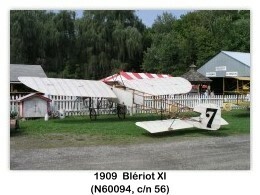 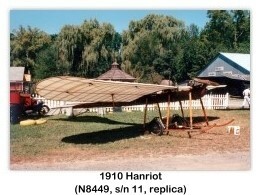 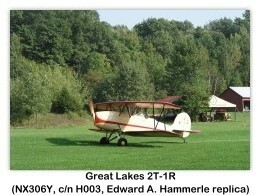 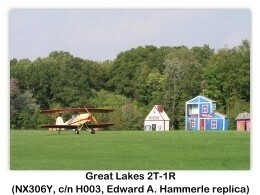 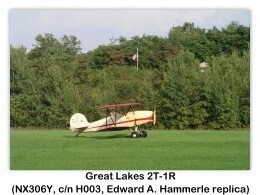 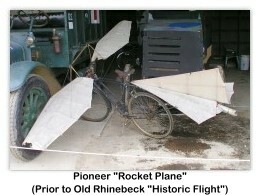 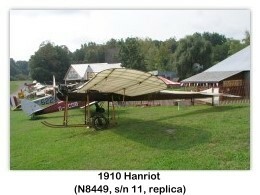 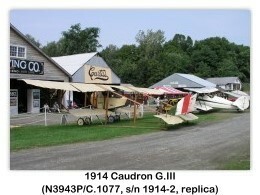 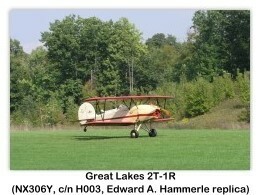 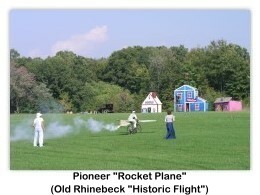 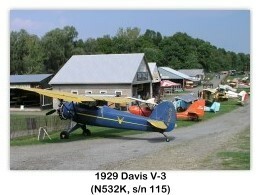 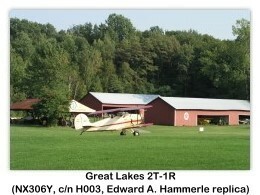 The Old Rhinebeck Aerodrome is located in upstate New York along the Hudson River, in the town of Rhinebeck. 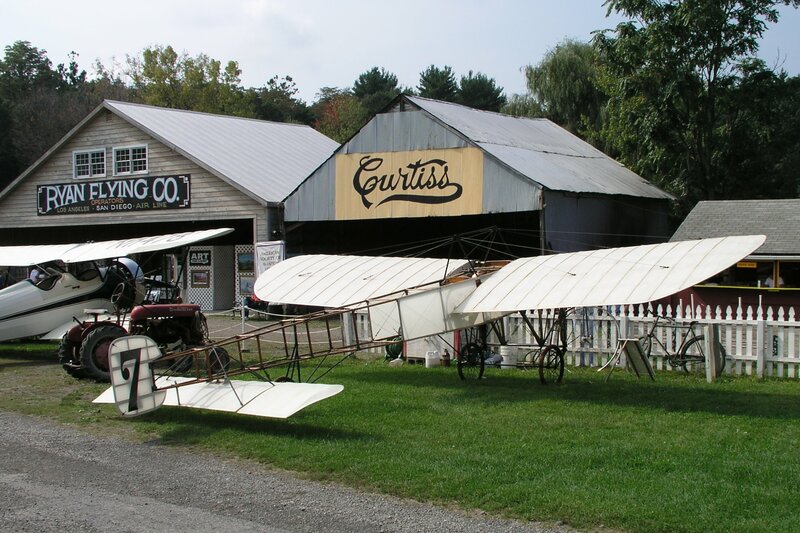 It is approximately two hours north of New York City. 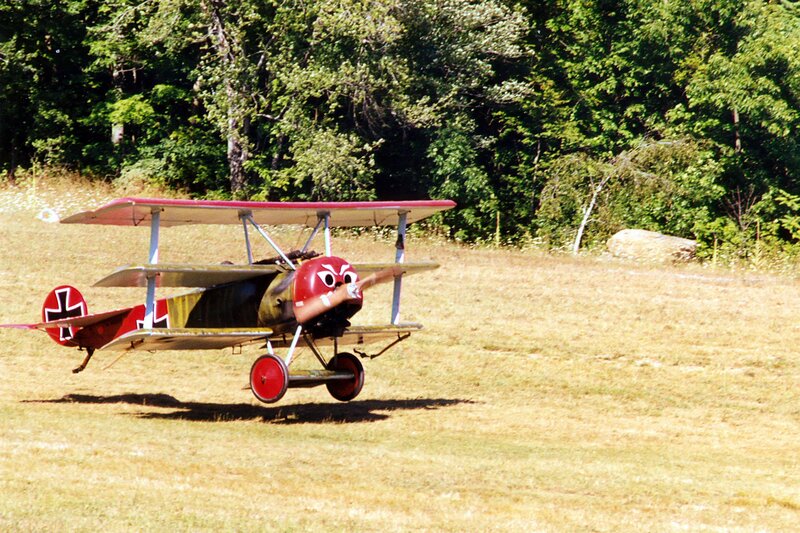 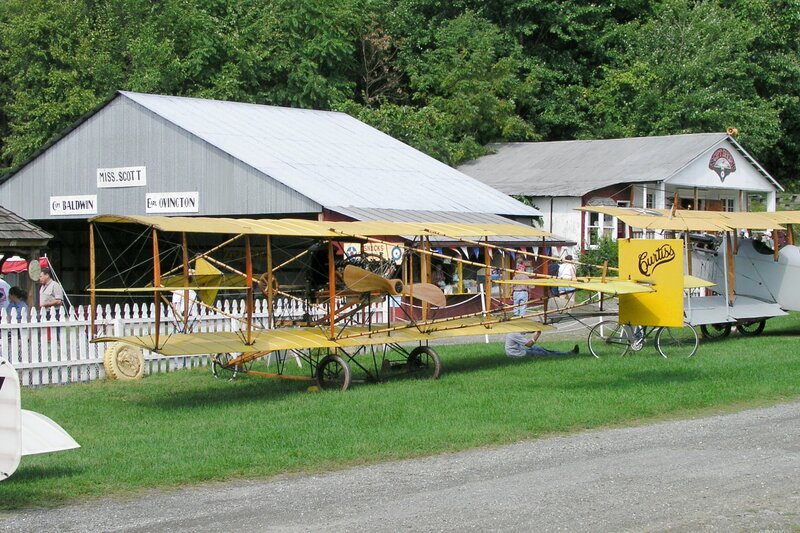 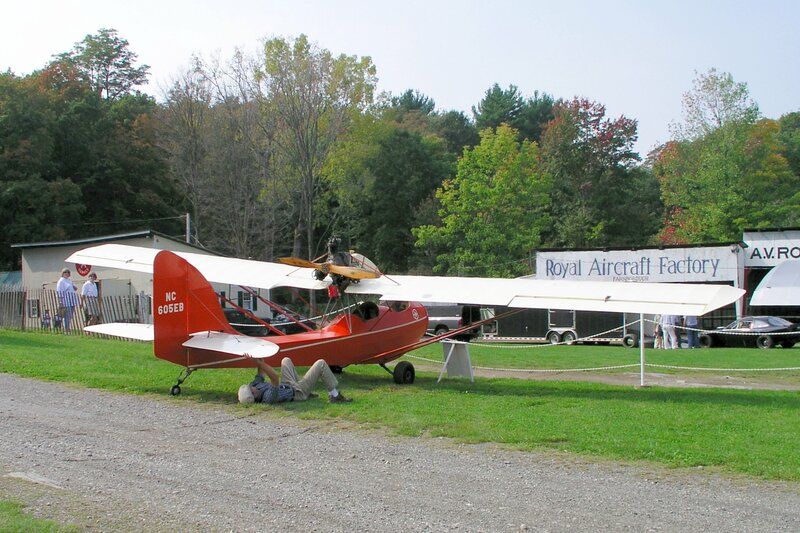 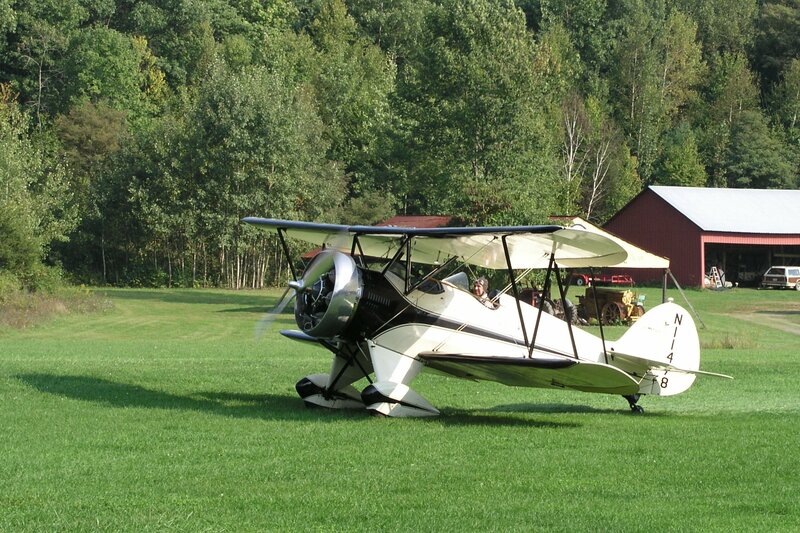 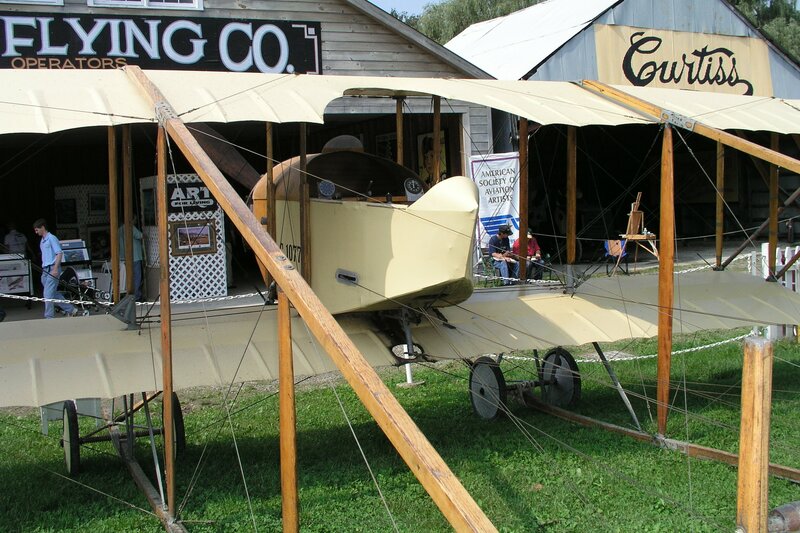 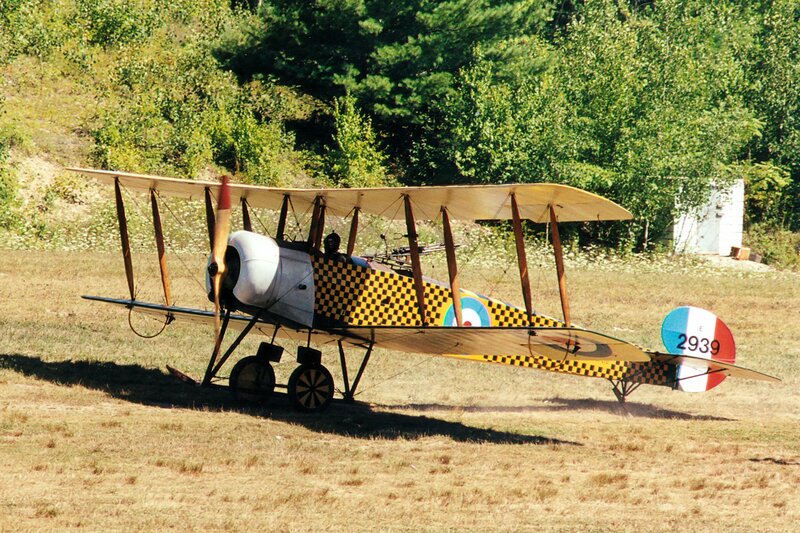 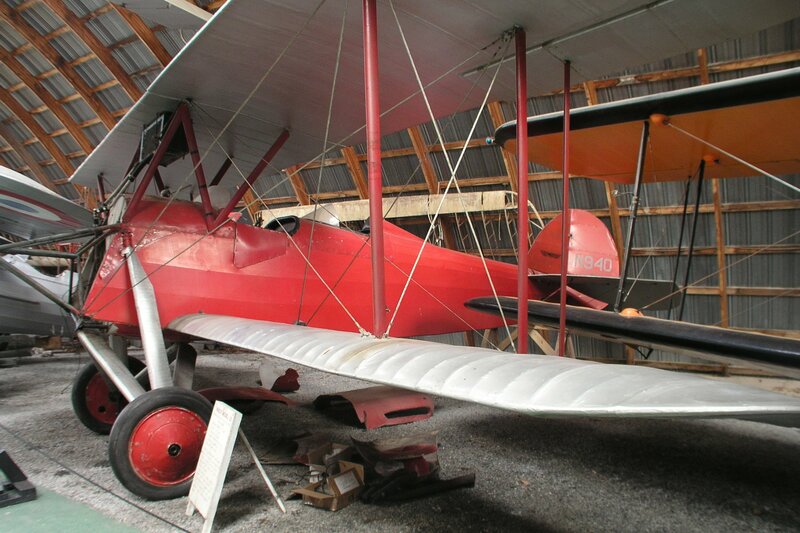 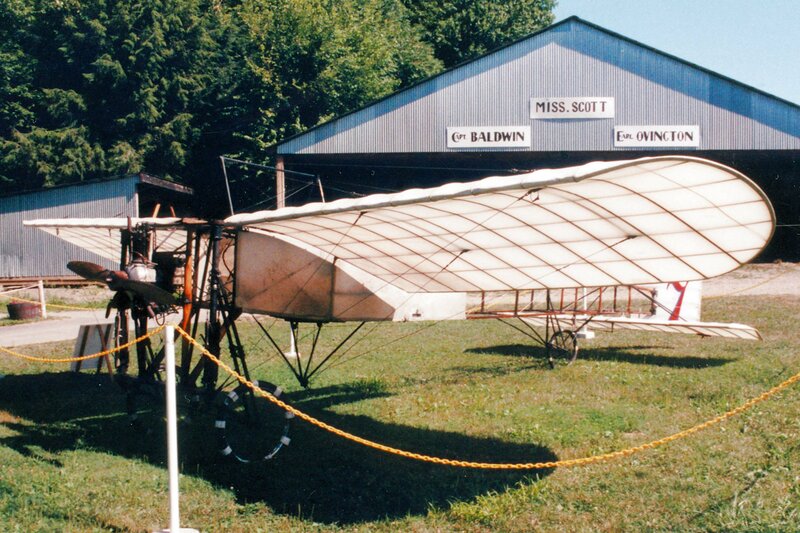 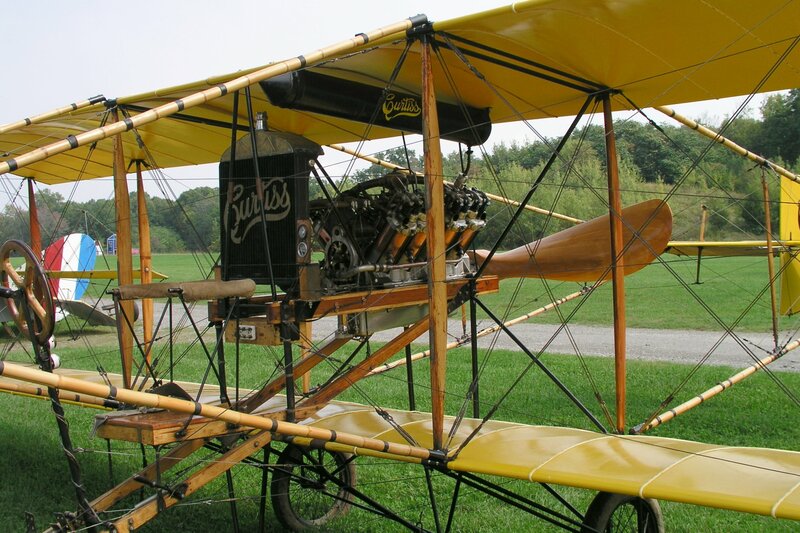 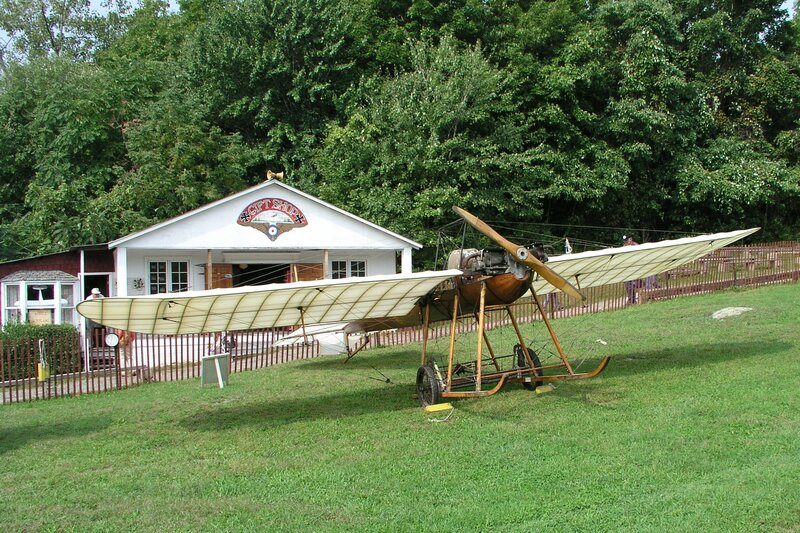 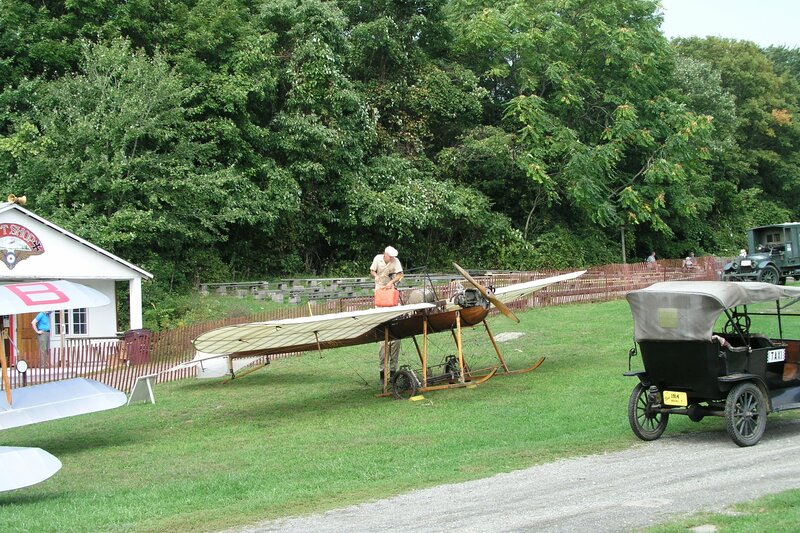 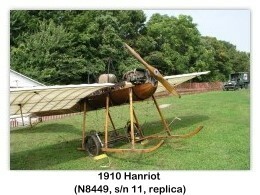 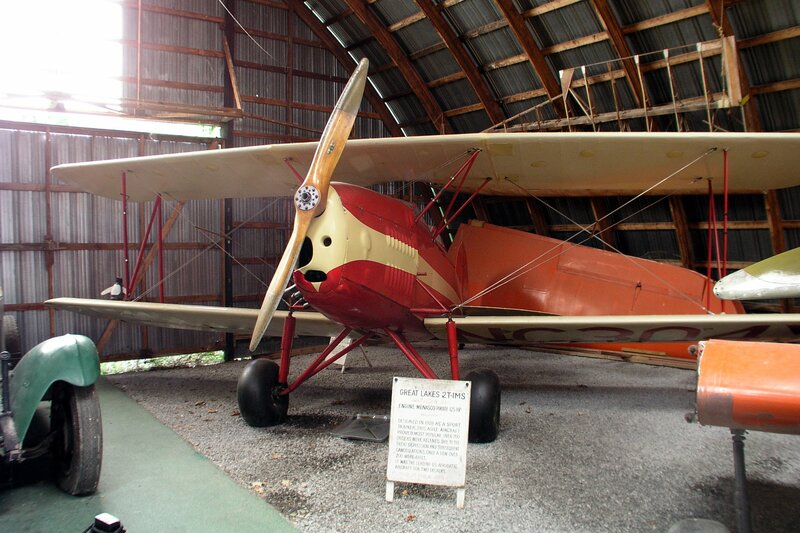 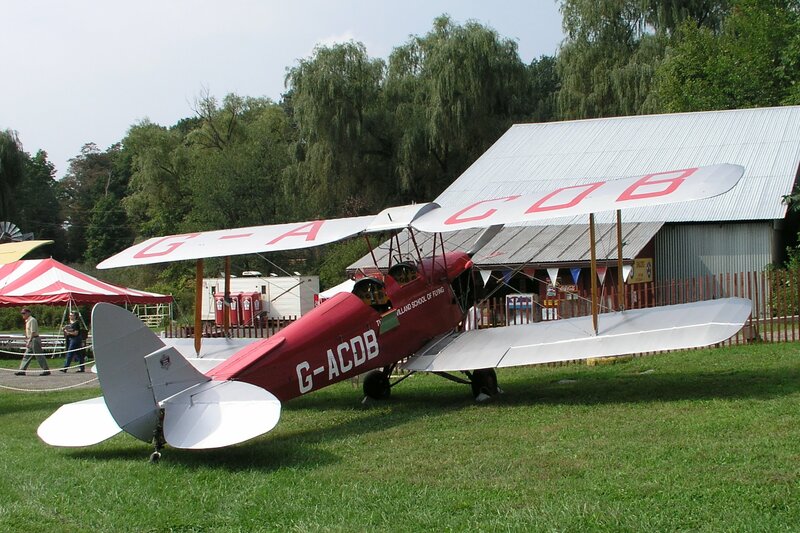 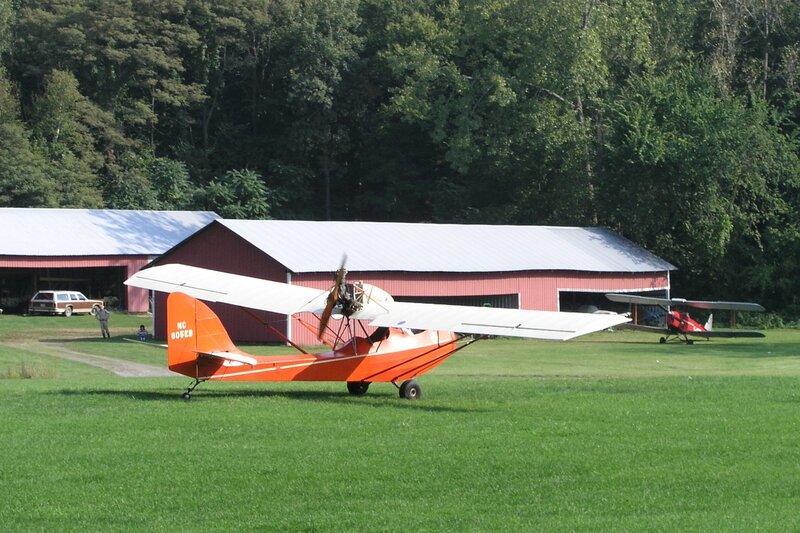 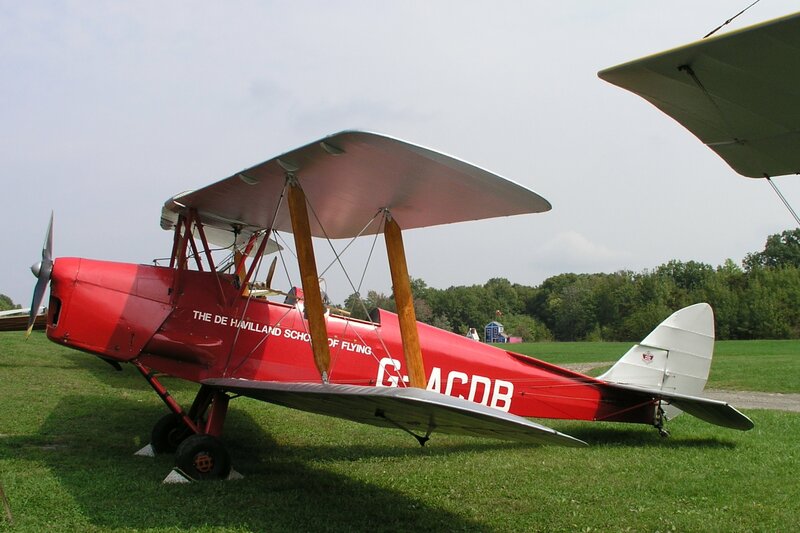 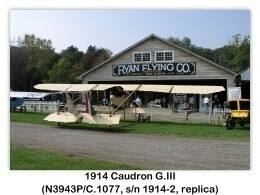 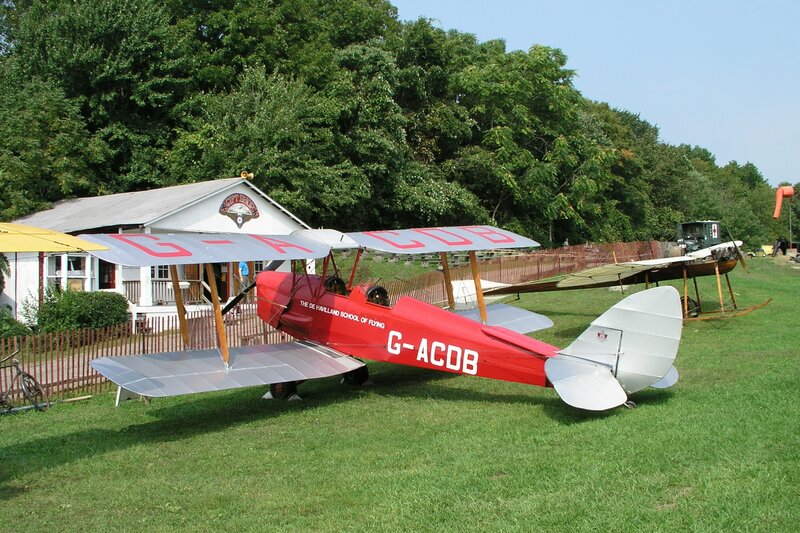 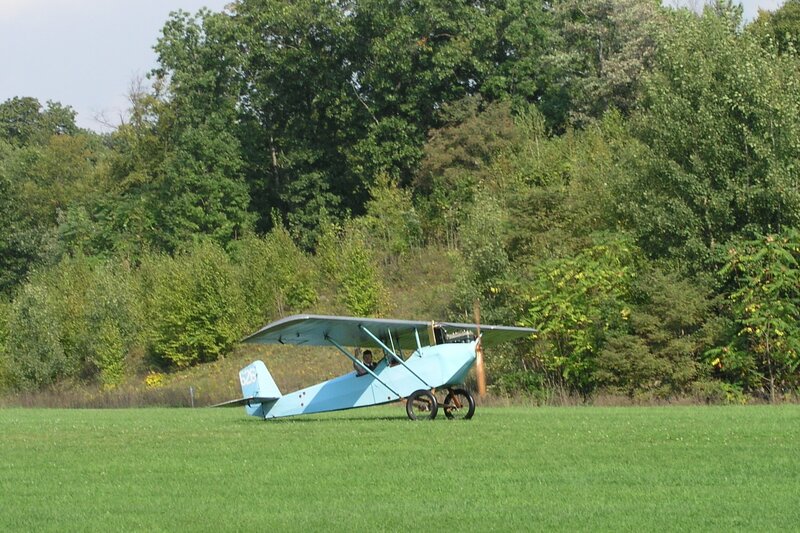 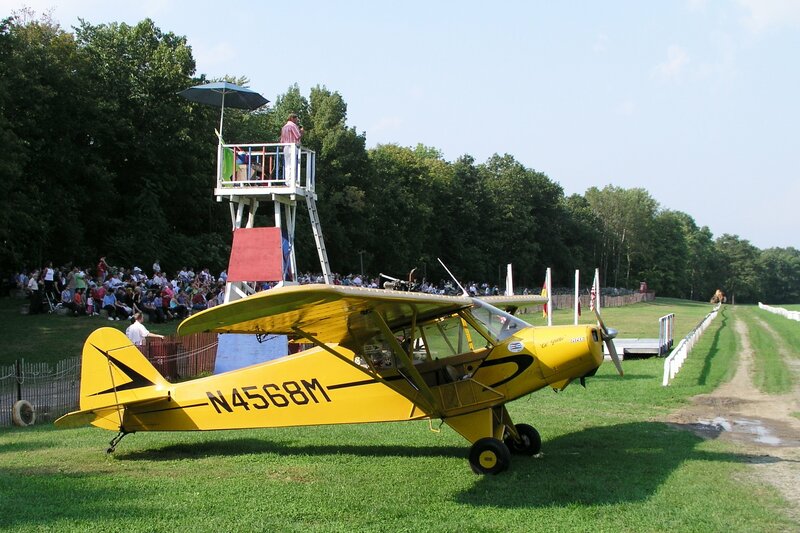 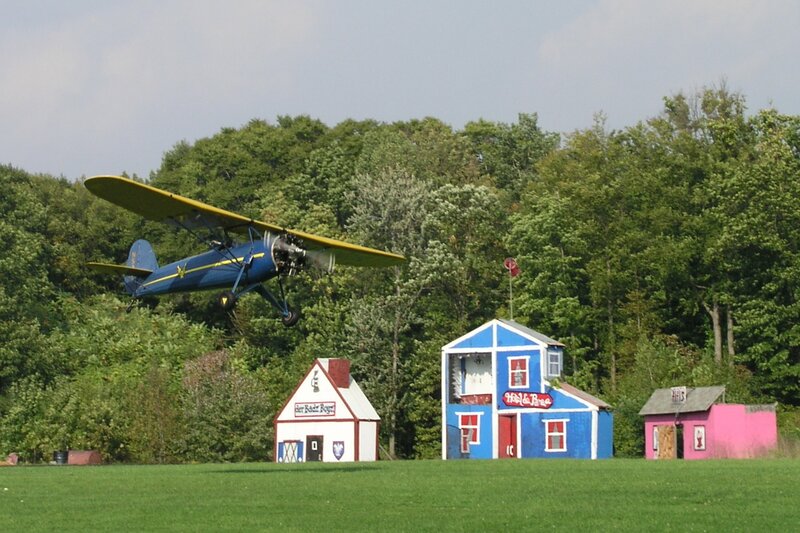 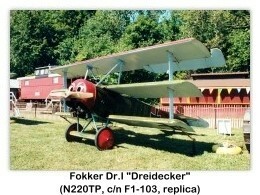 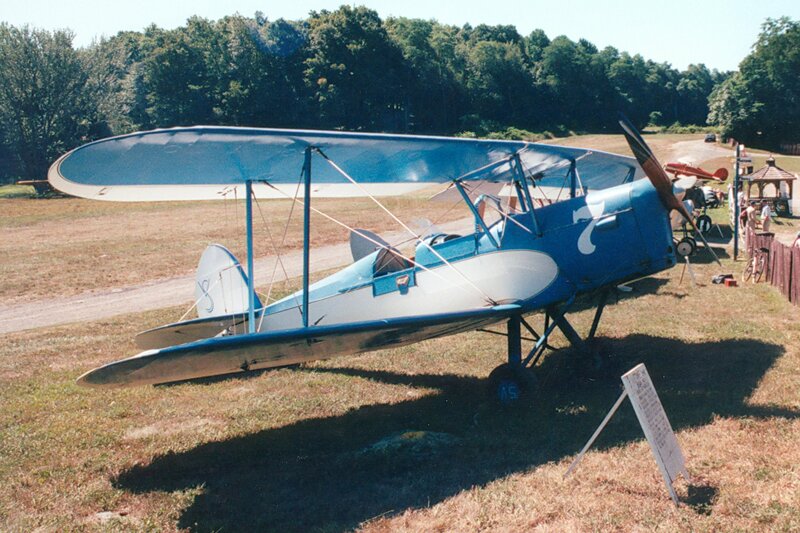 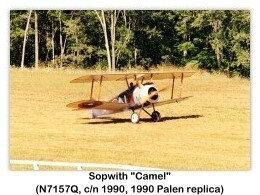 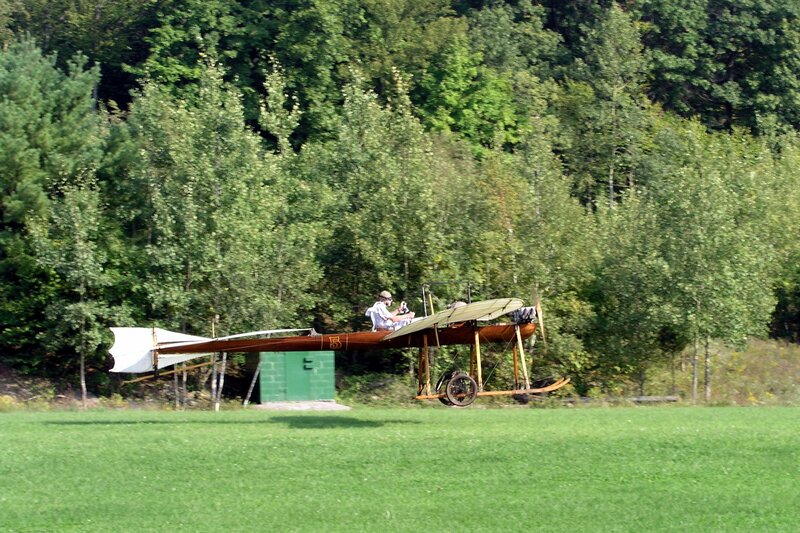 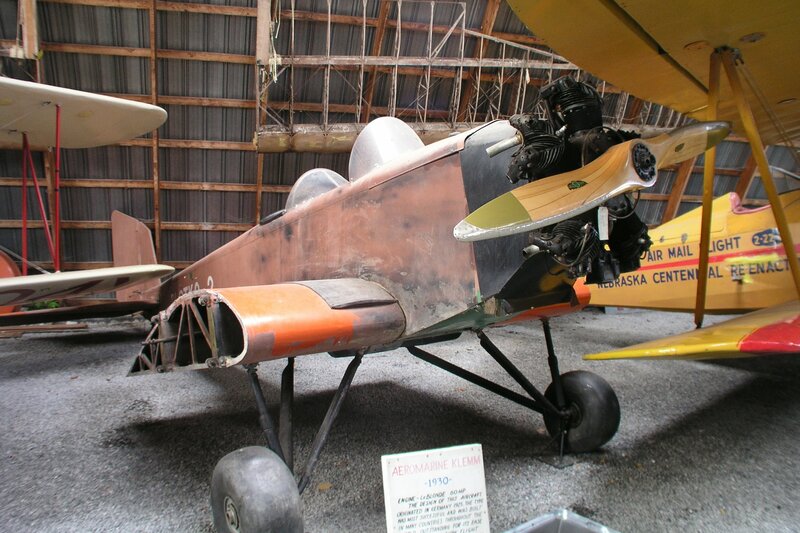 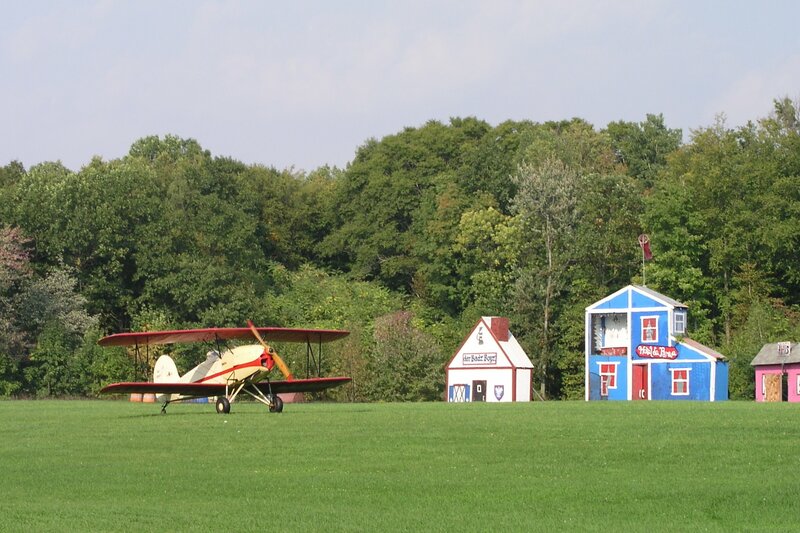 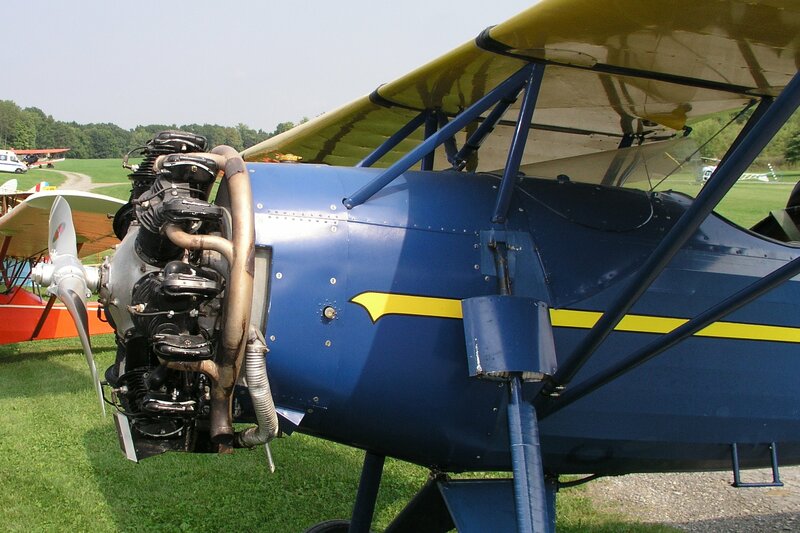 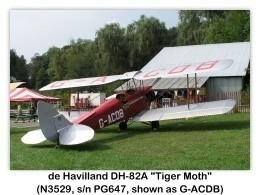 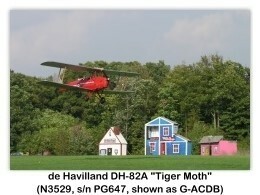 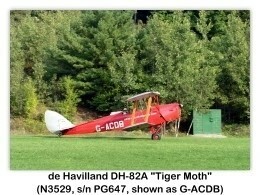 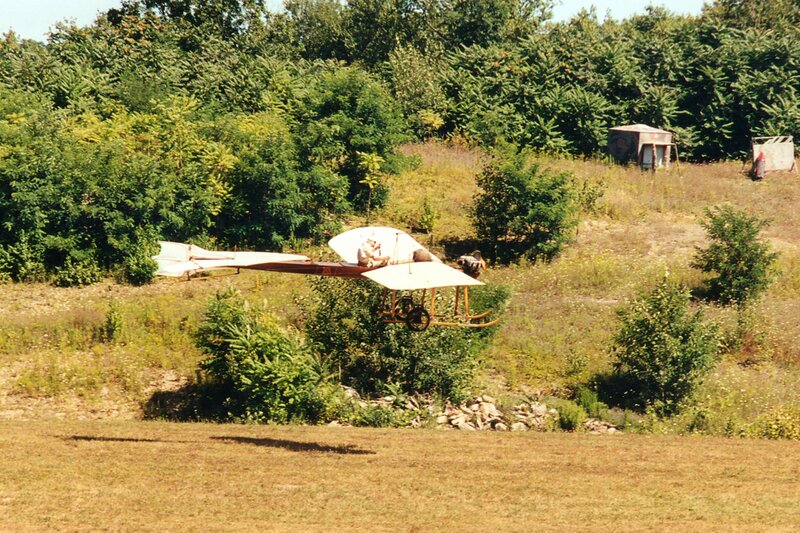 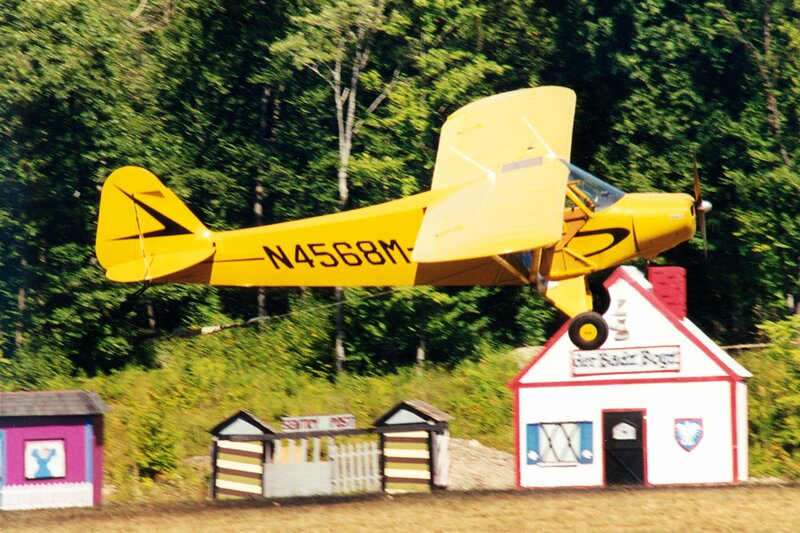 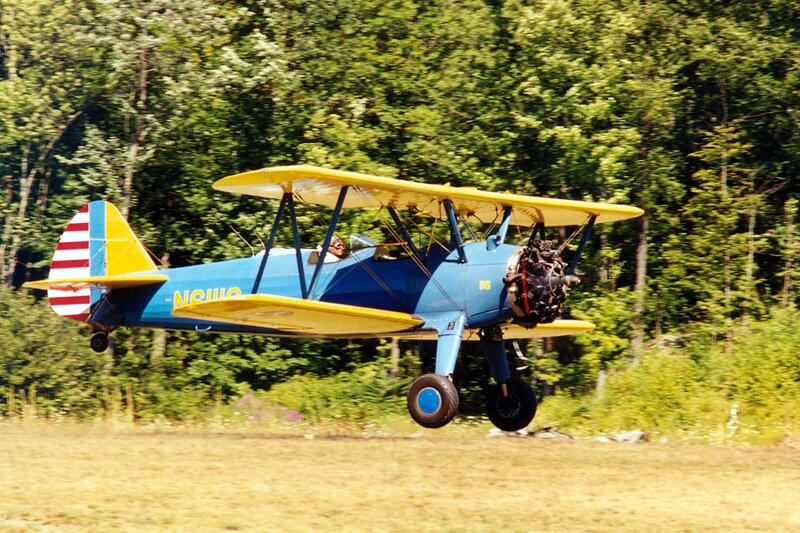 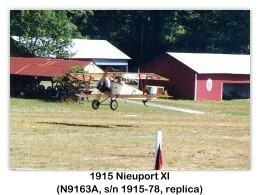 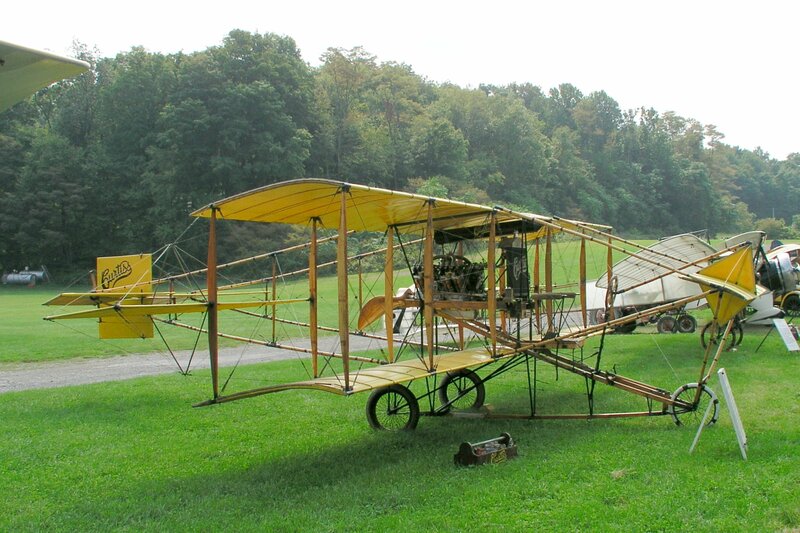 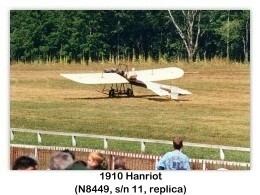 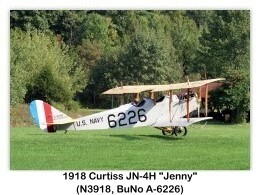 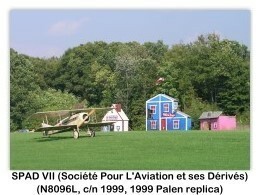 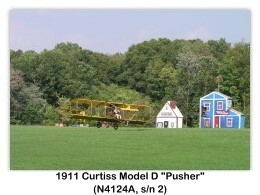 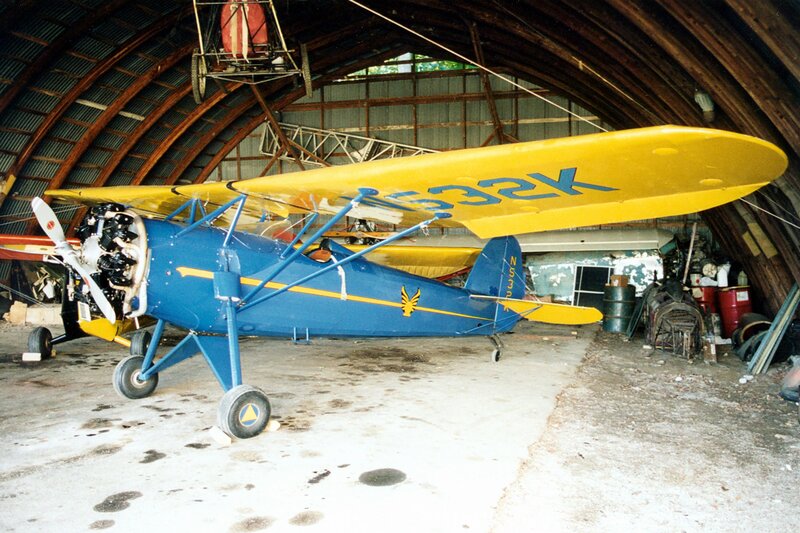 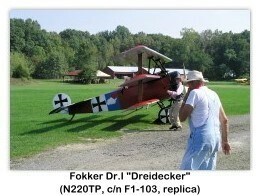 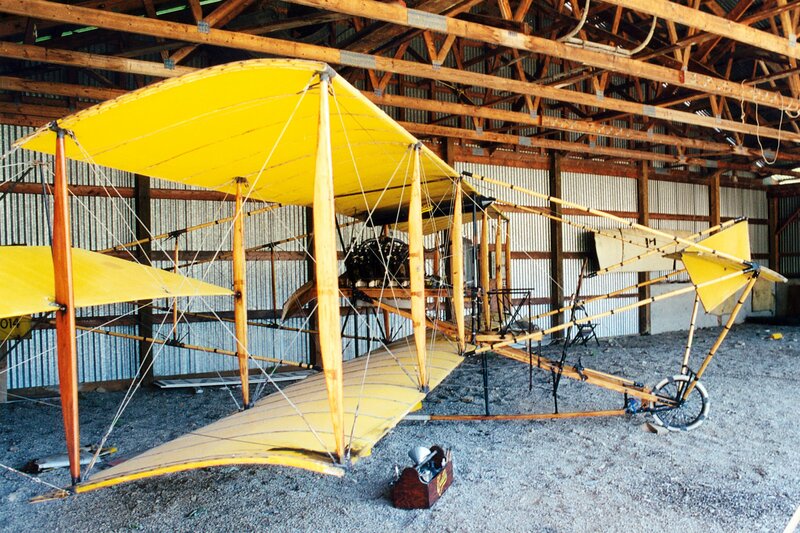 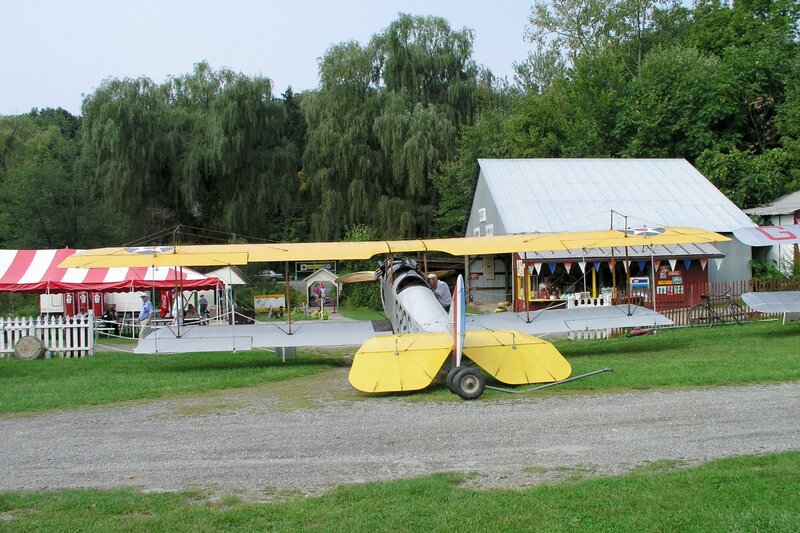 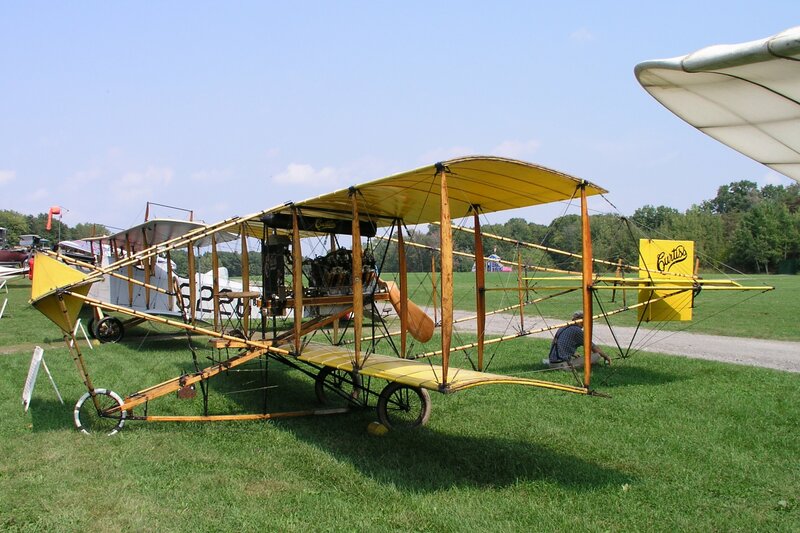 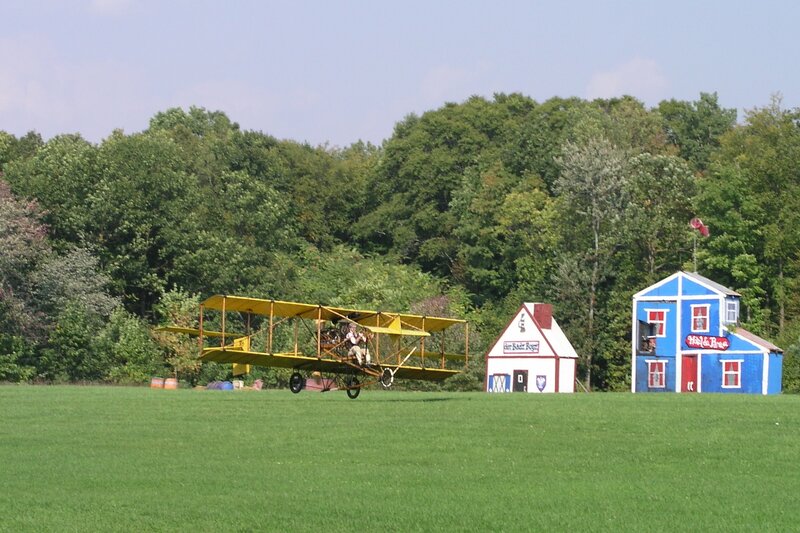 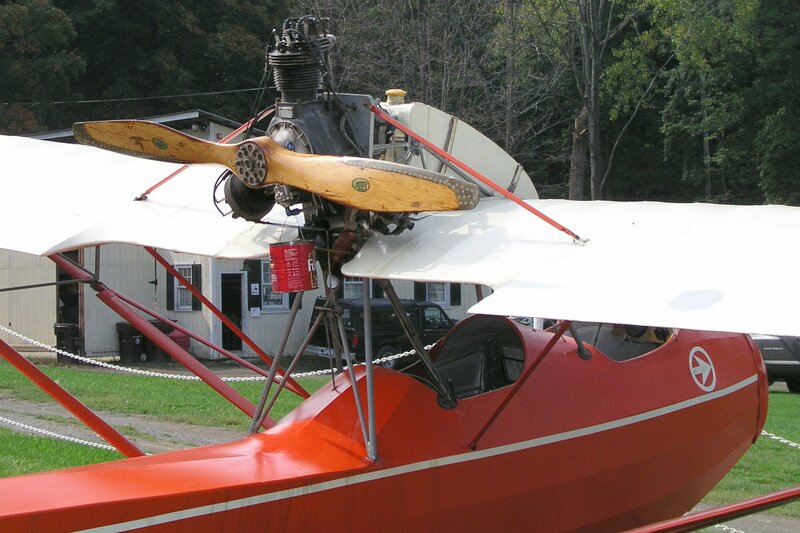 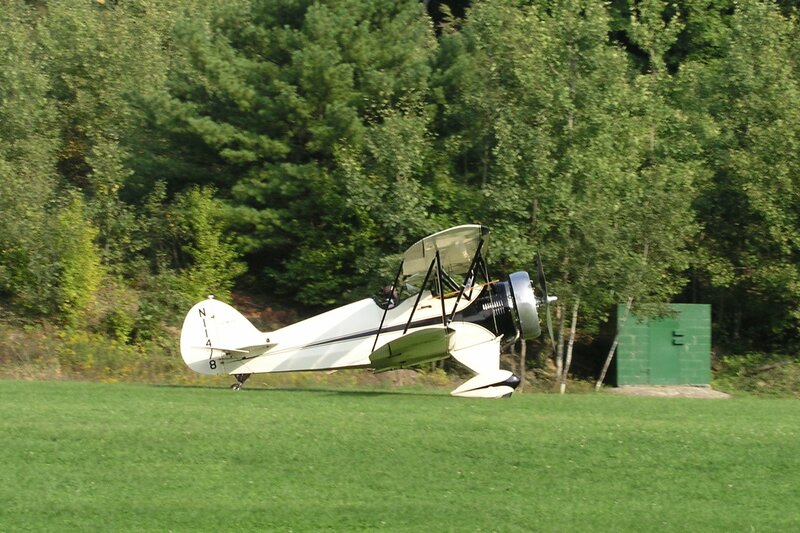 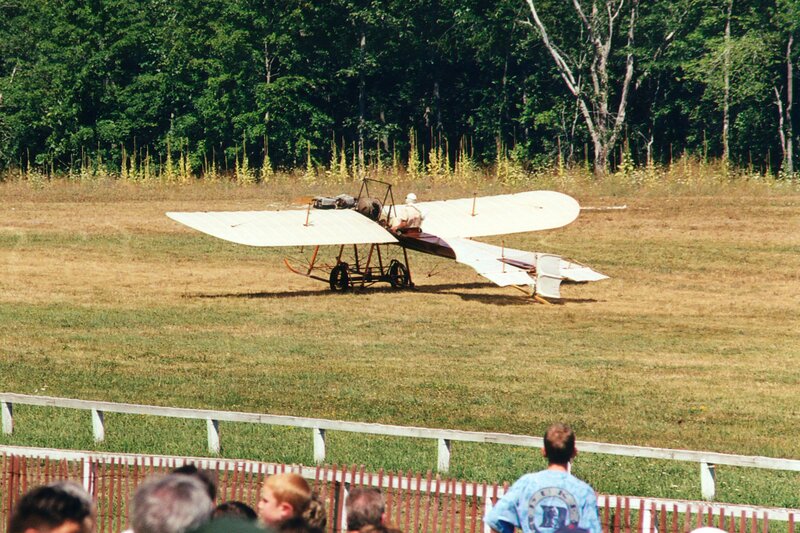 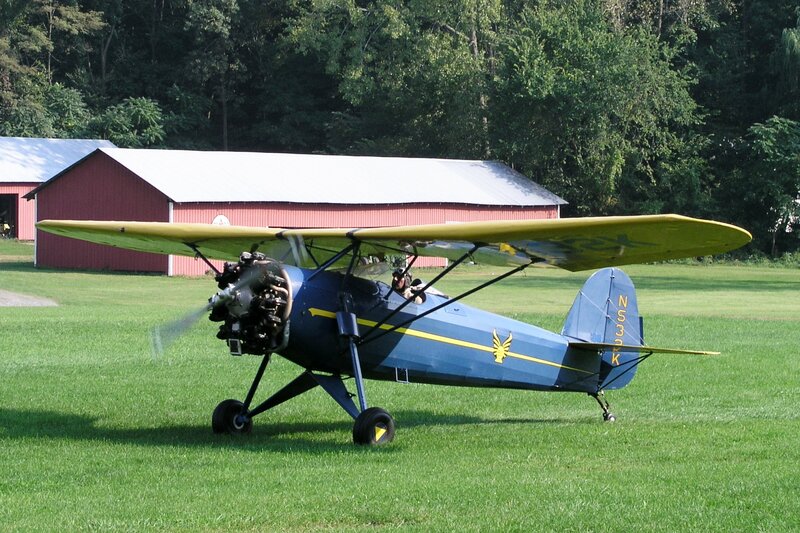 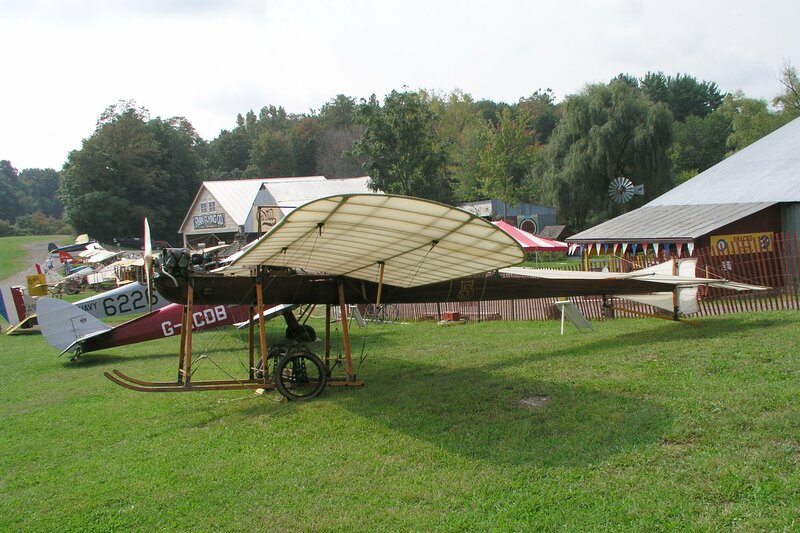 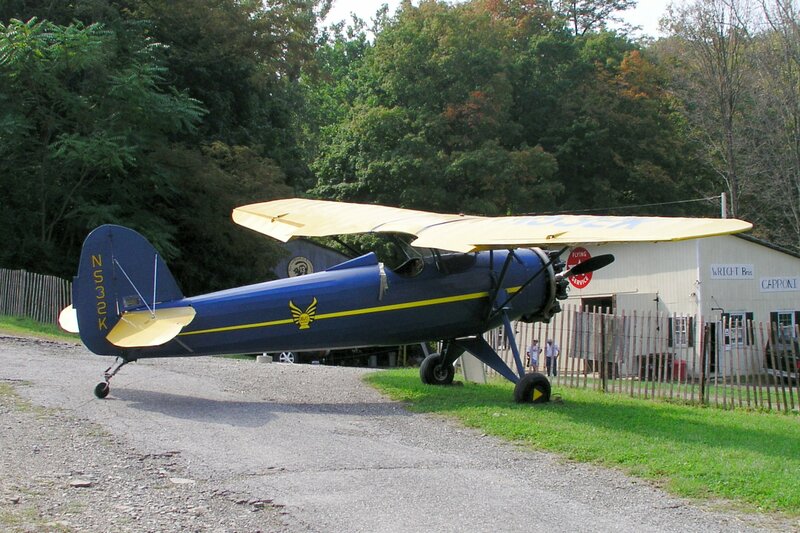 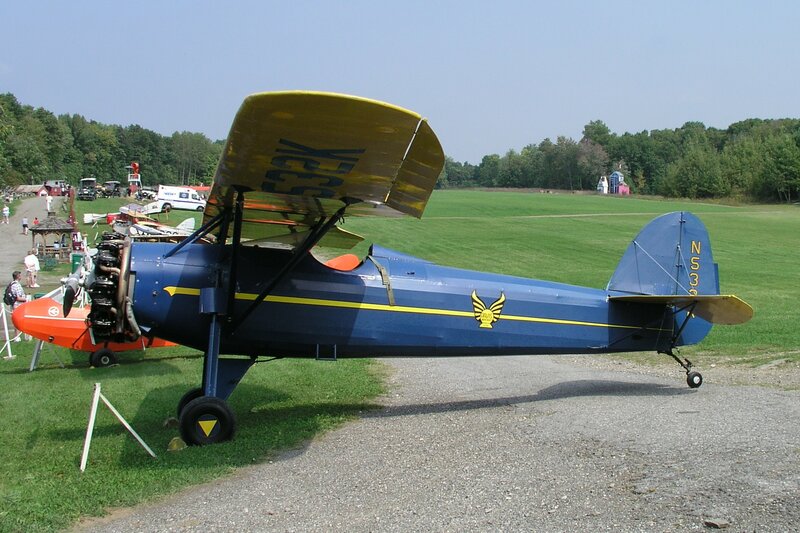 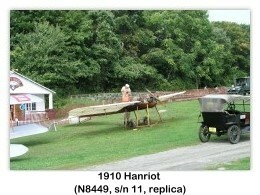 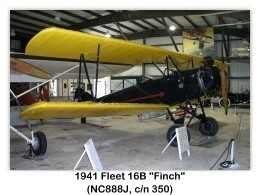 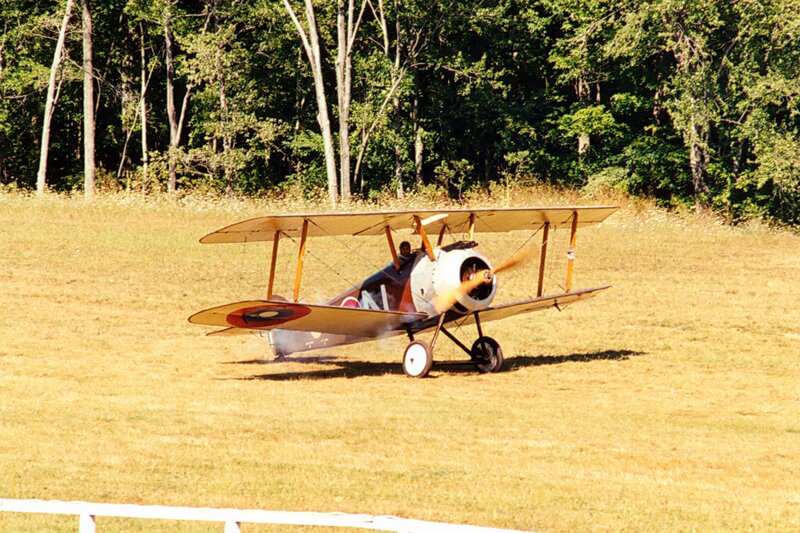 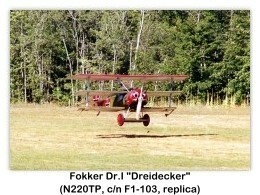 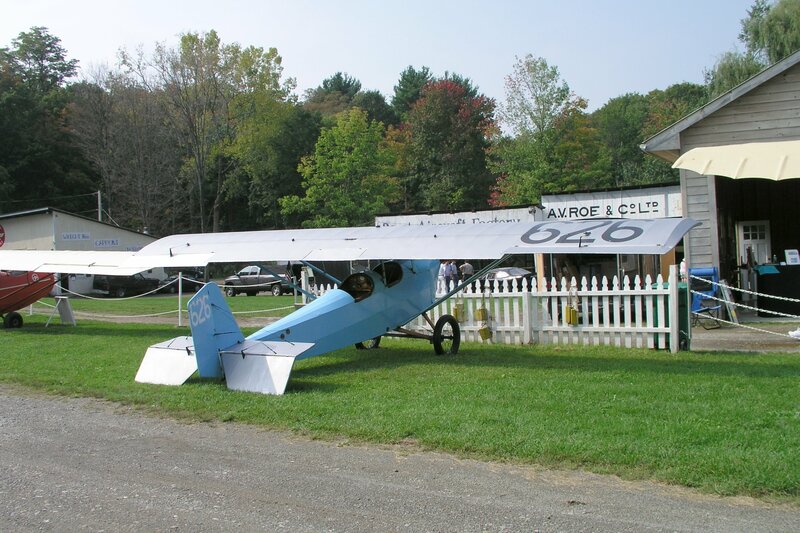 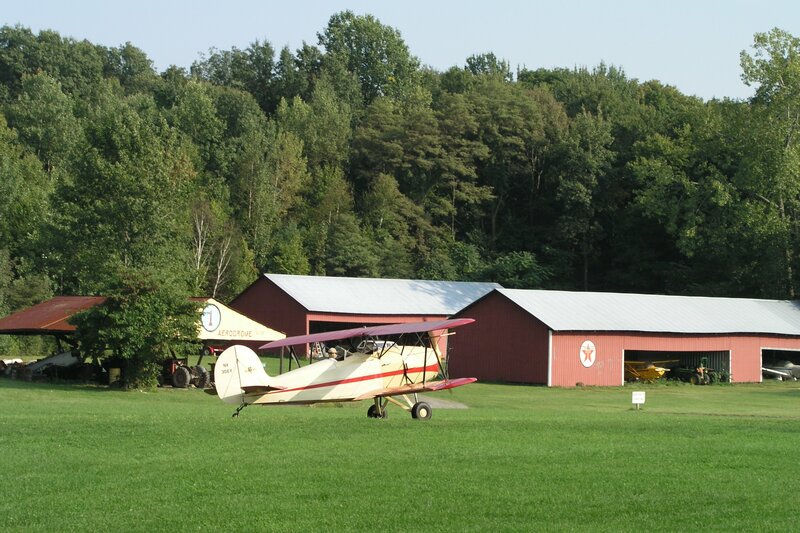 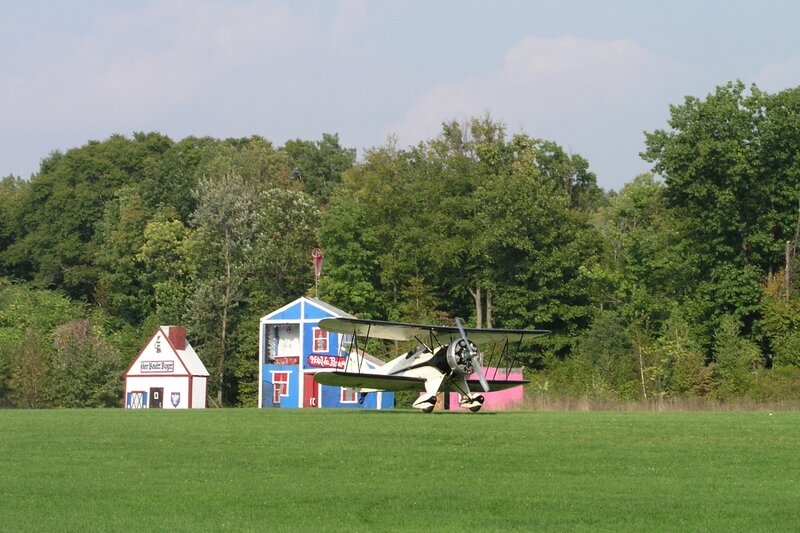 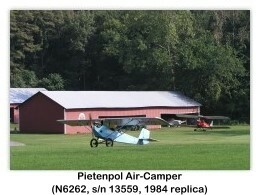 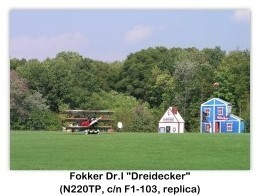 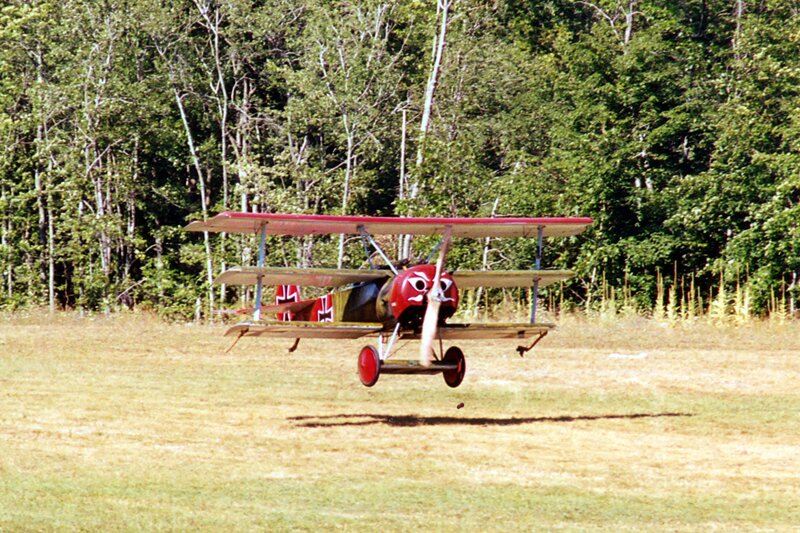 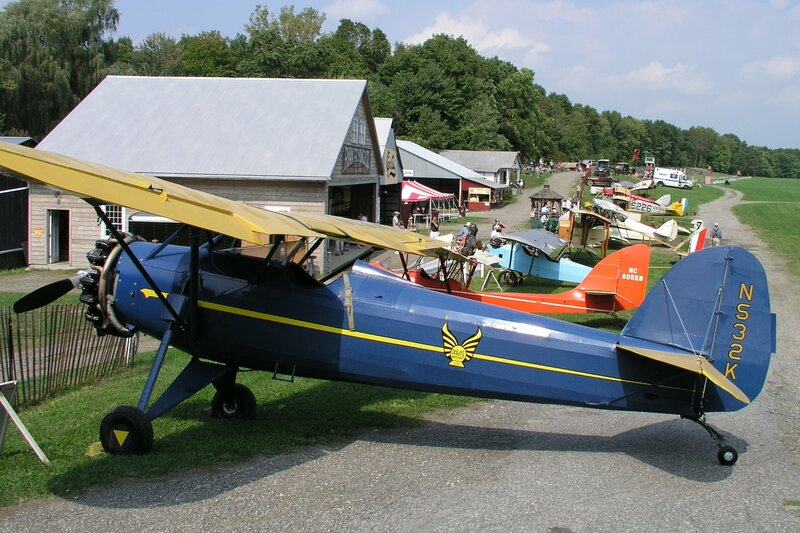 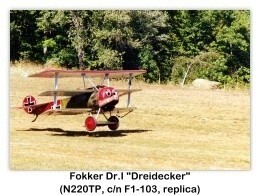 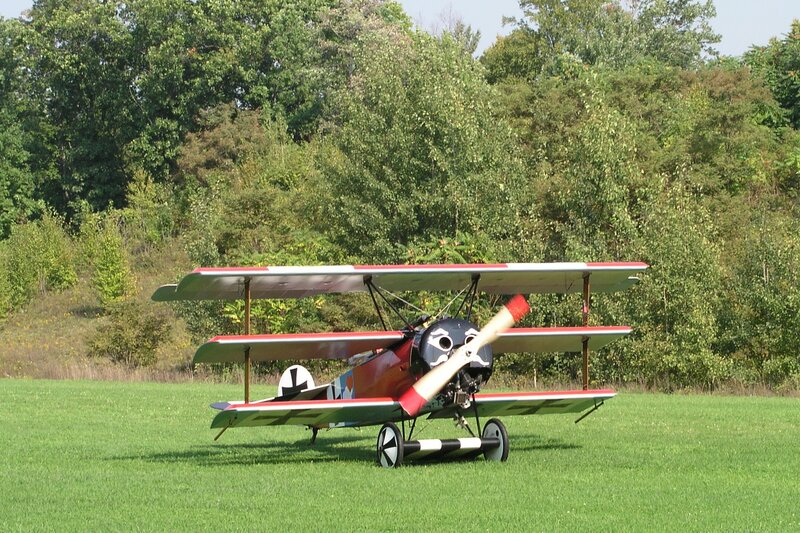 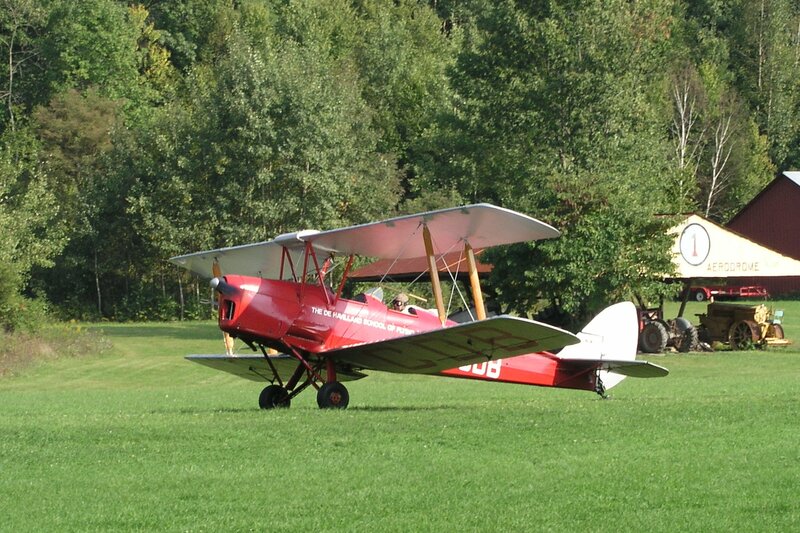 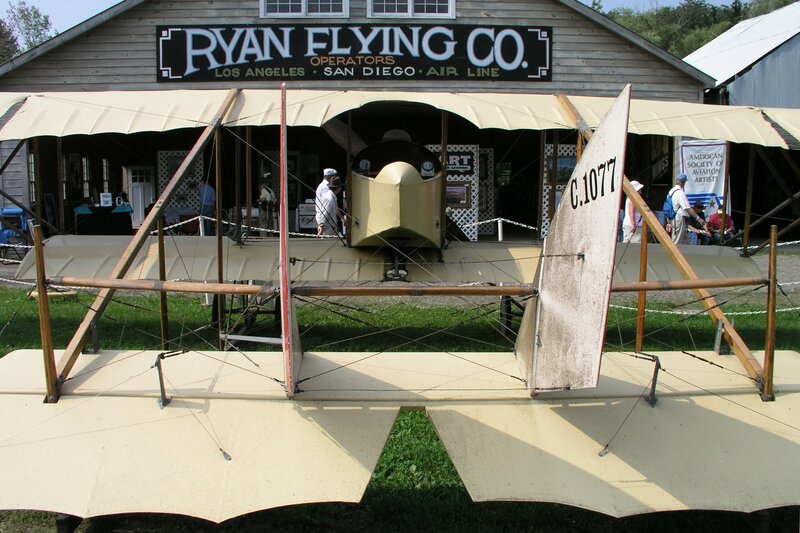 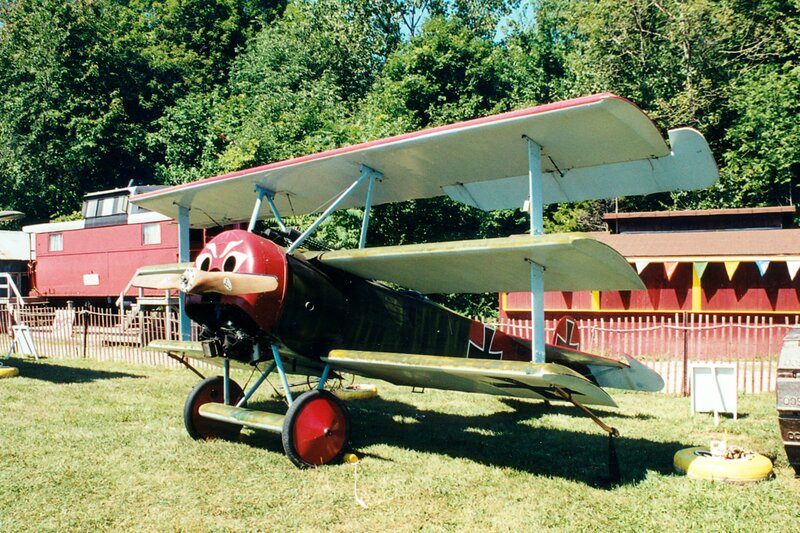 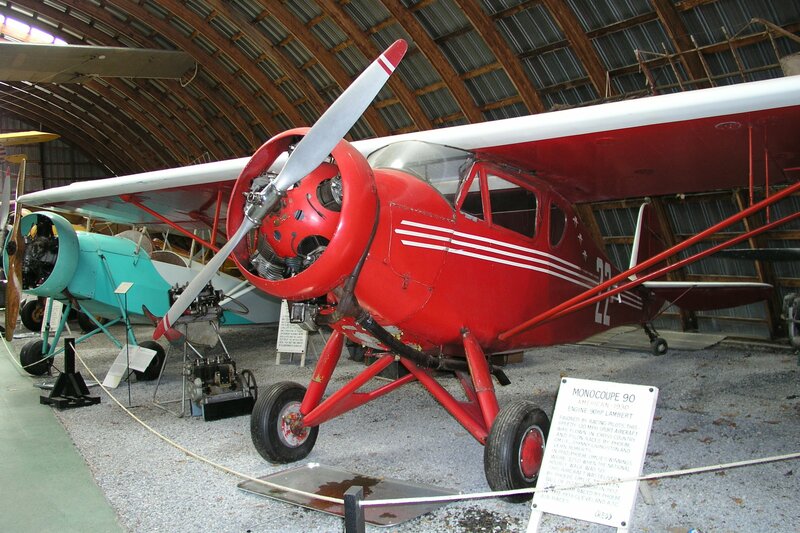 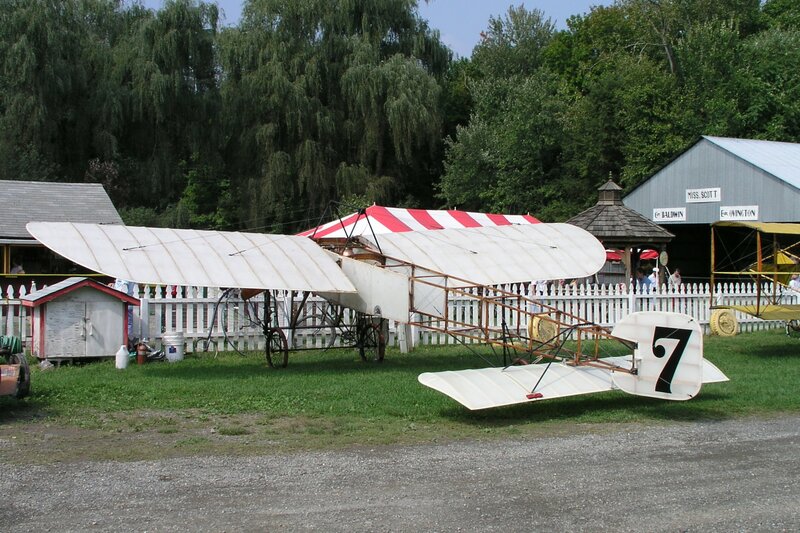 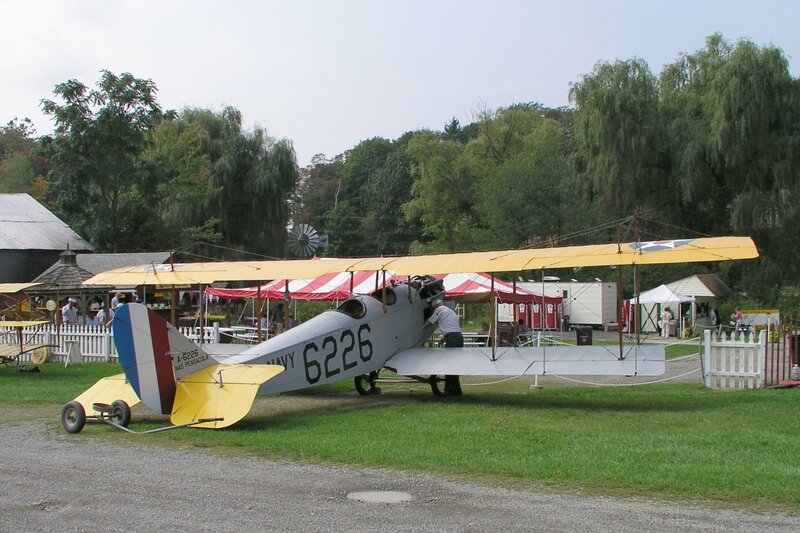 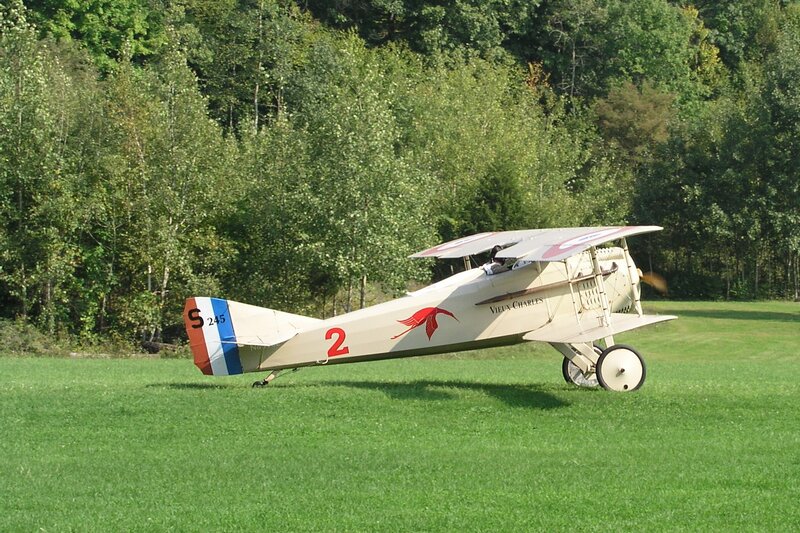 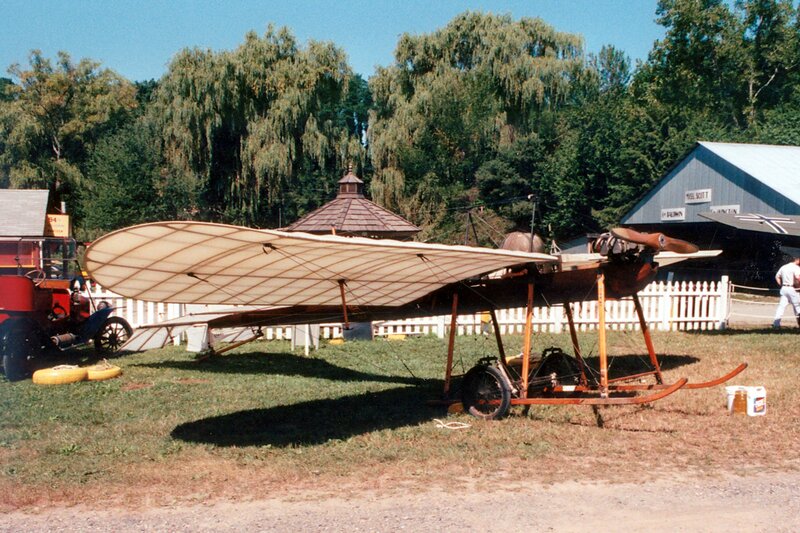 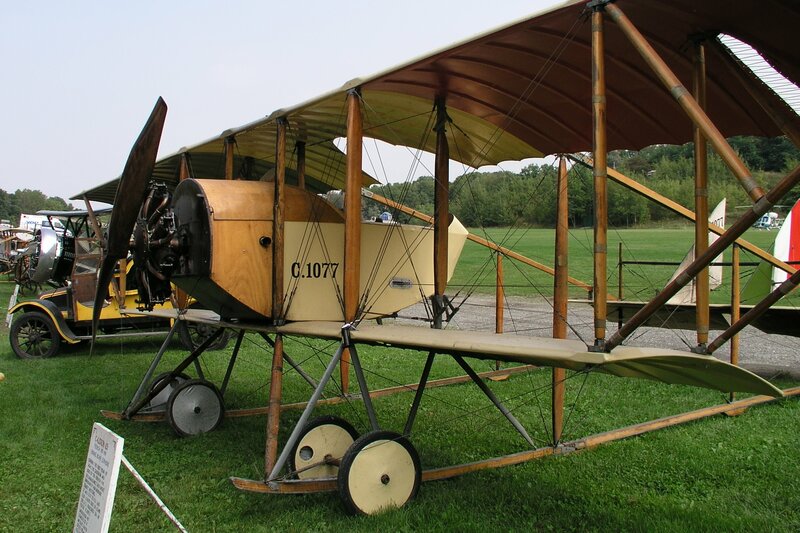 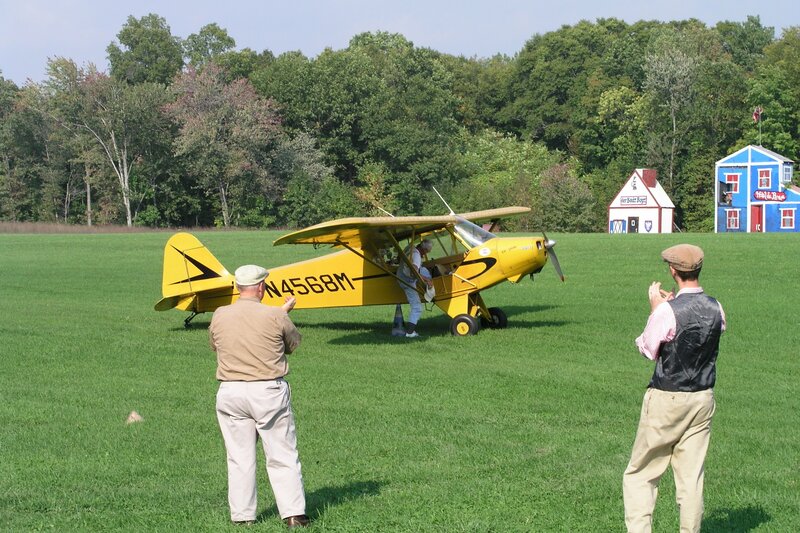 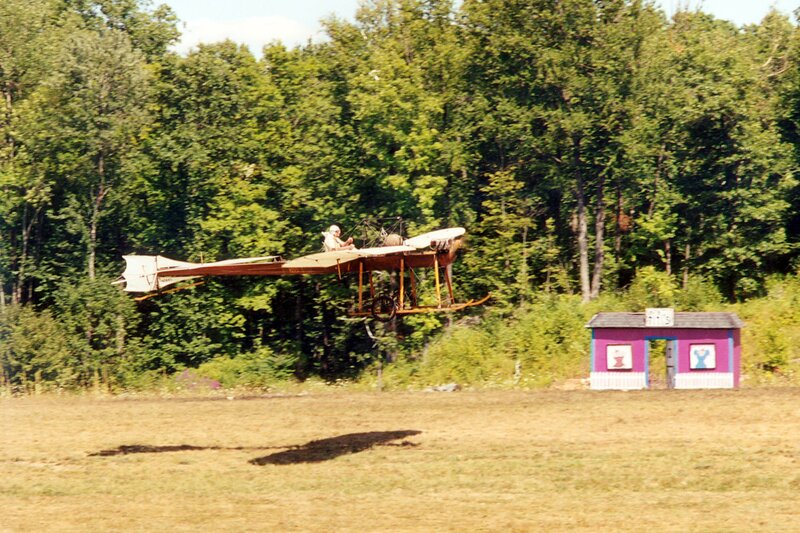 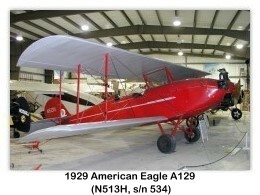 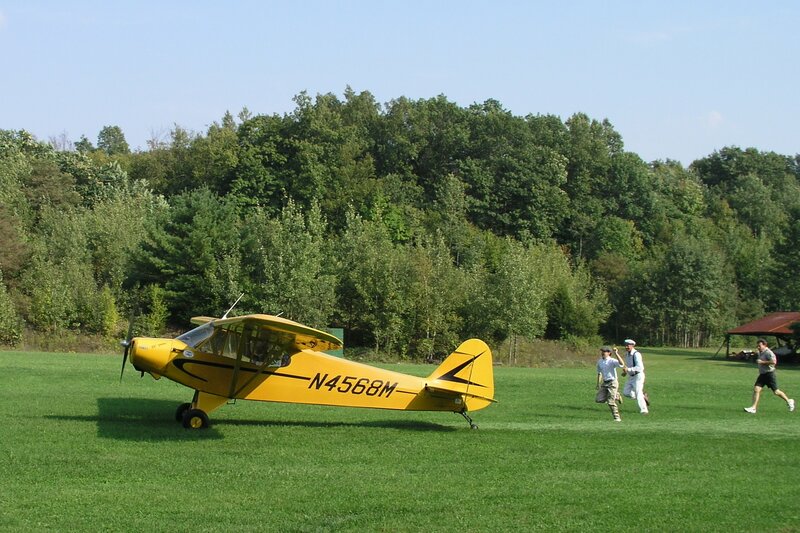 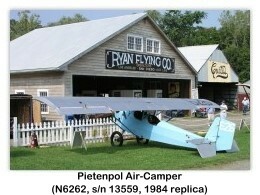 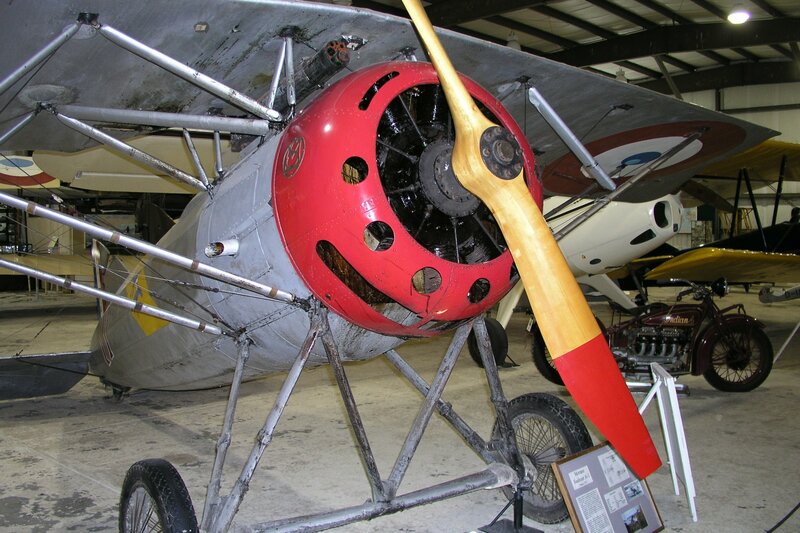 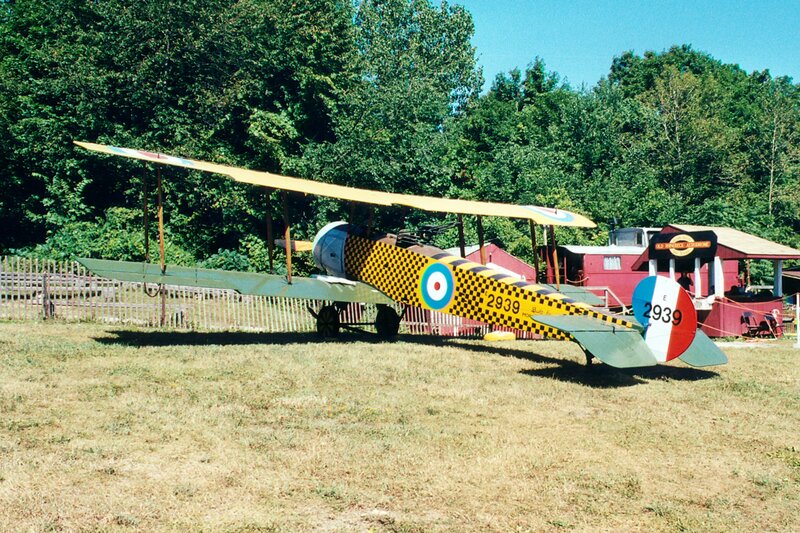 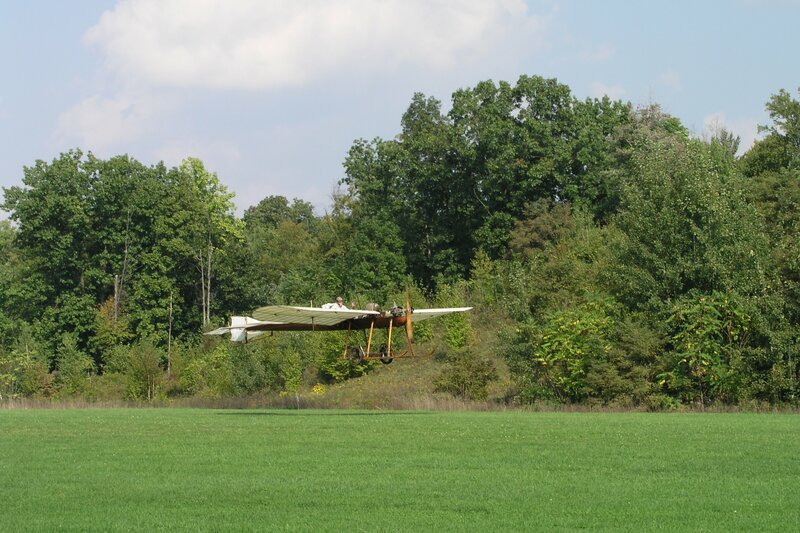 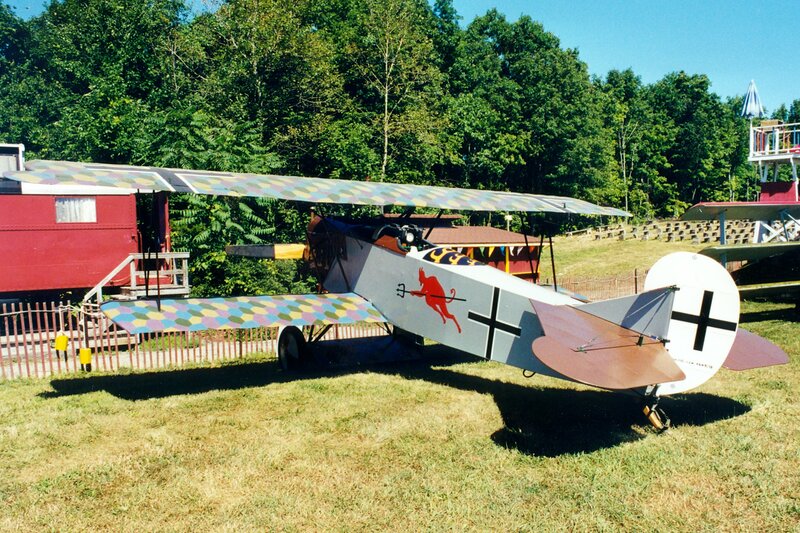 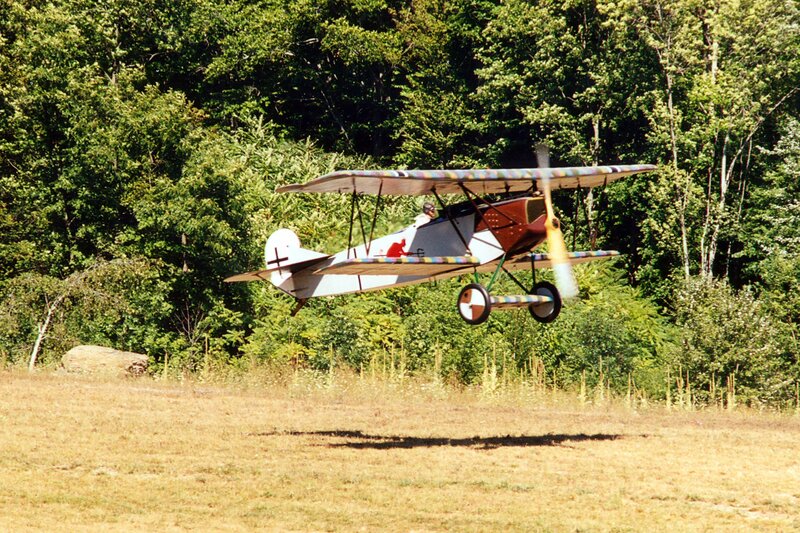 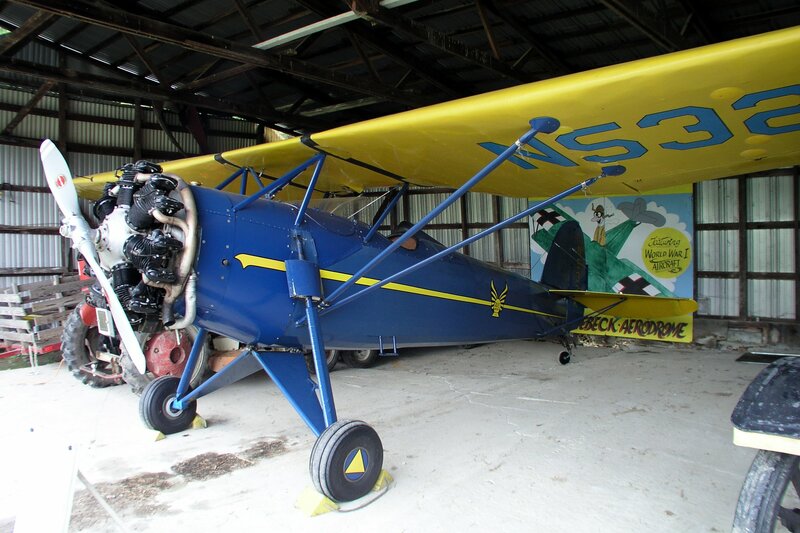 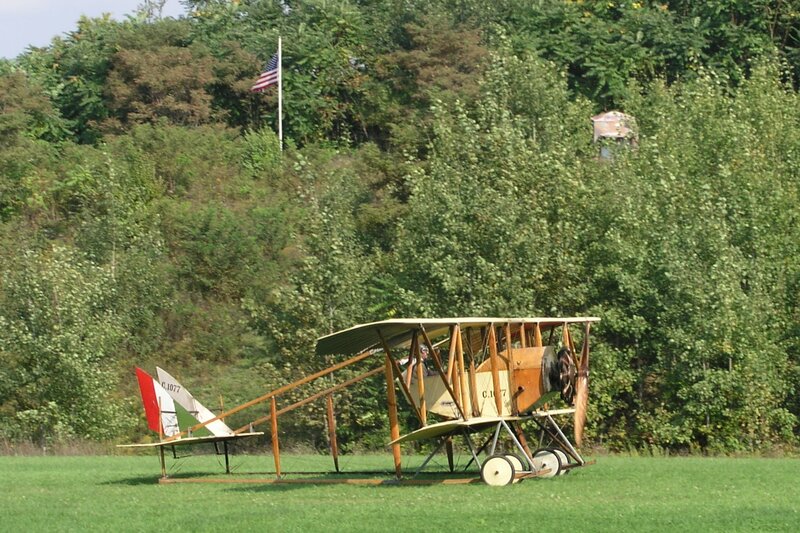 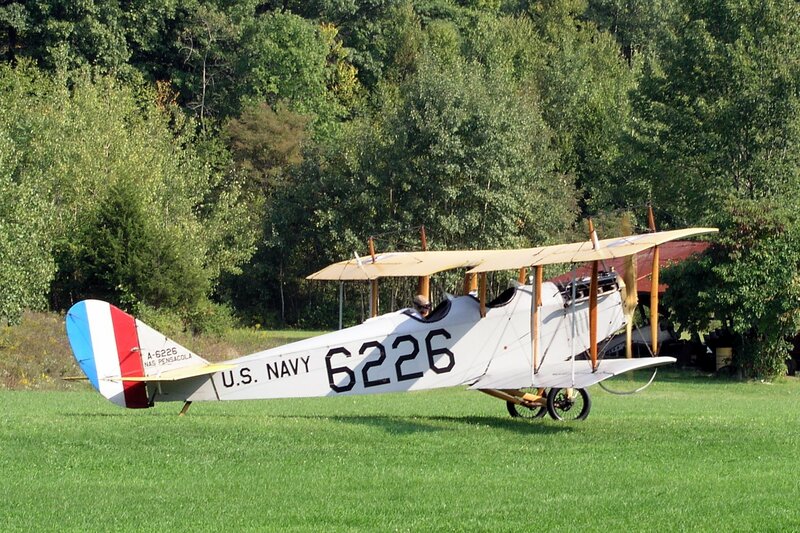 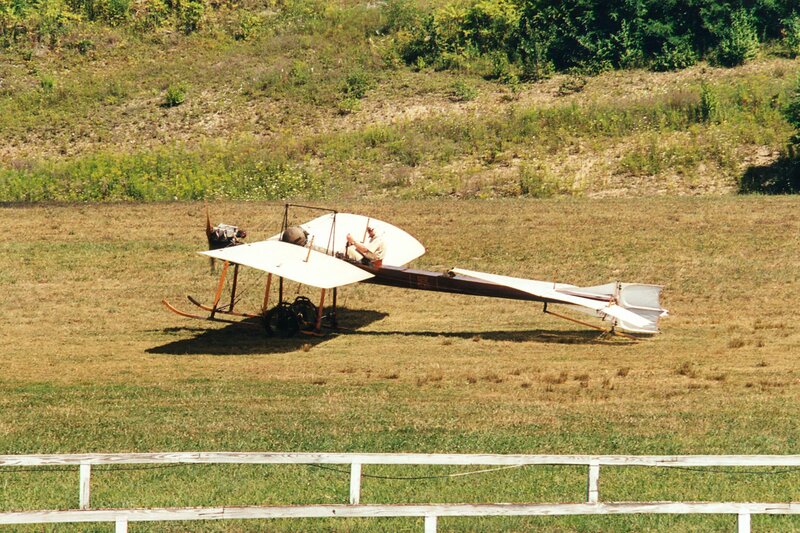 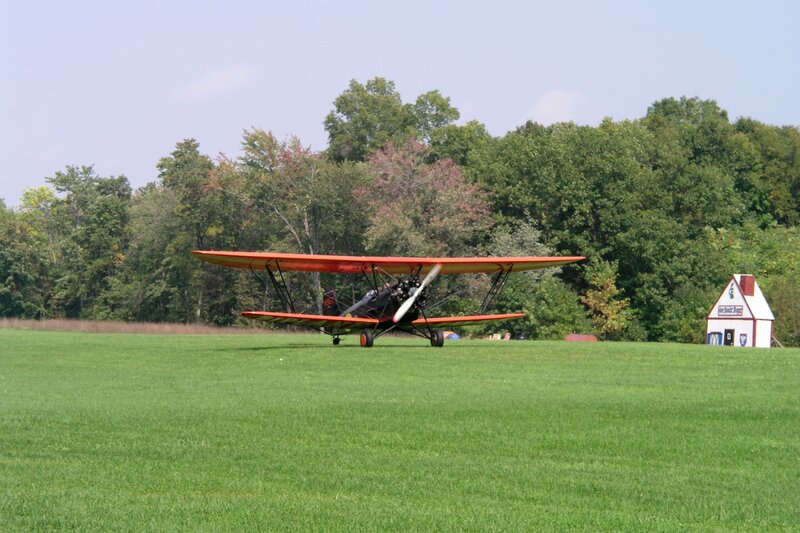 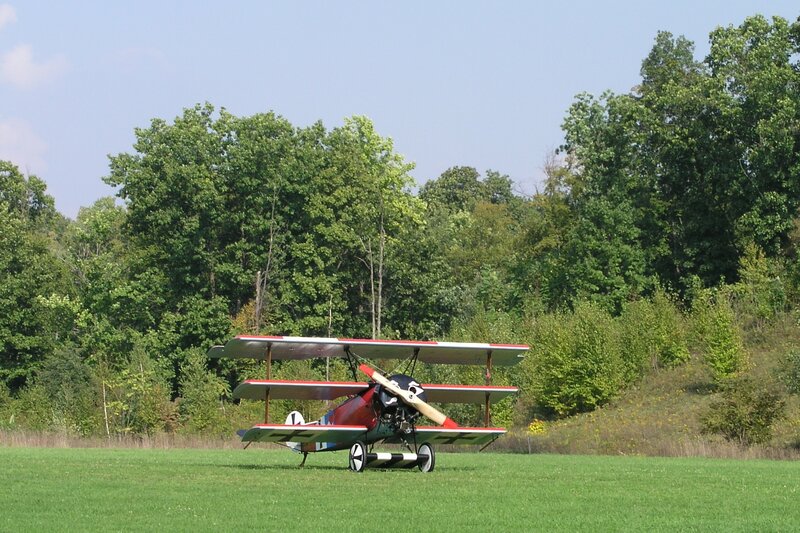 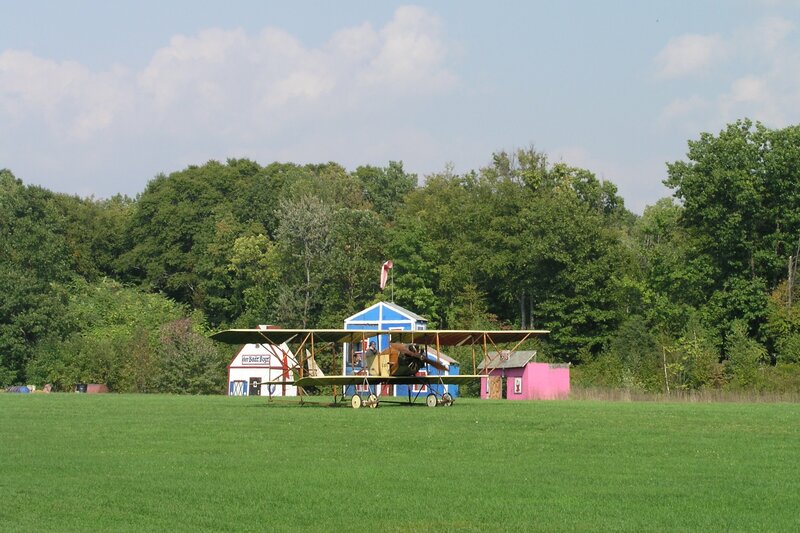 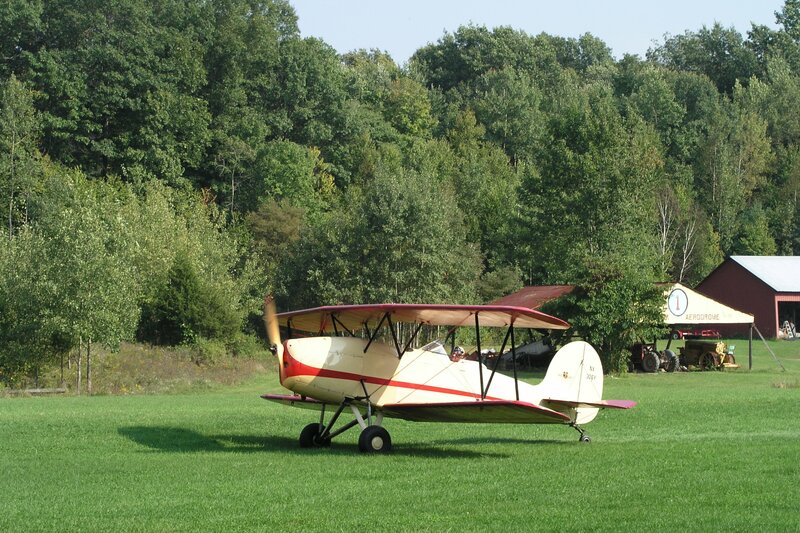 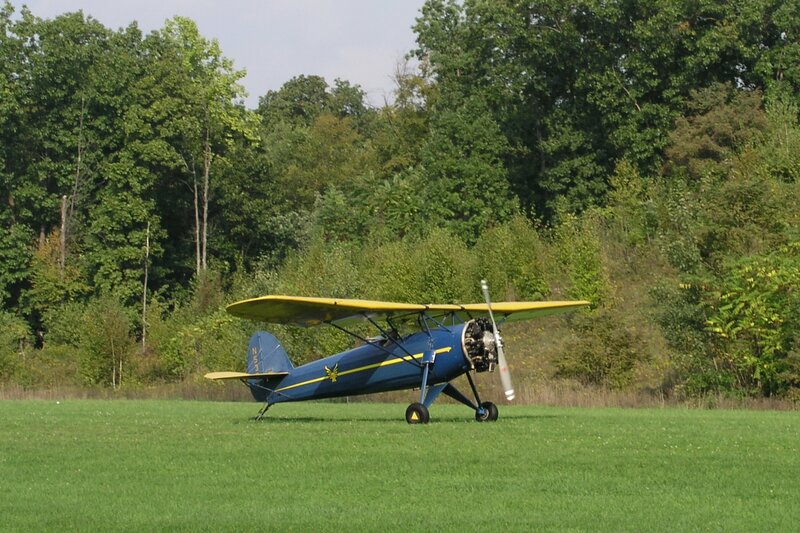 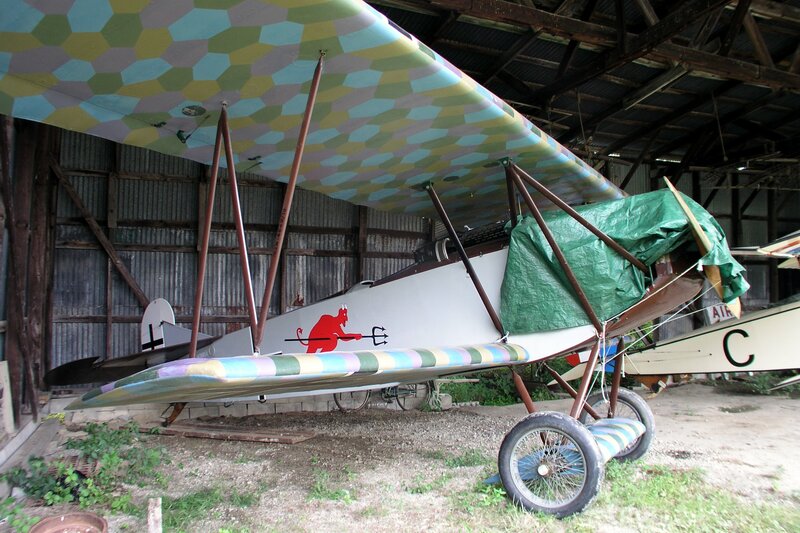 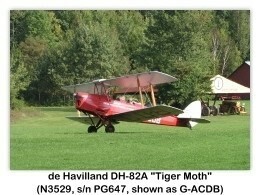 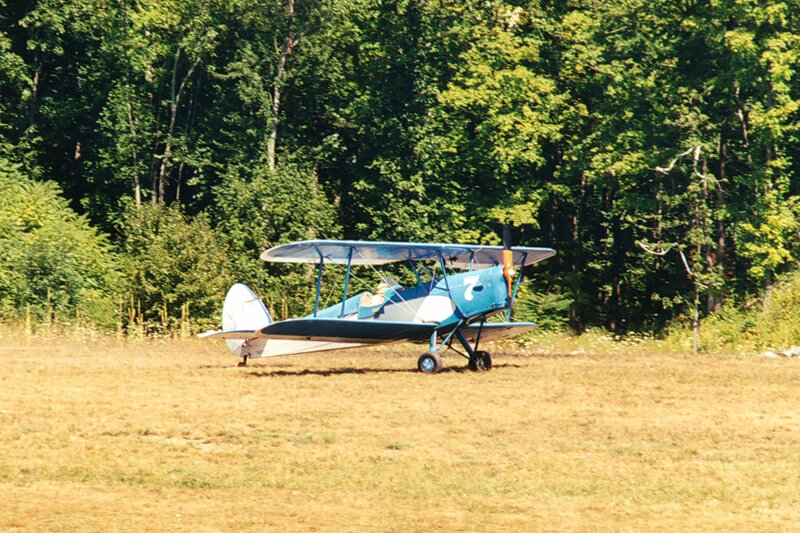 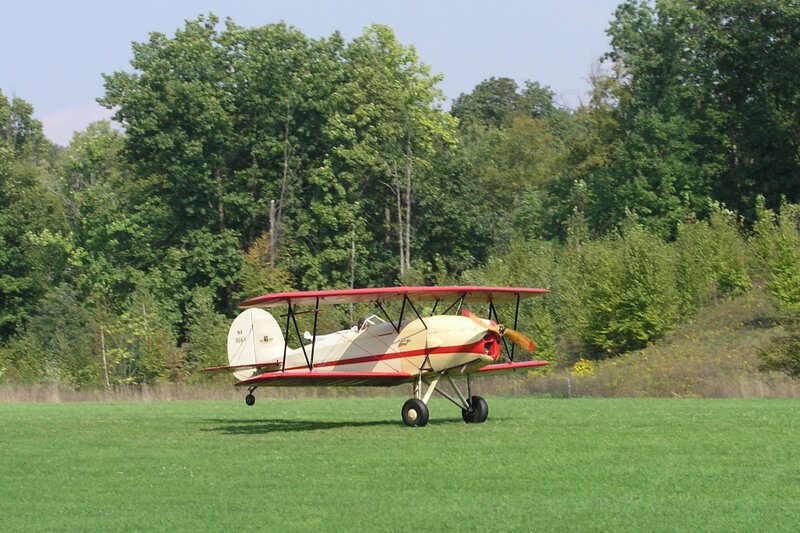 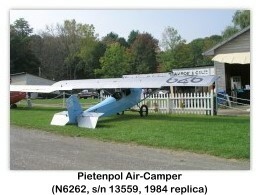 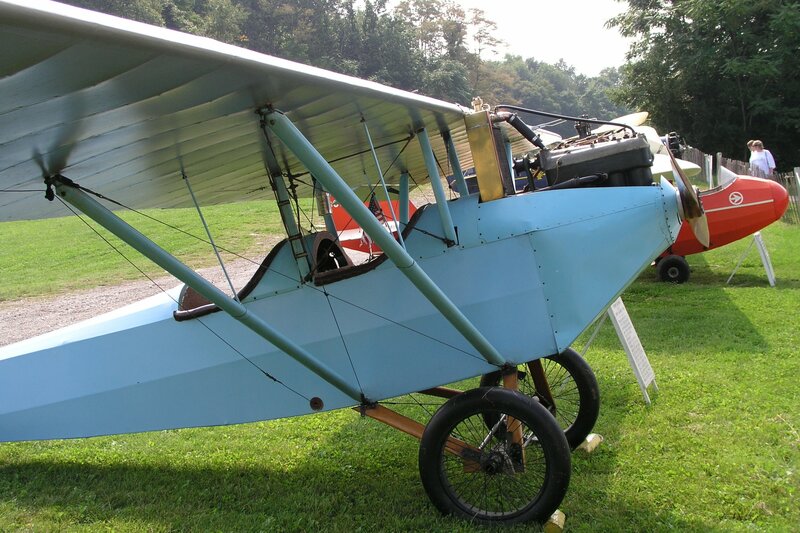 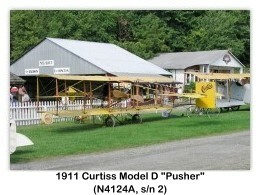 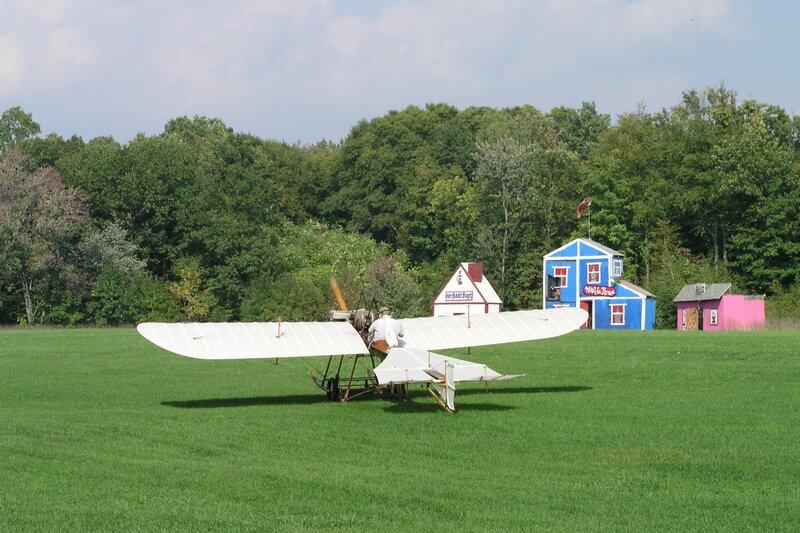 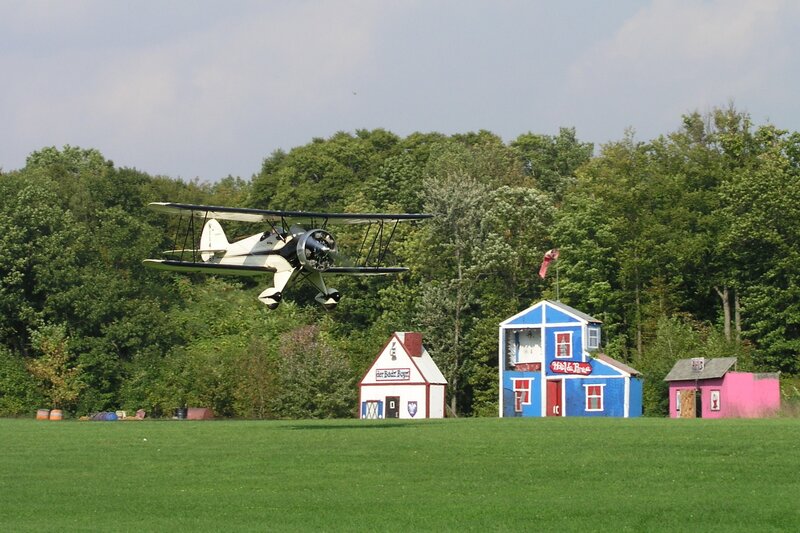 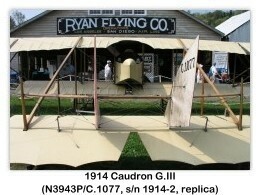 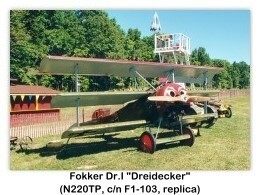 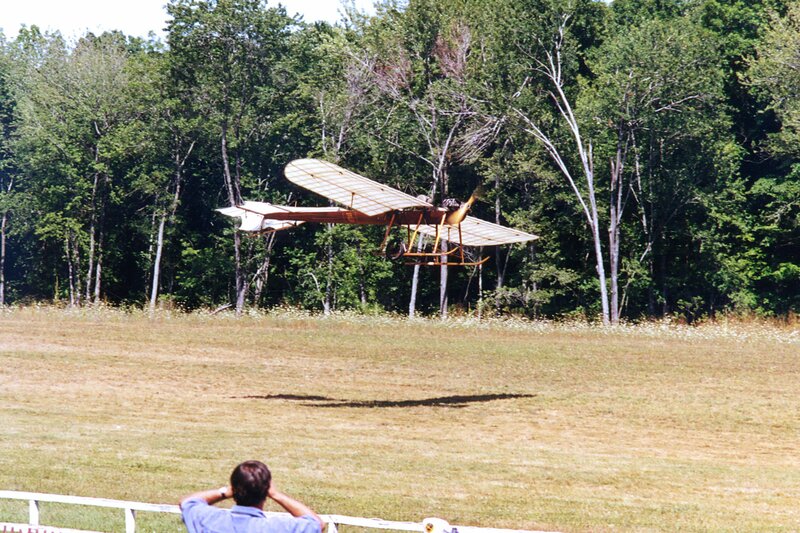 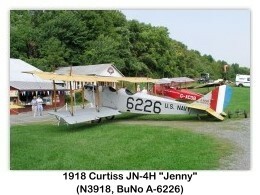 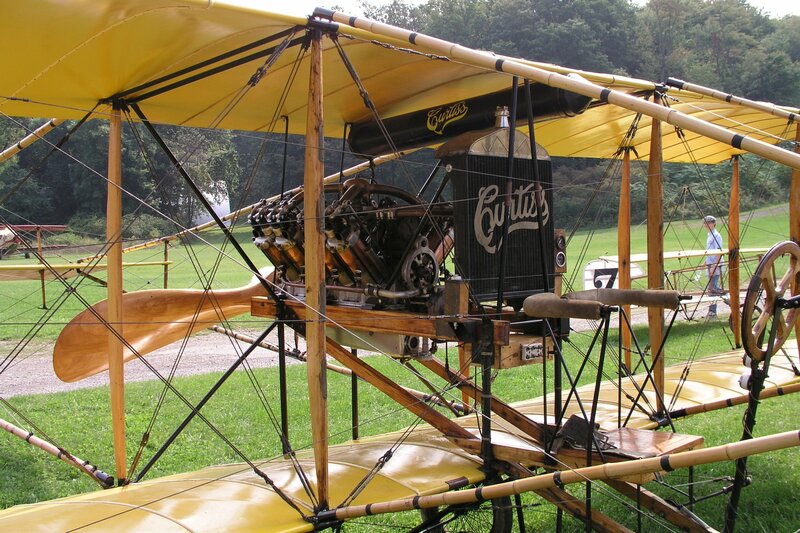 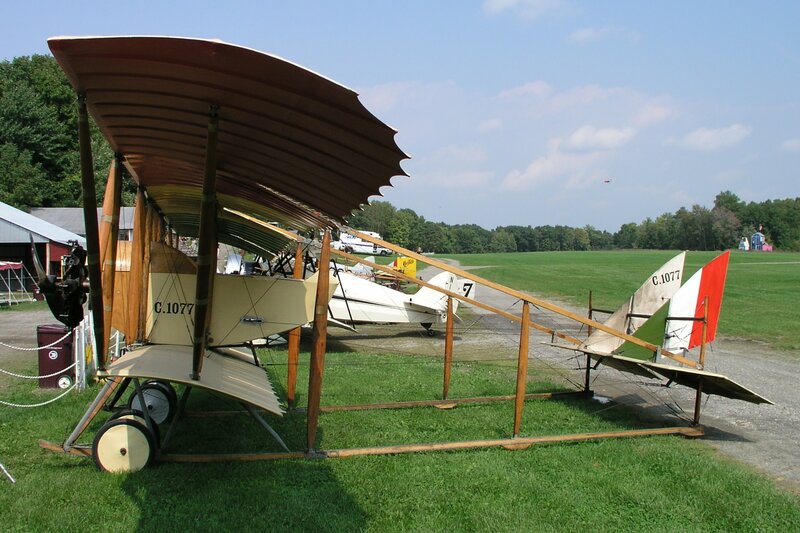 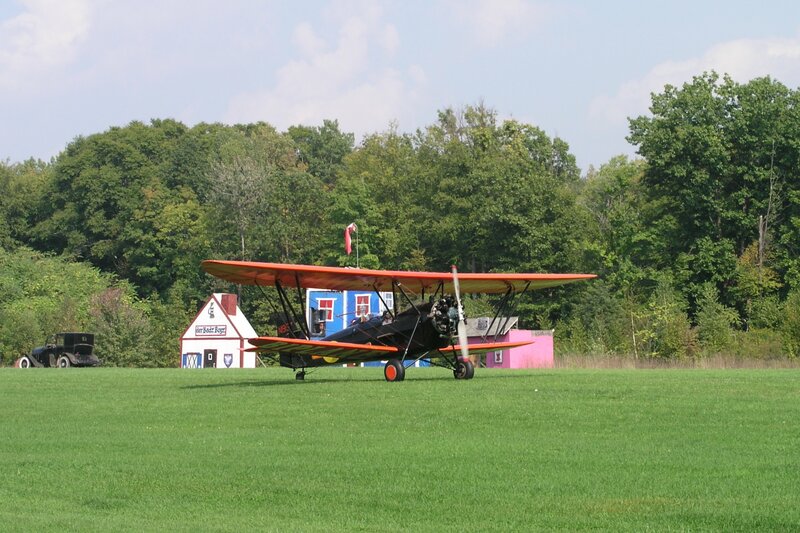 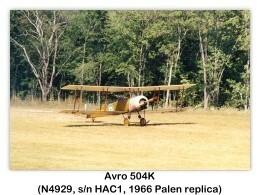 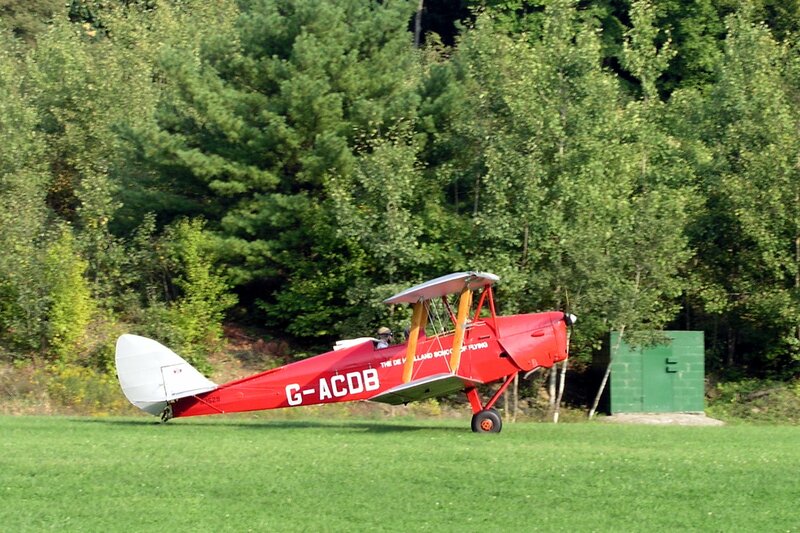 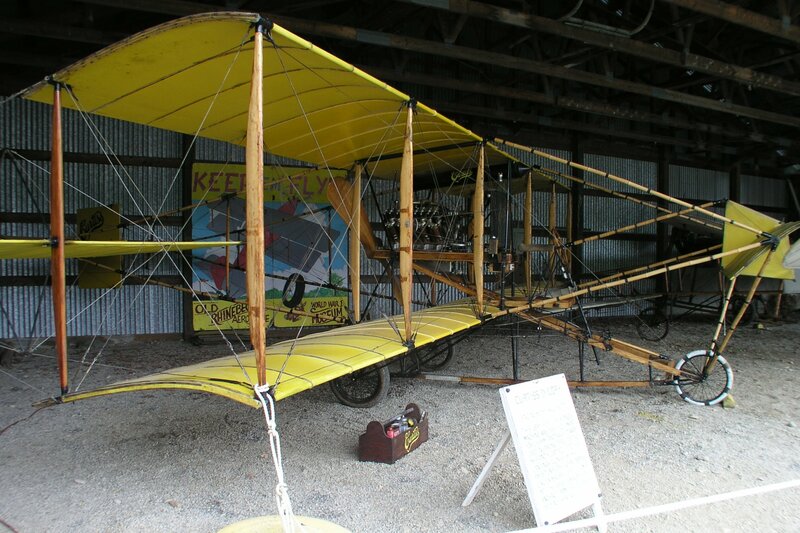 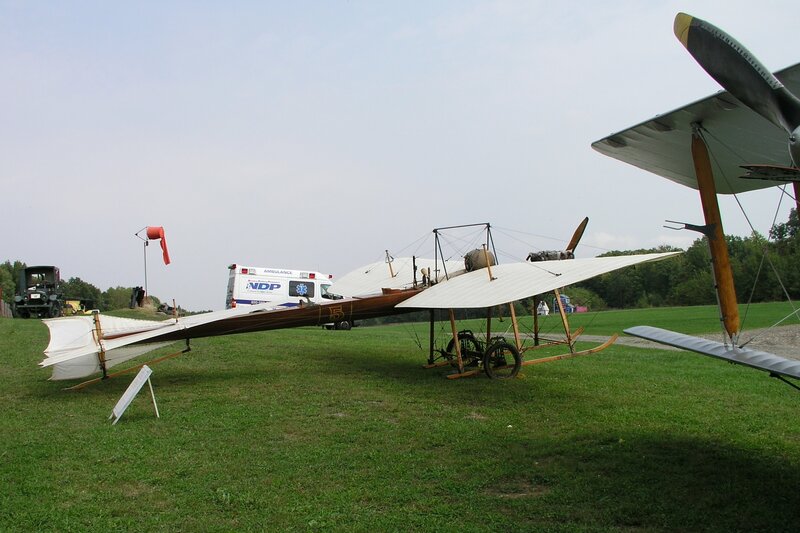 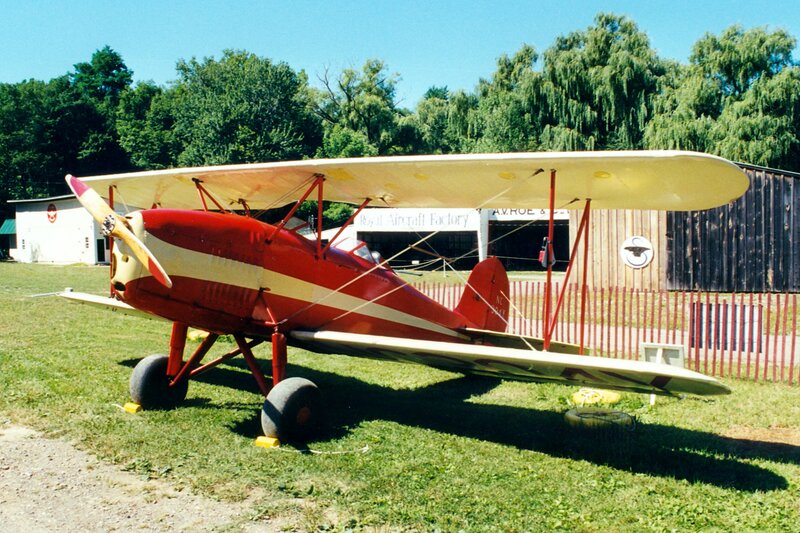 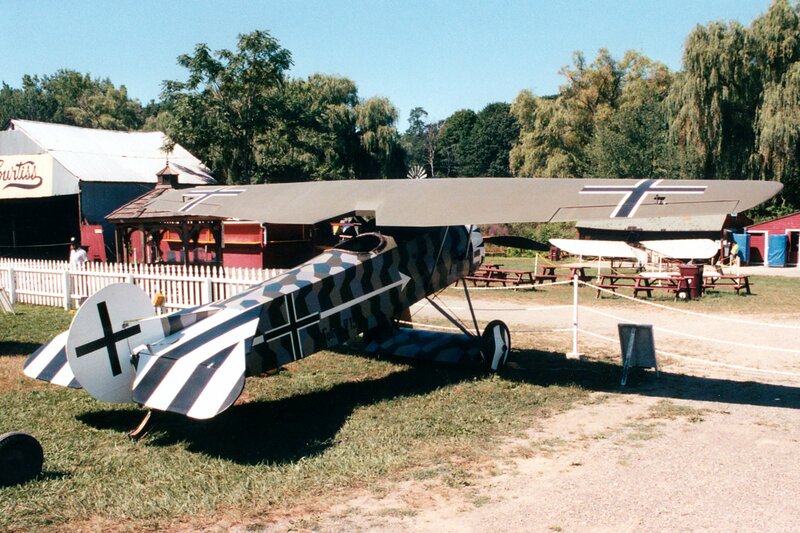 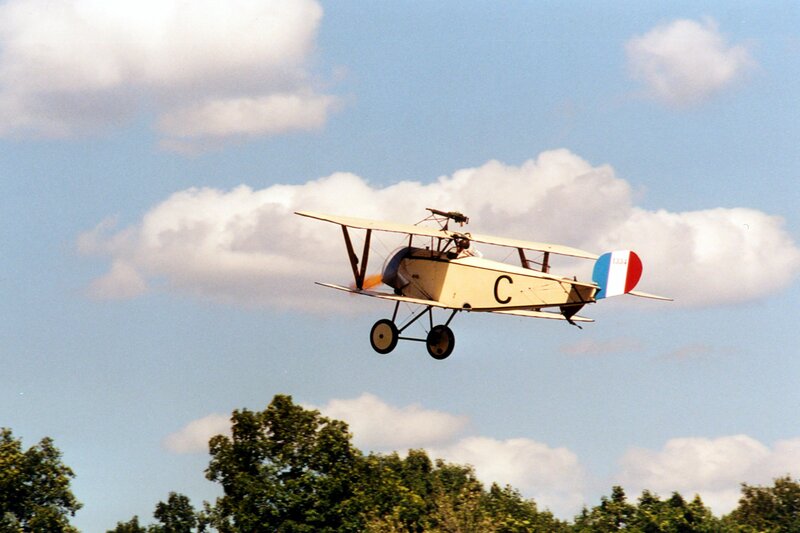 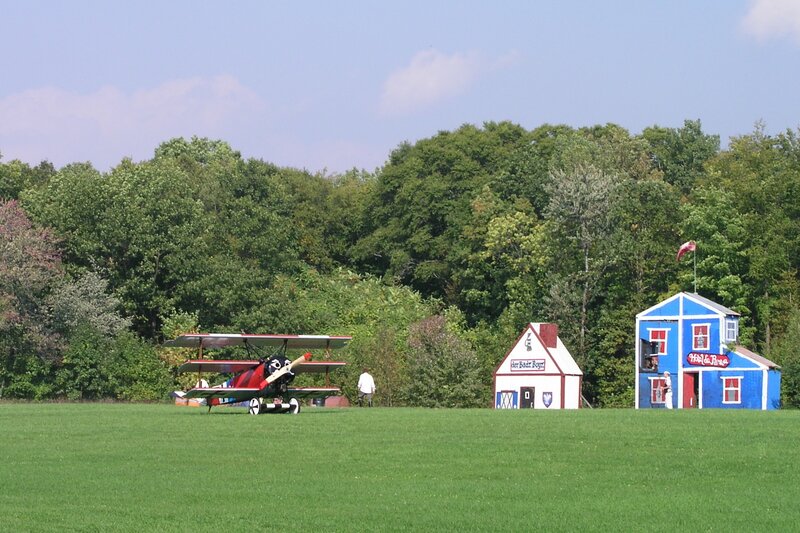 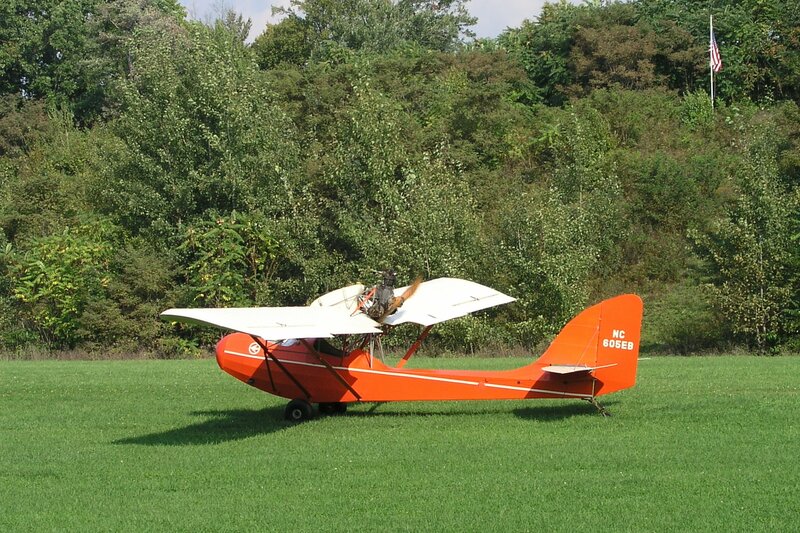 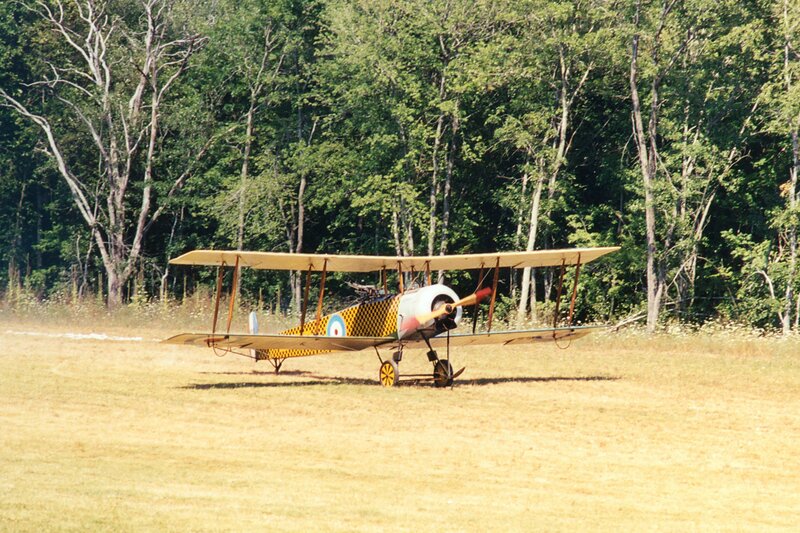 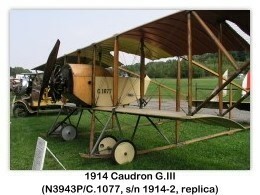 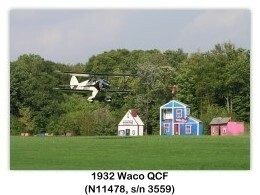 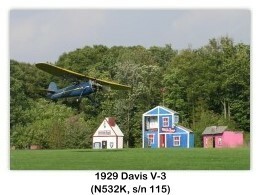 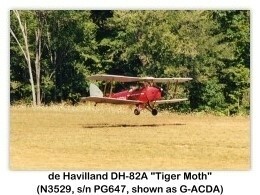 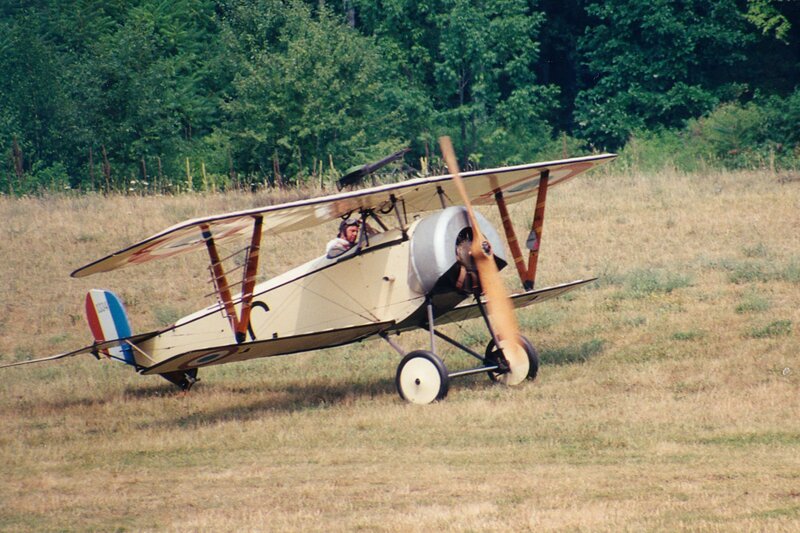 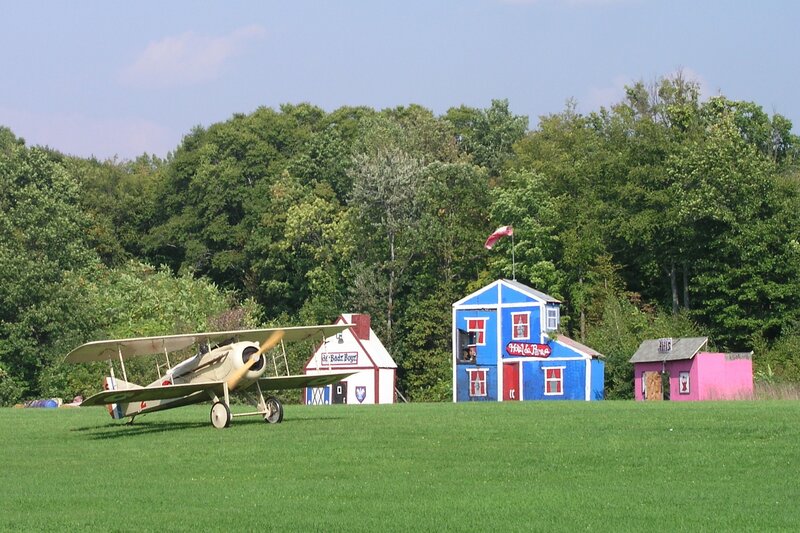 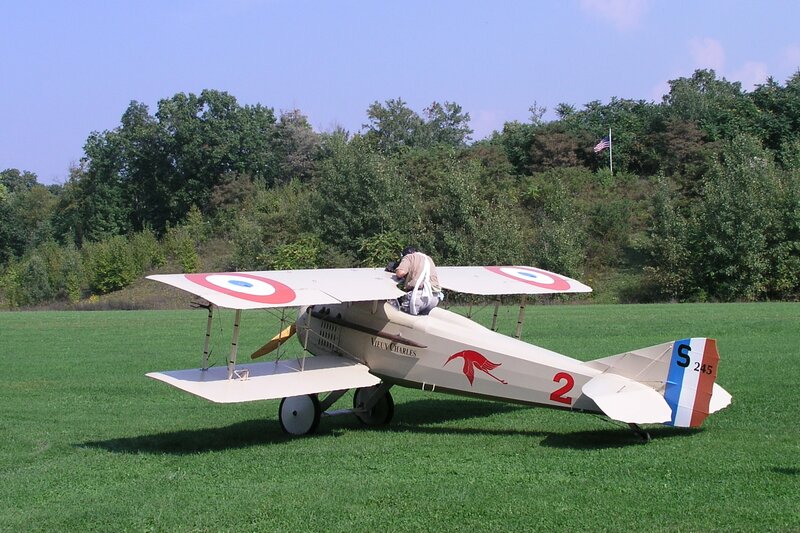 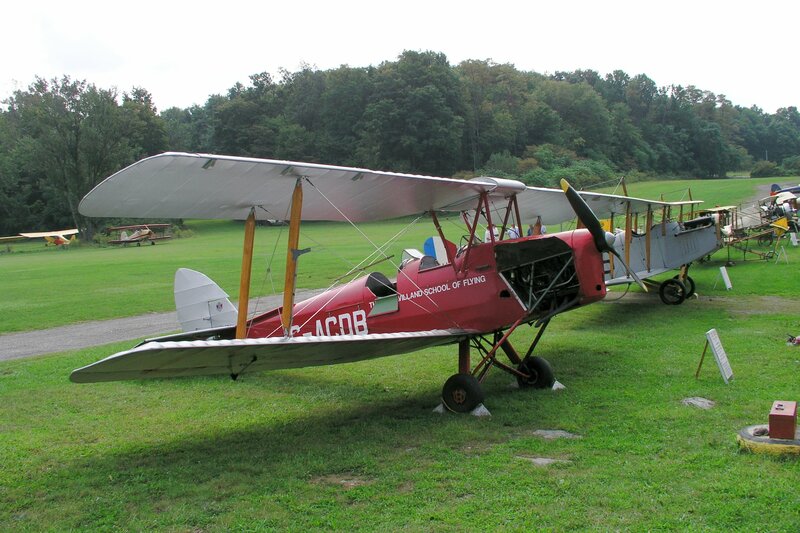 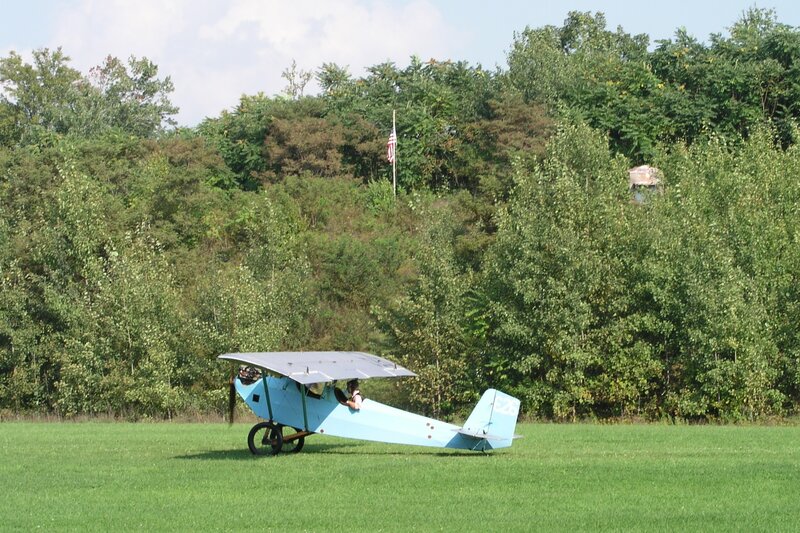 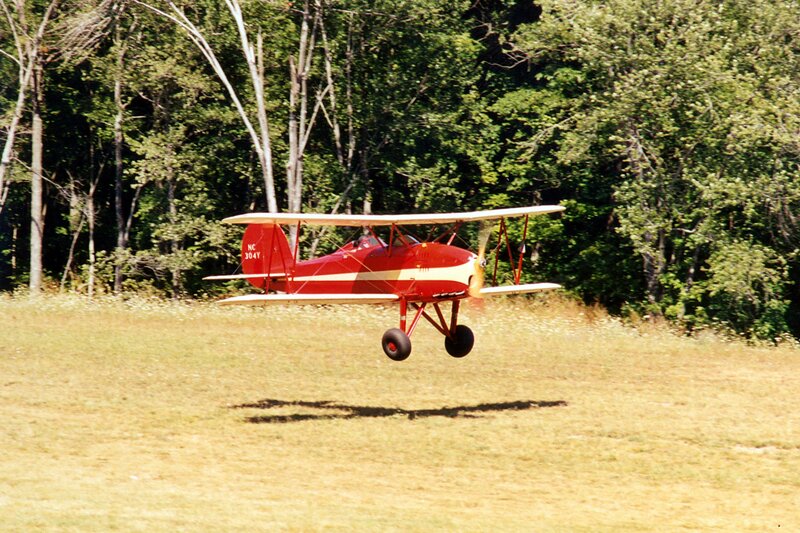 The Old Rhinebeck Aerodrome is a true “living” museum of antique aviation. 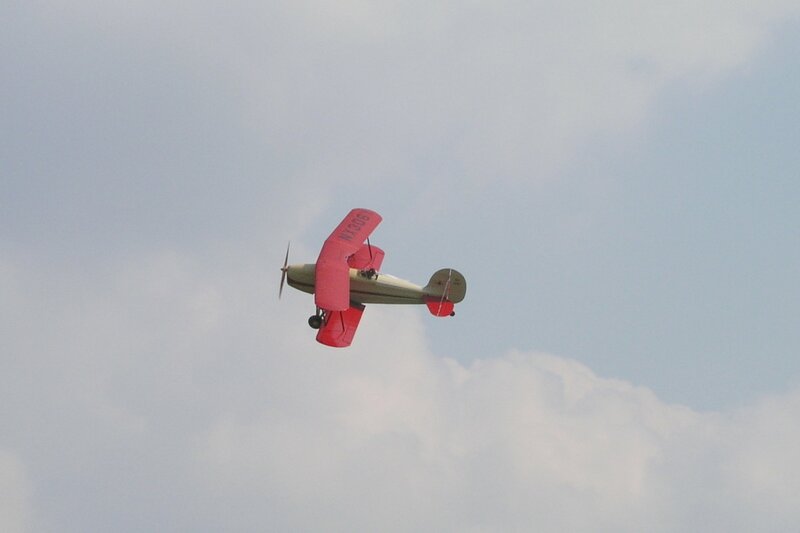 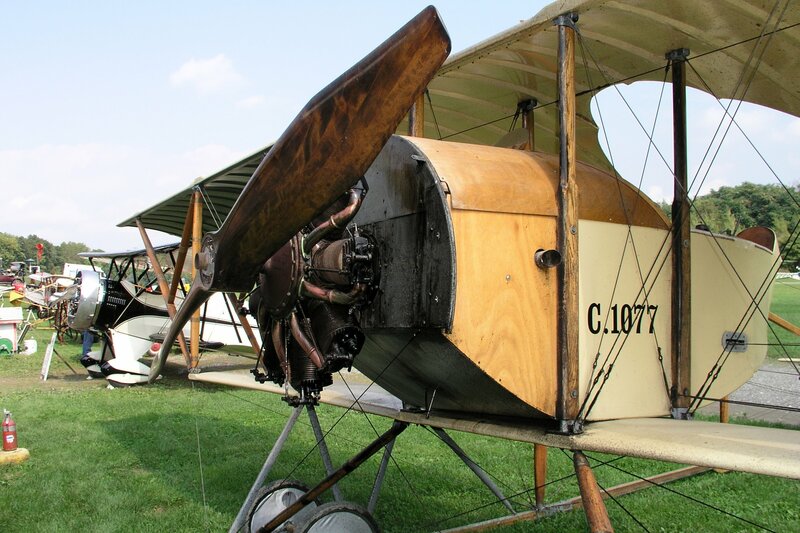 They have one of the largest collections of early aeroplanes in the world, many of which regularly take to the air in all their glory during their weekend airshows. 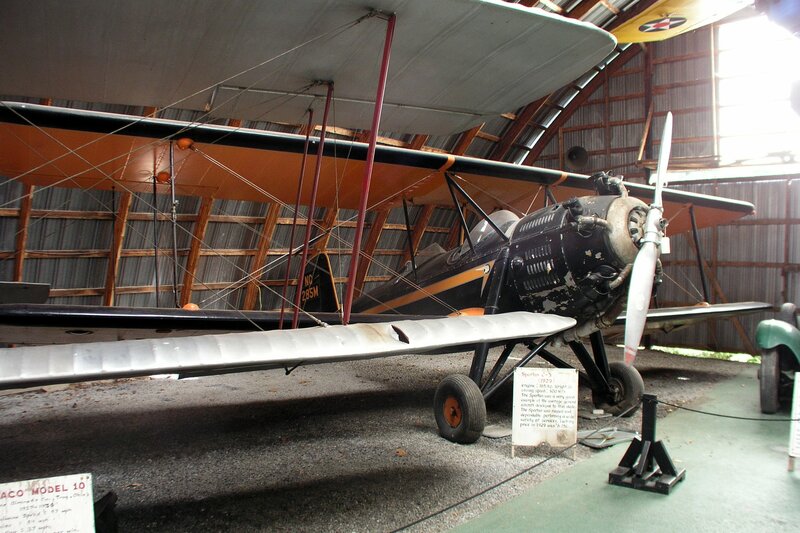 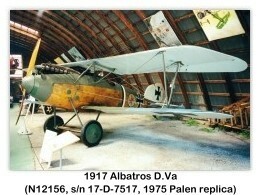 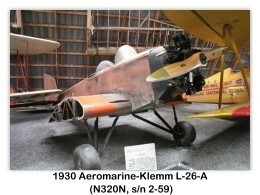 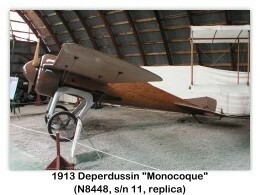 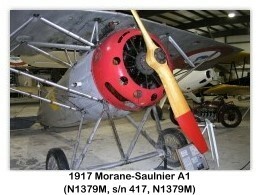 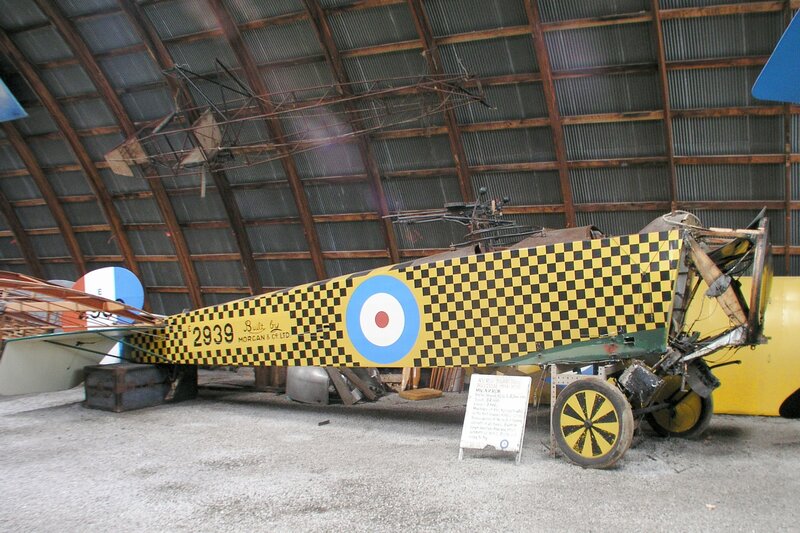 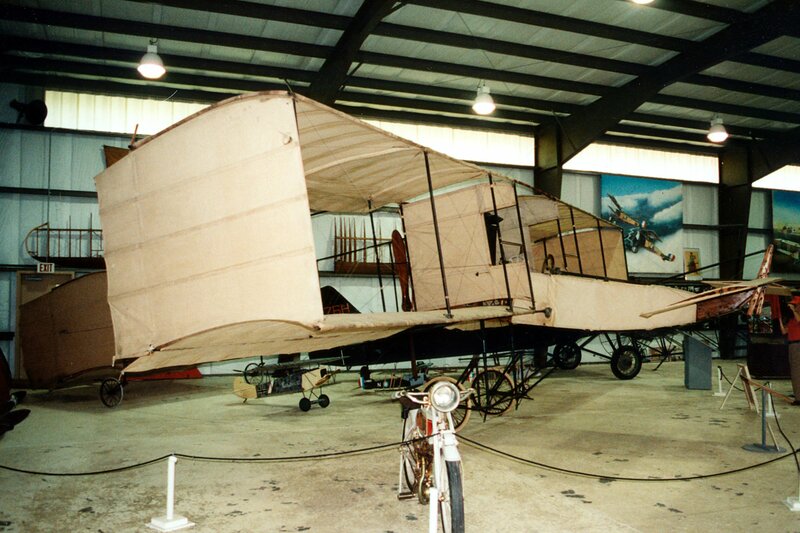 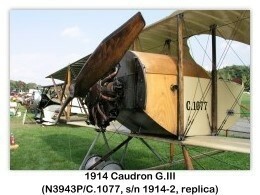 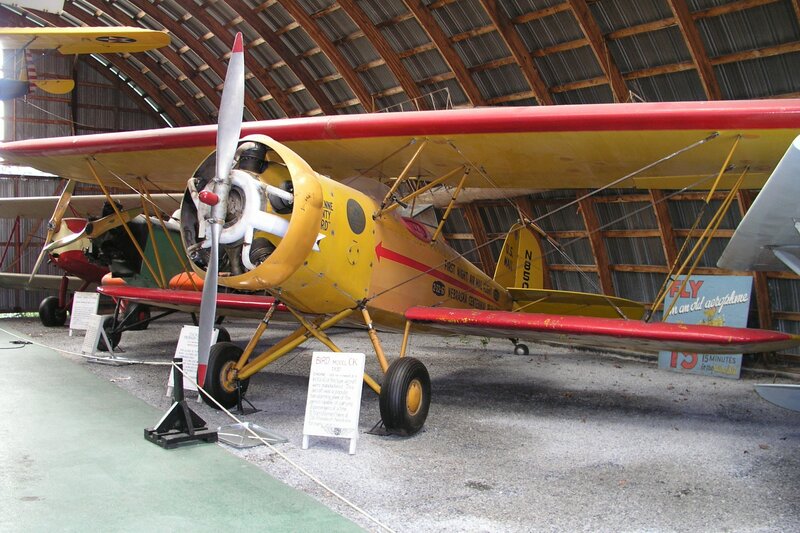 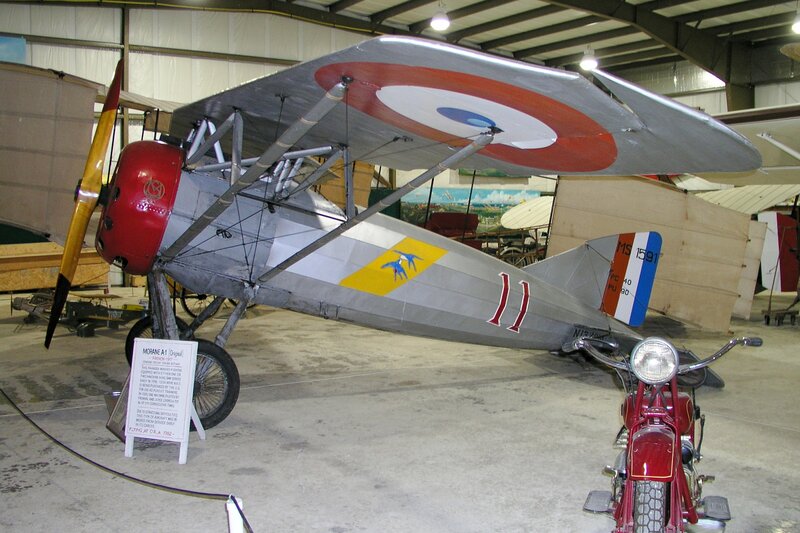 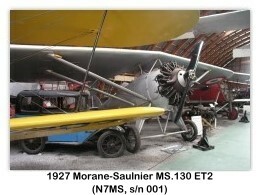 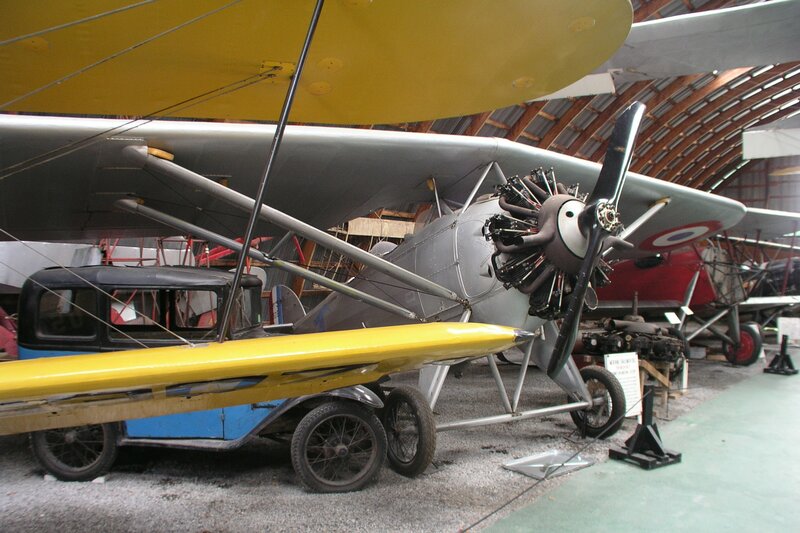 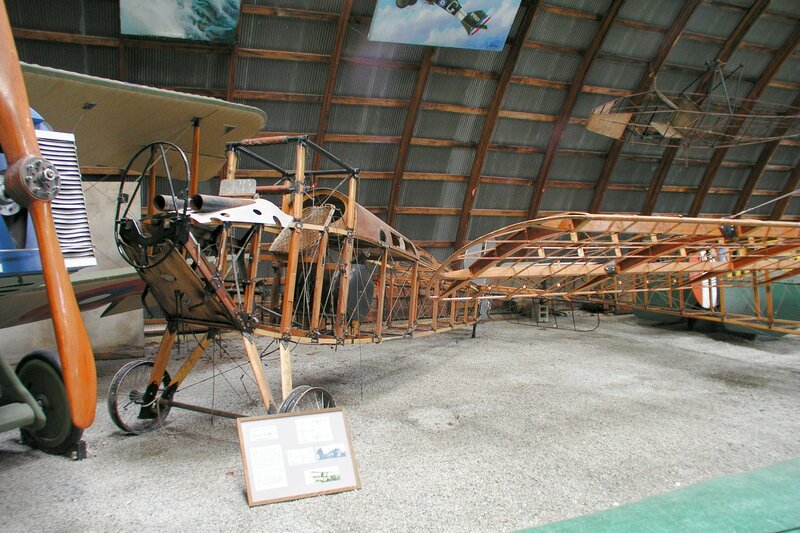 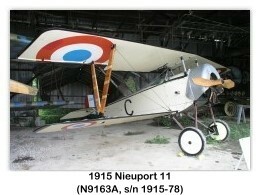 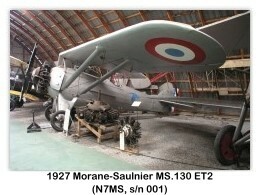 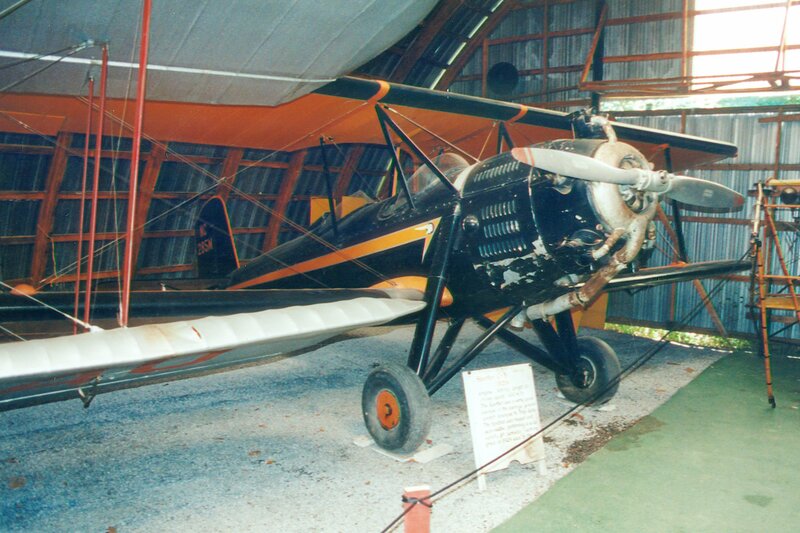 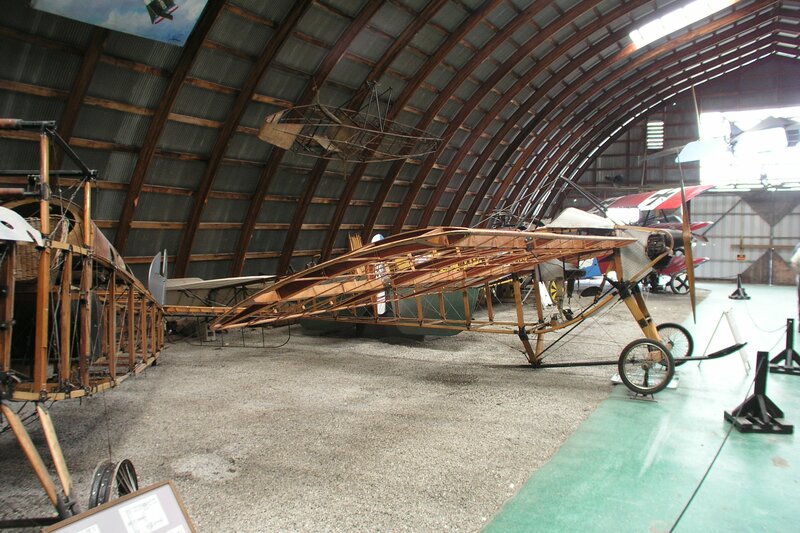 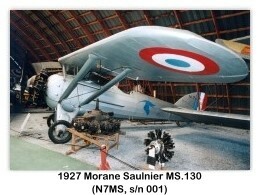 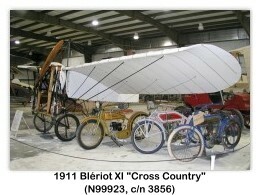 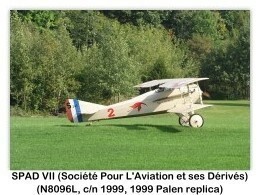 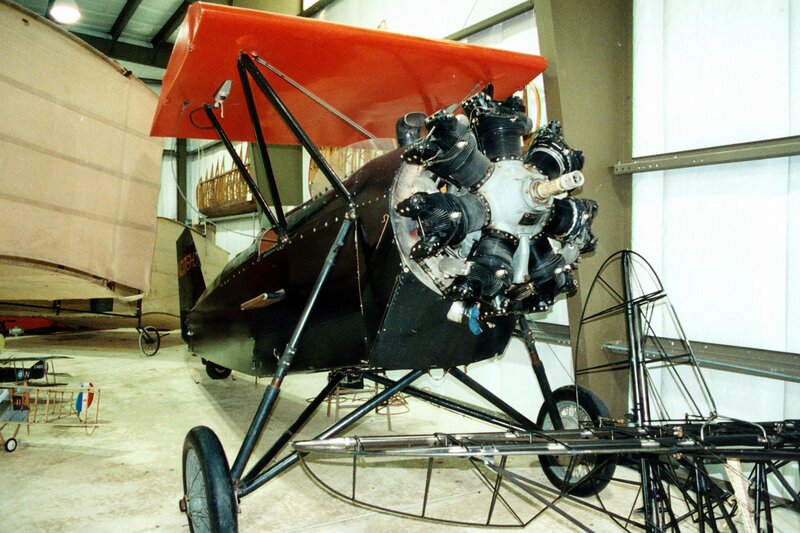 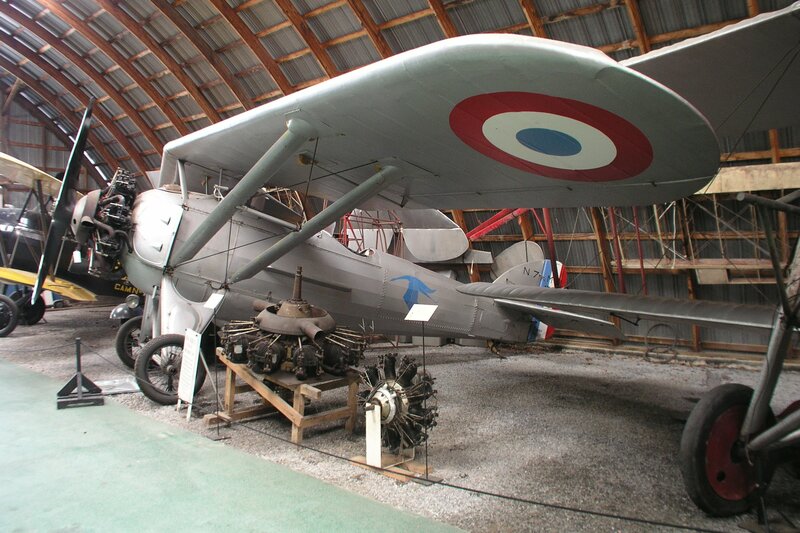 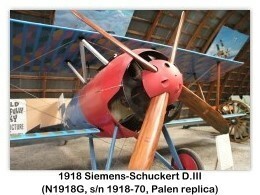 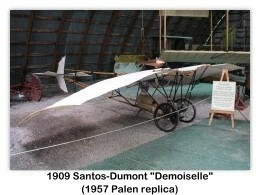 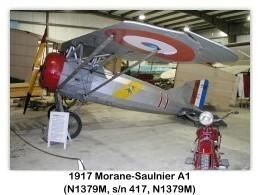 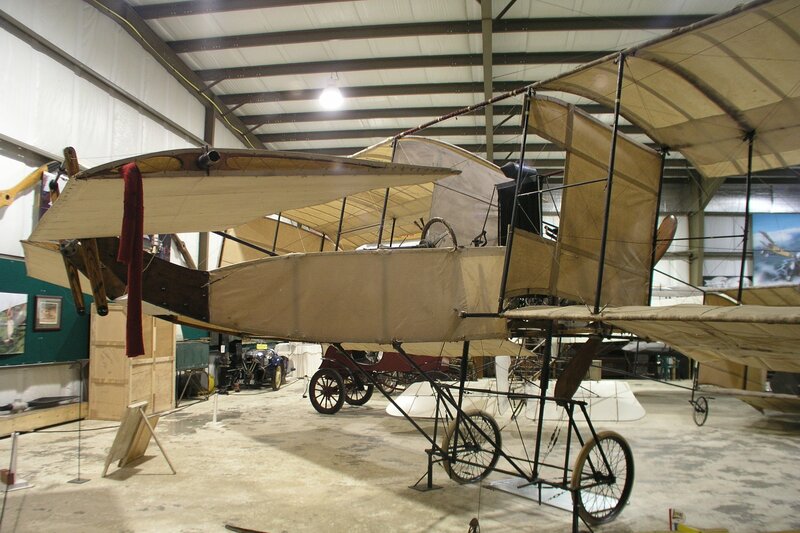 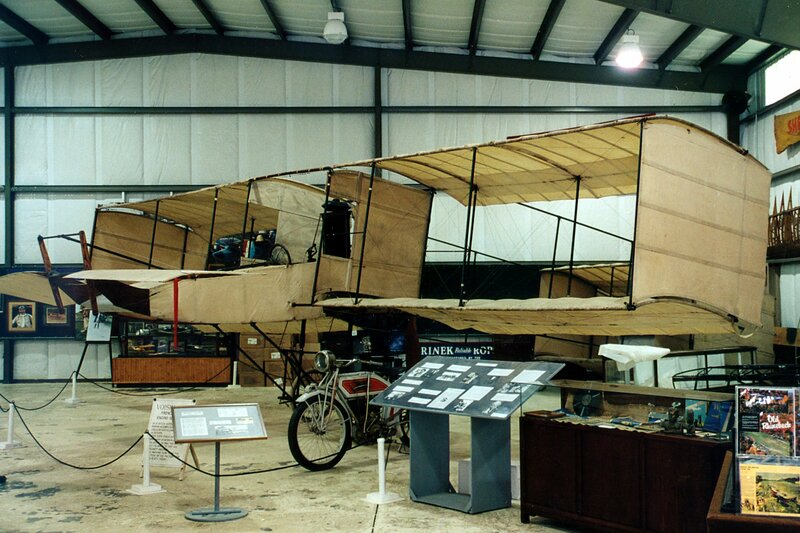 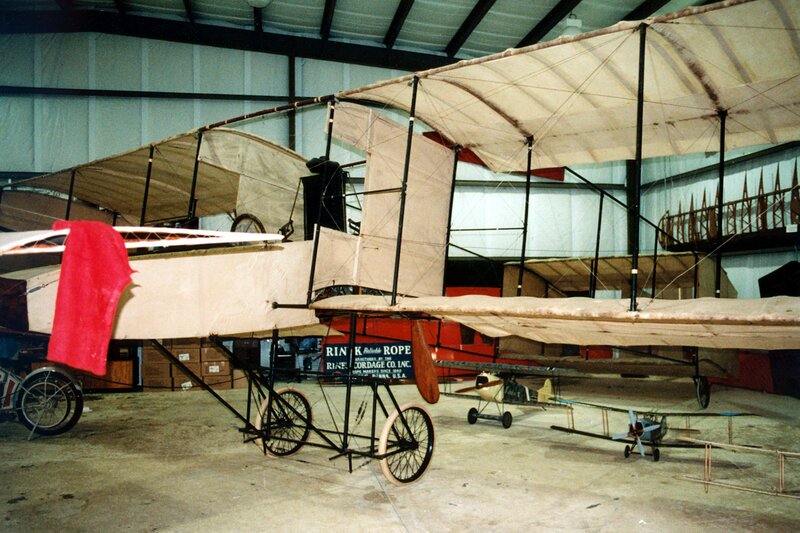 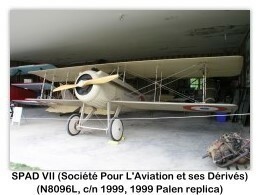 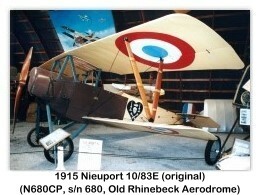 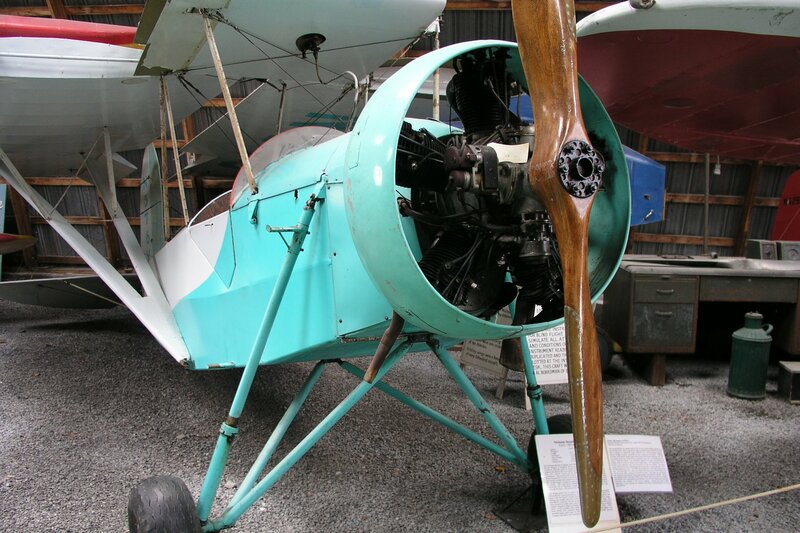 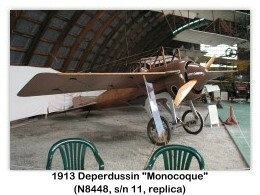 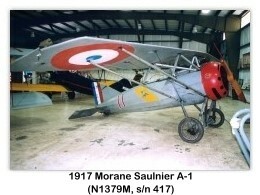 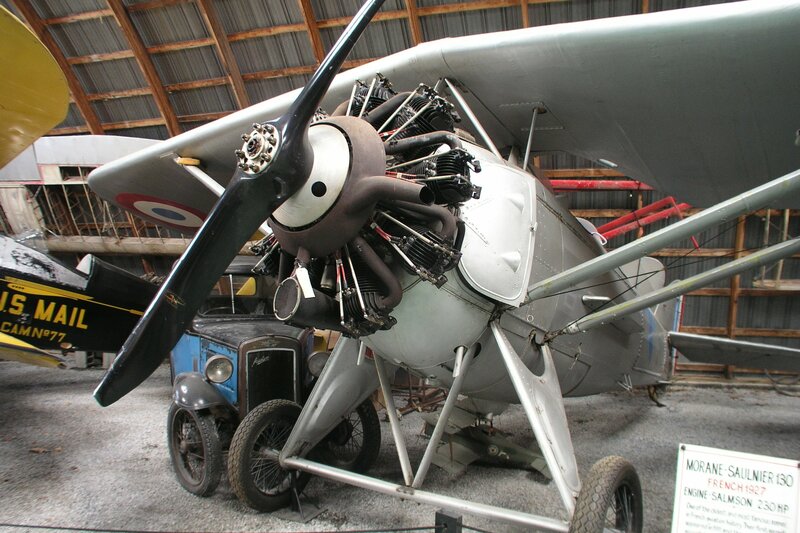 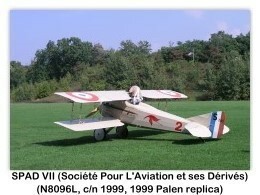 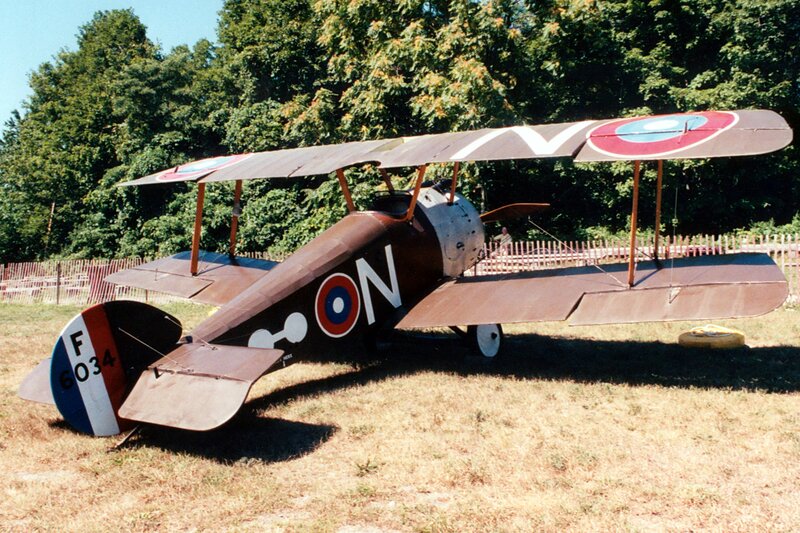 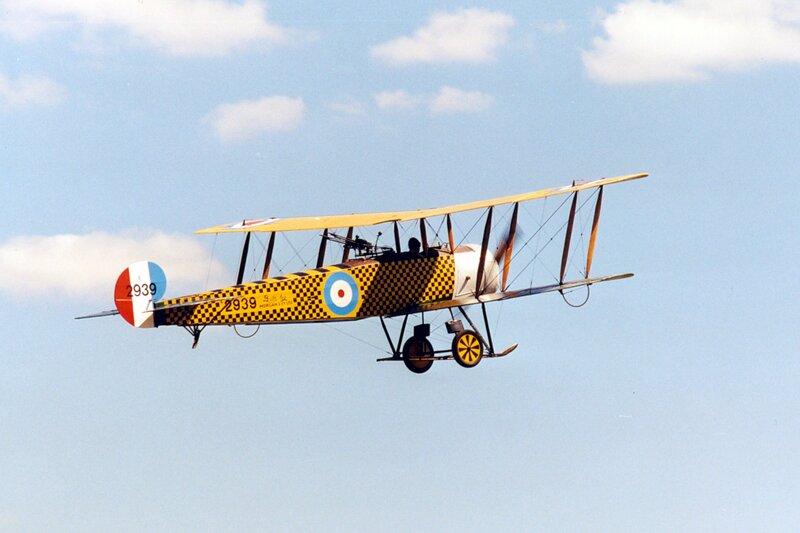 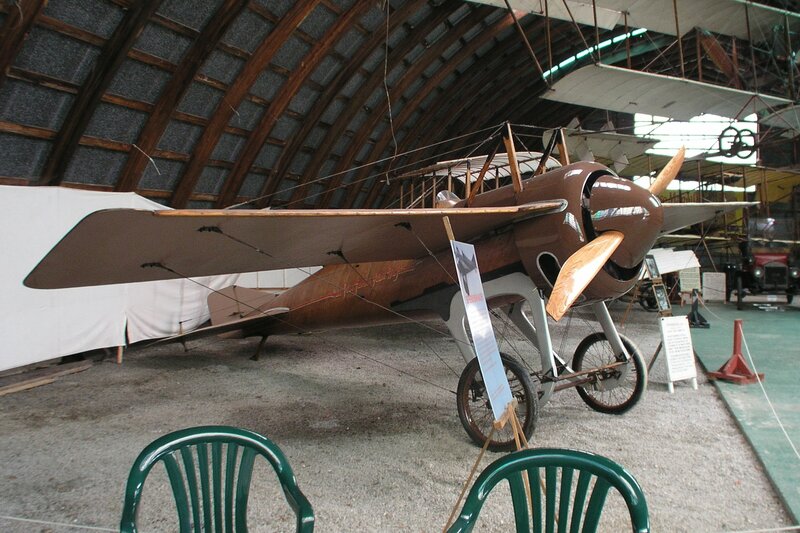 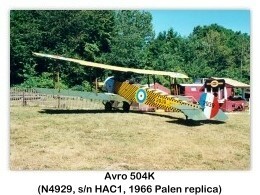 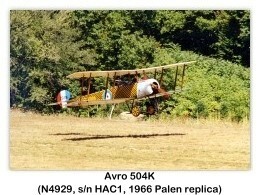 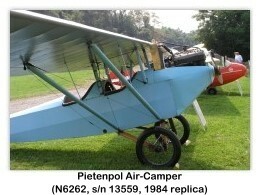 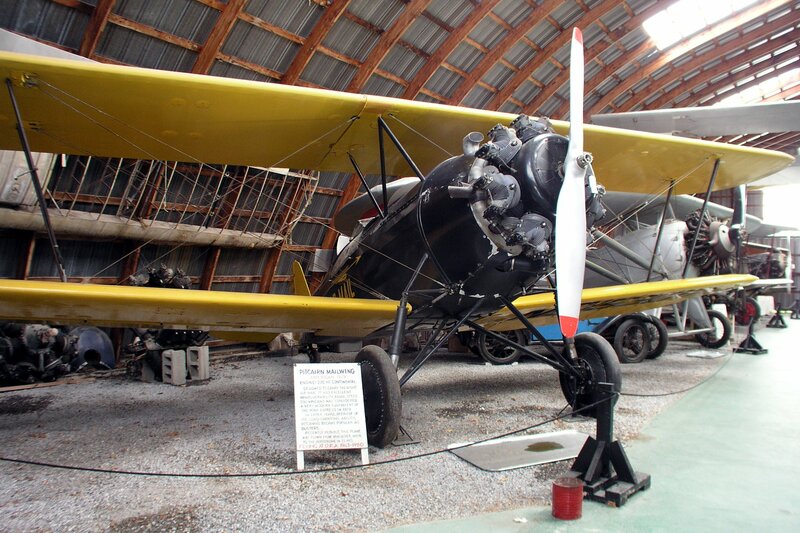 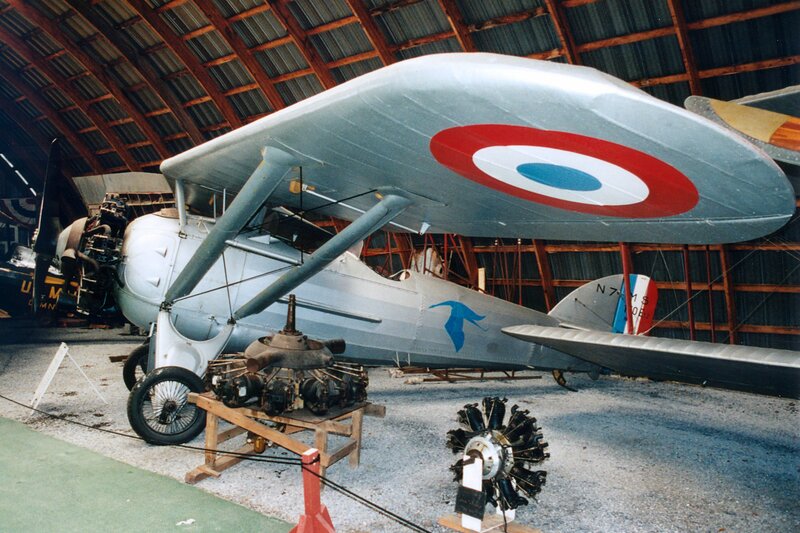 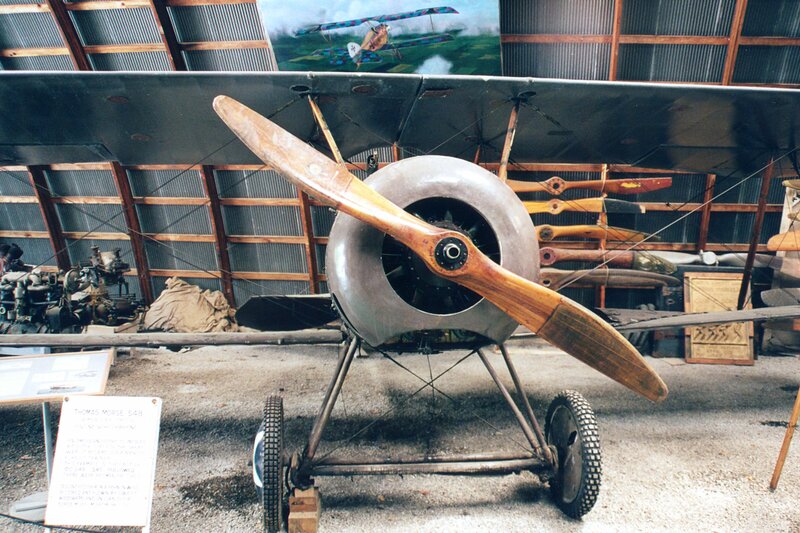 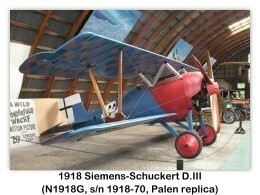 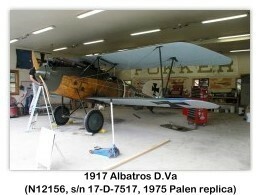 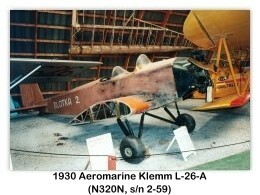 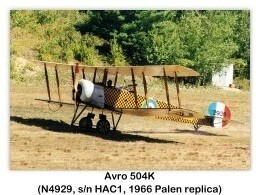 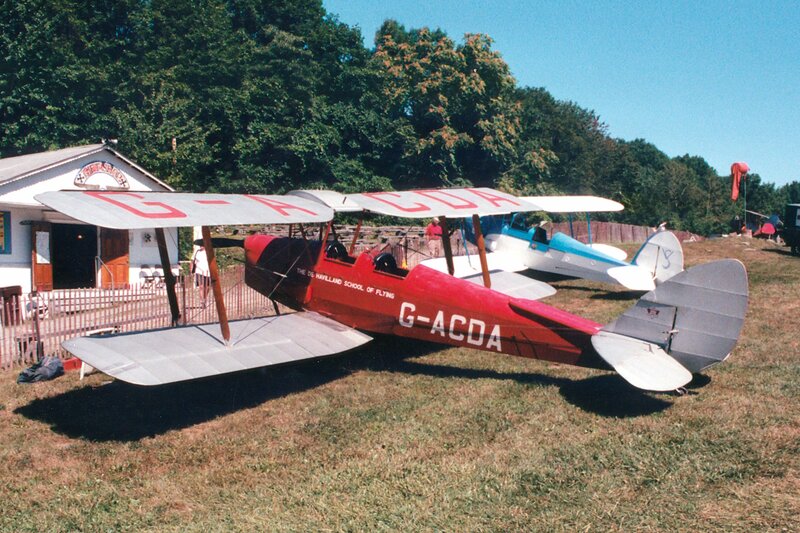 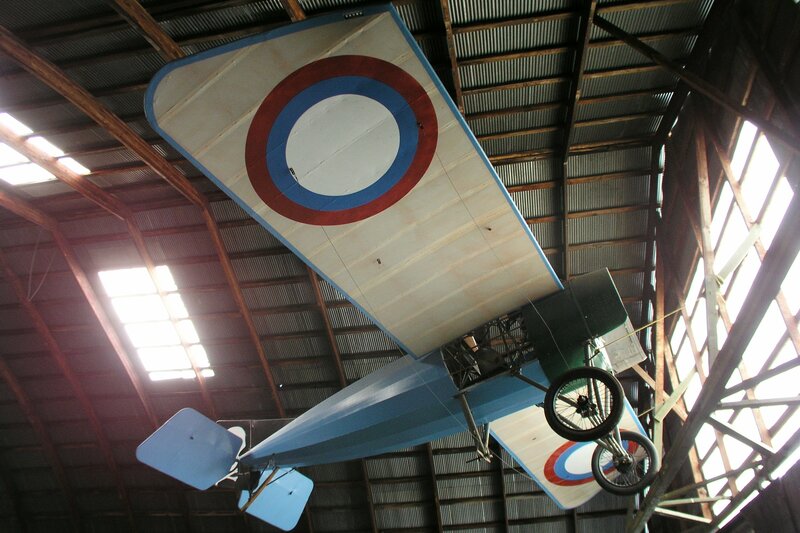 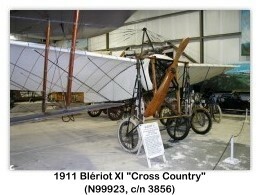 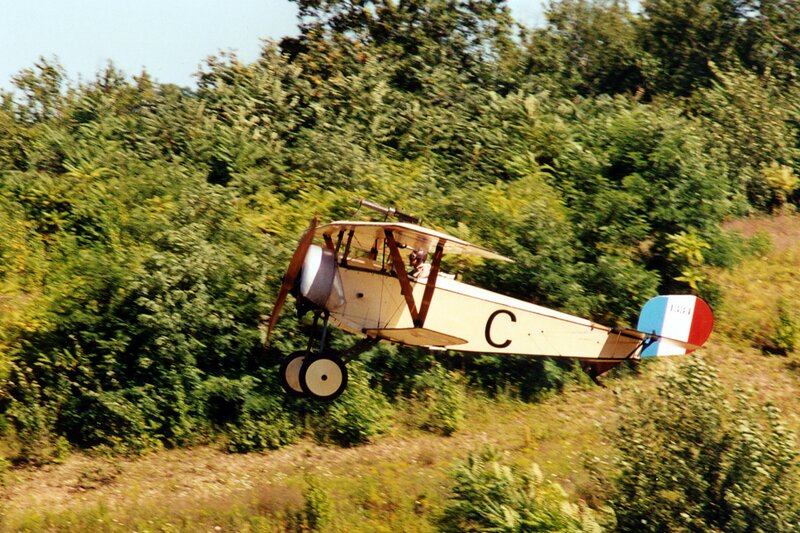 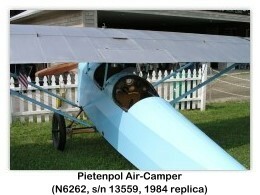 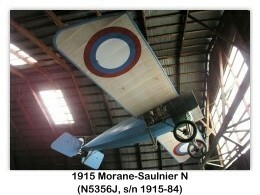 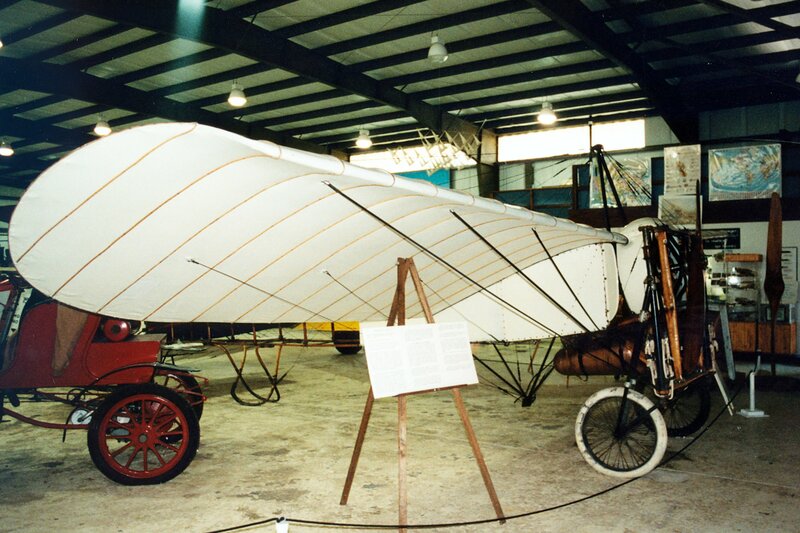 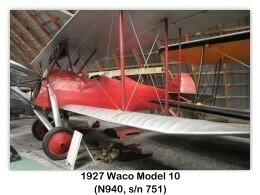 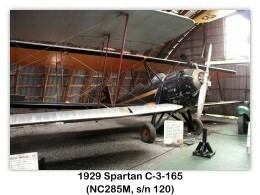 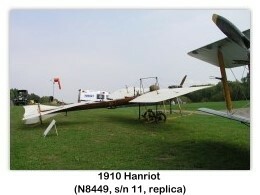 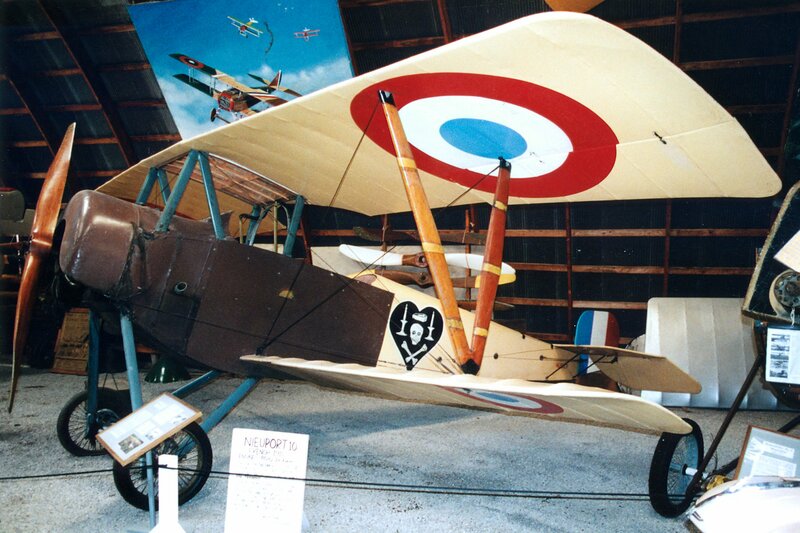 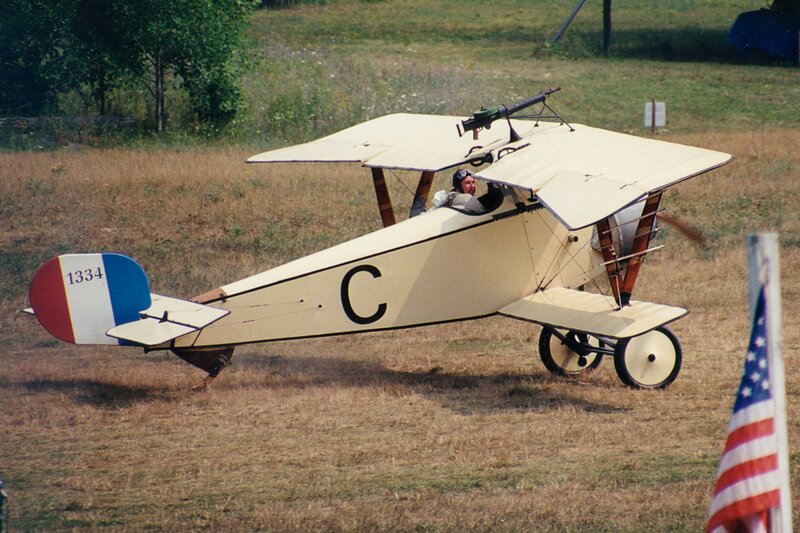 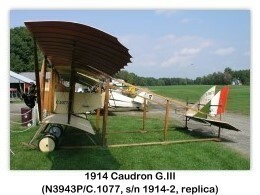 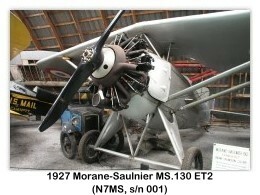 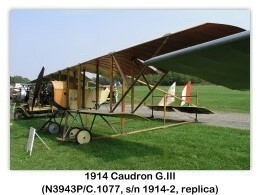 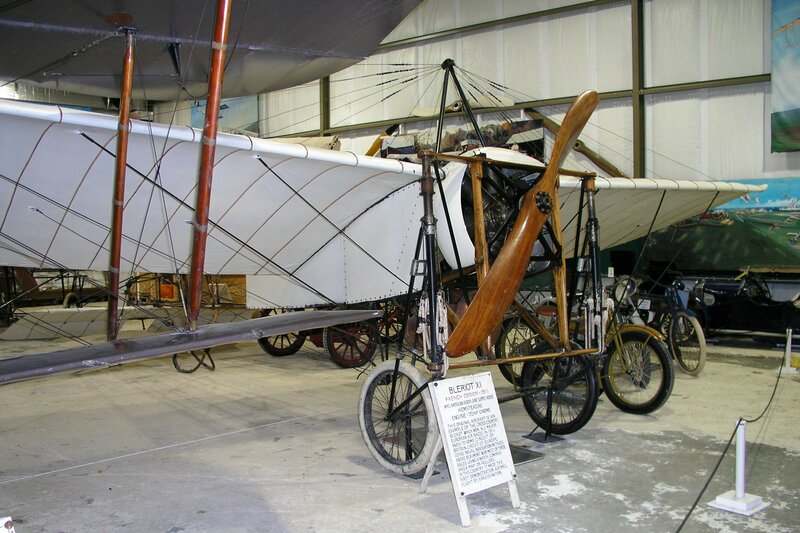 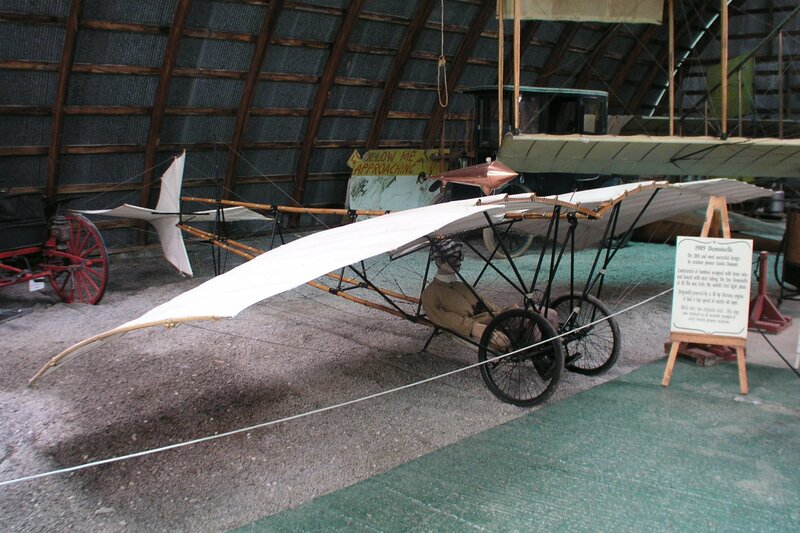 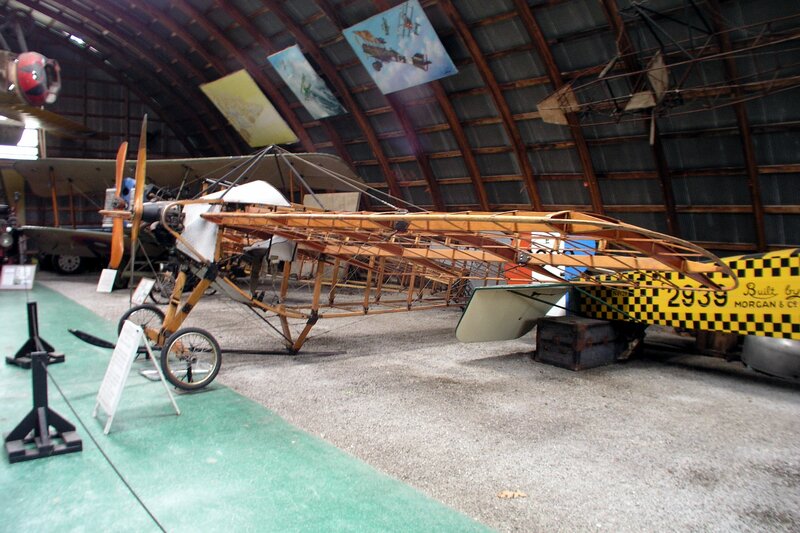 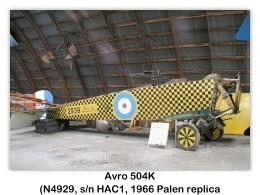 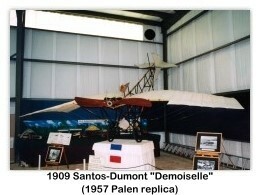 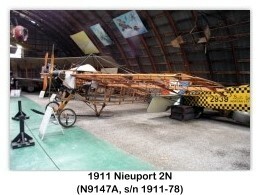 The Aerodrome features aeroplanes, automobiles, motorcycles, early engines and memorabilia from 1900-1935. 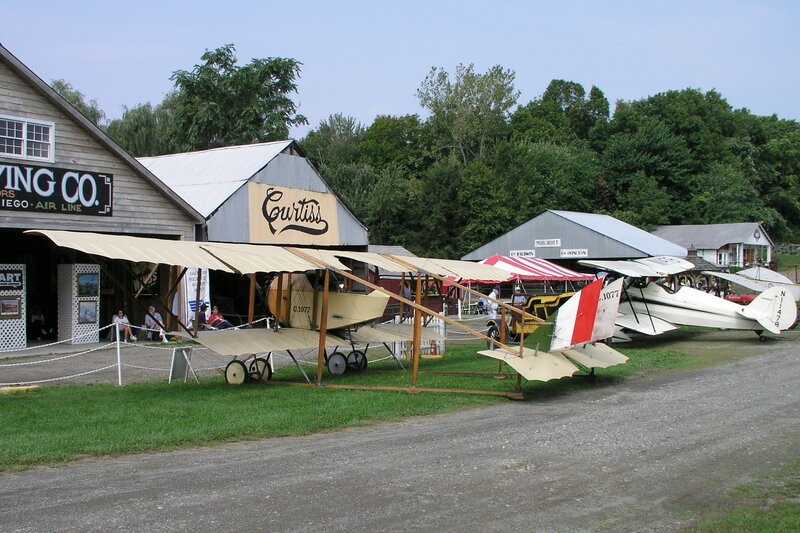 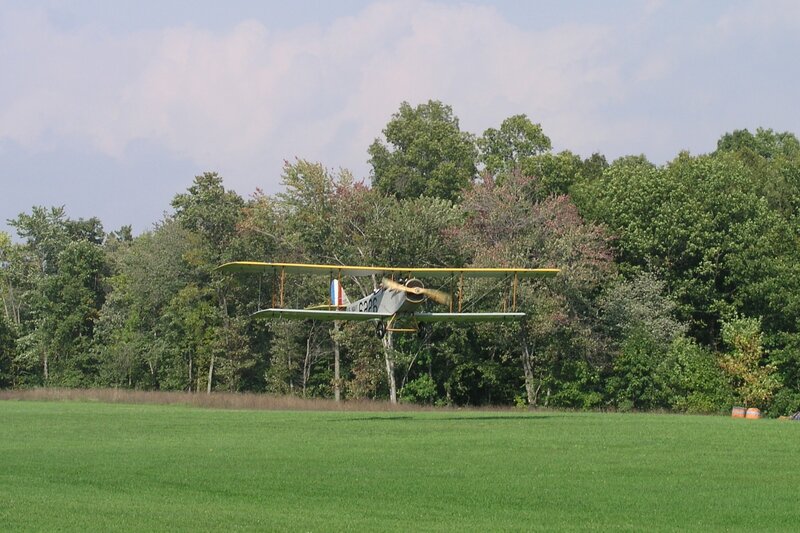 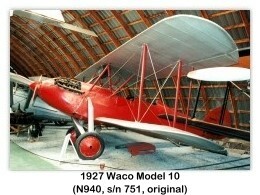 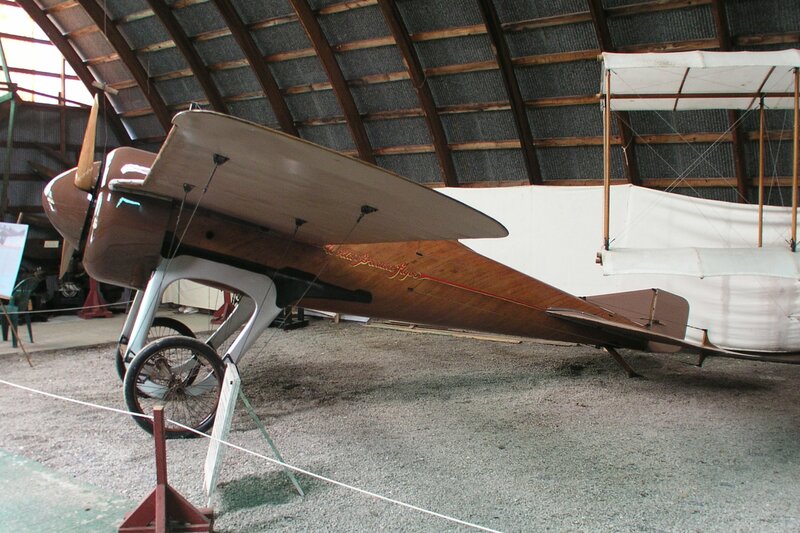 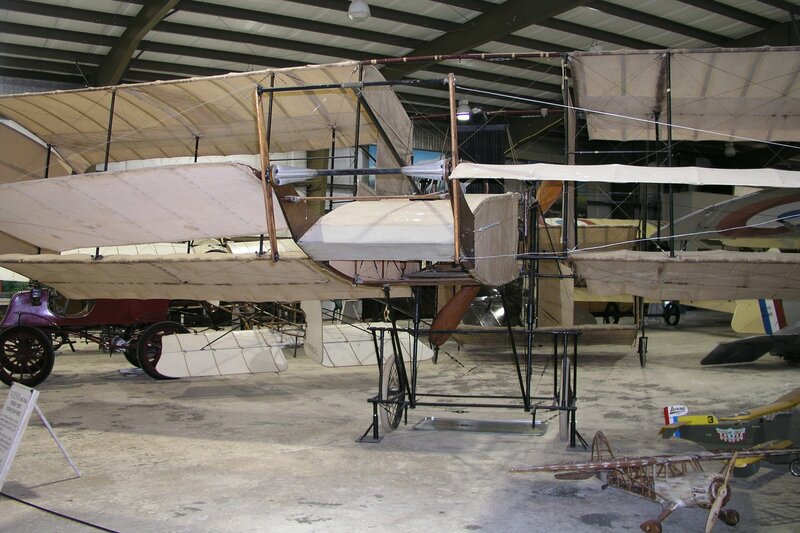 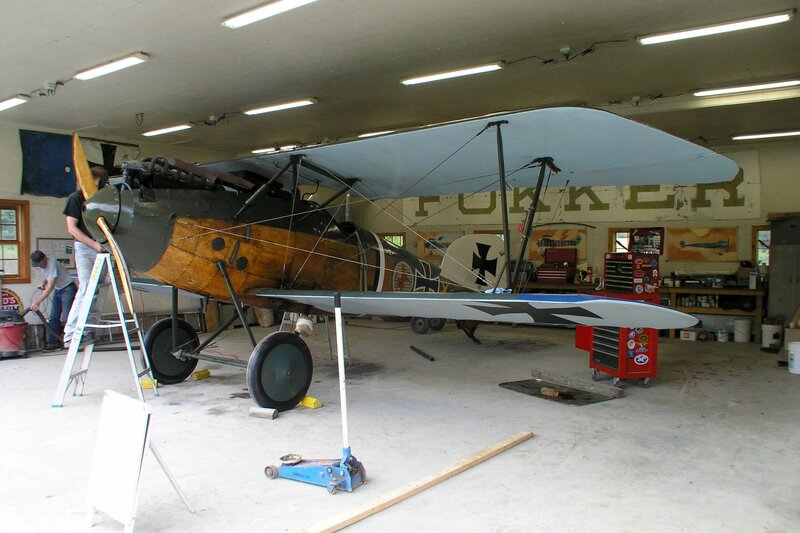 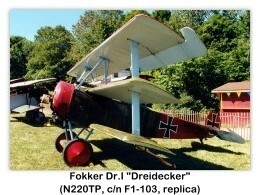 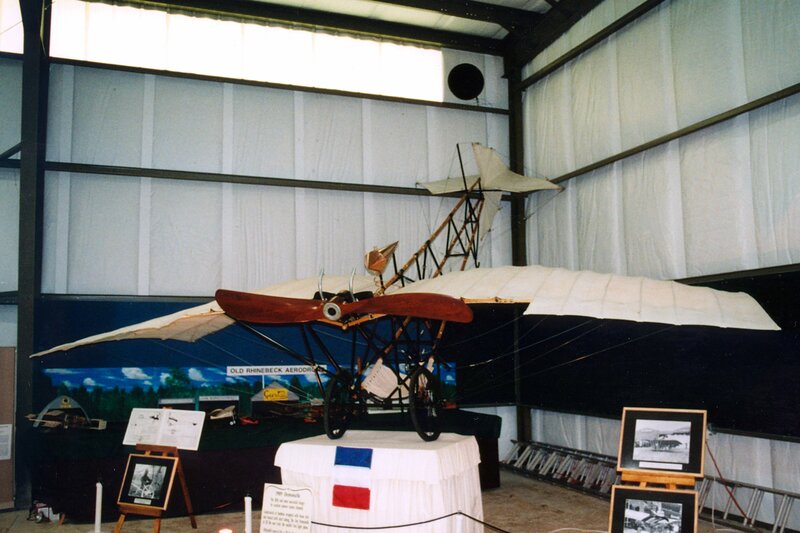 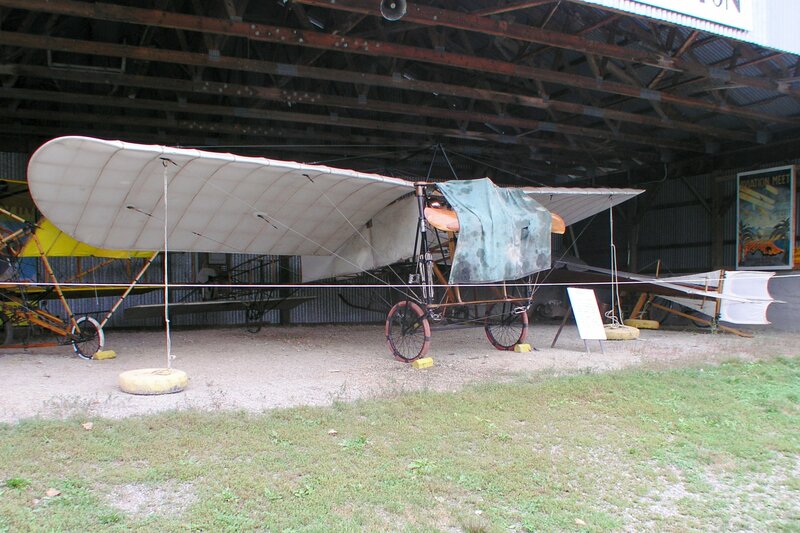 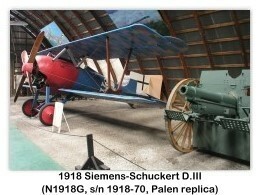 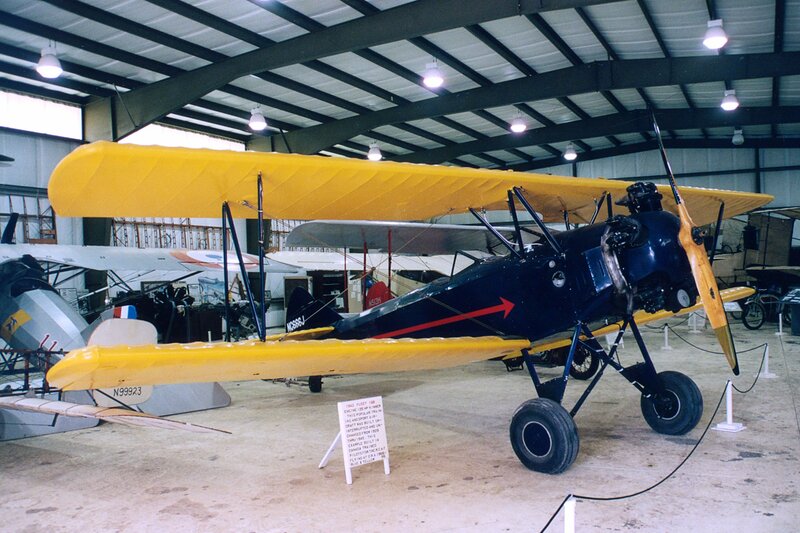 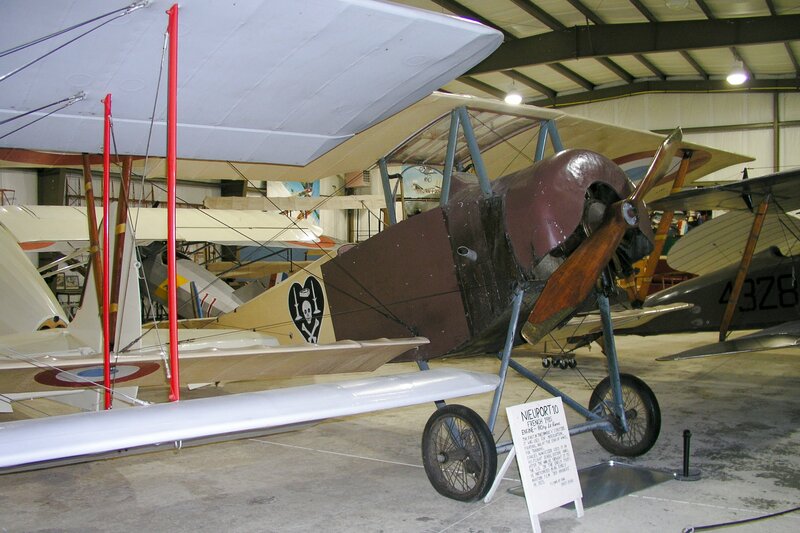 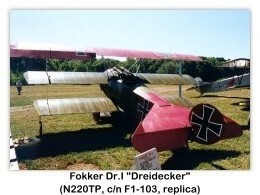 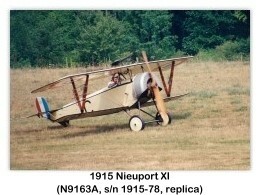 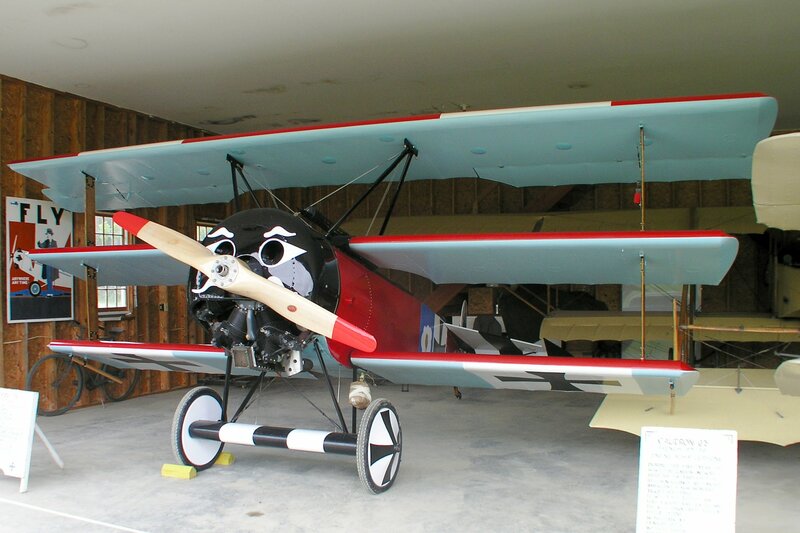 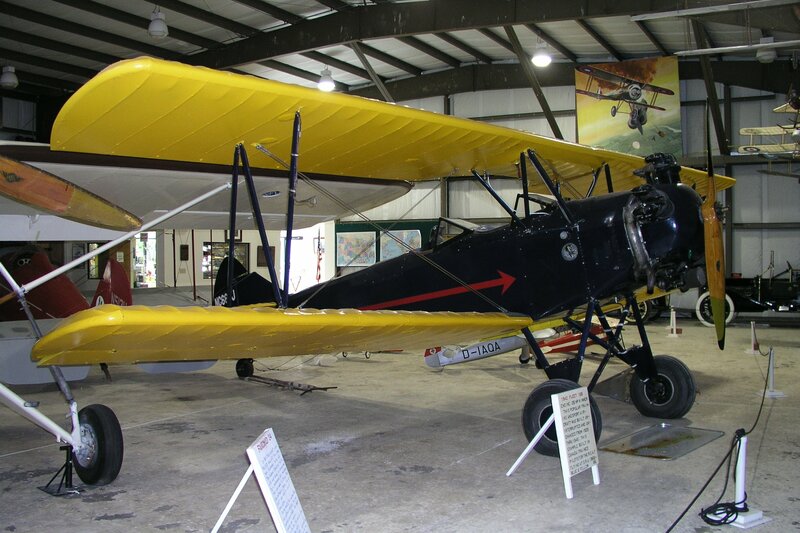 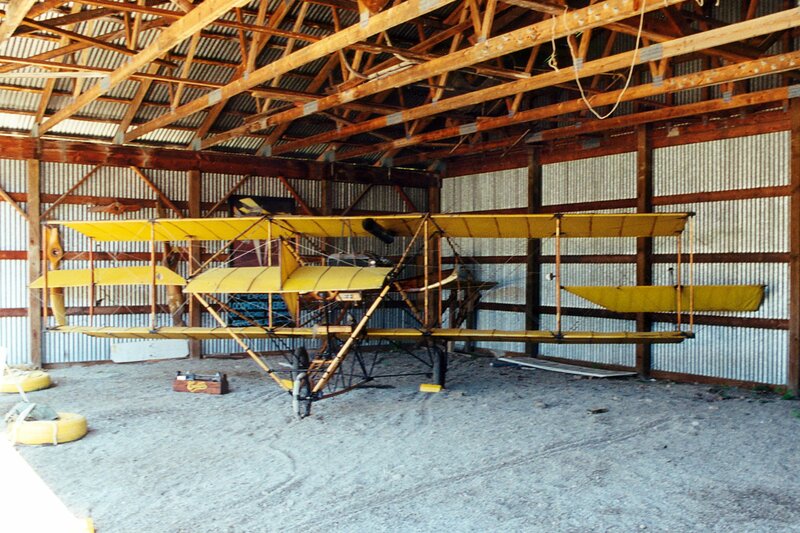 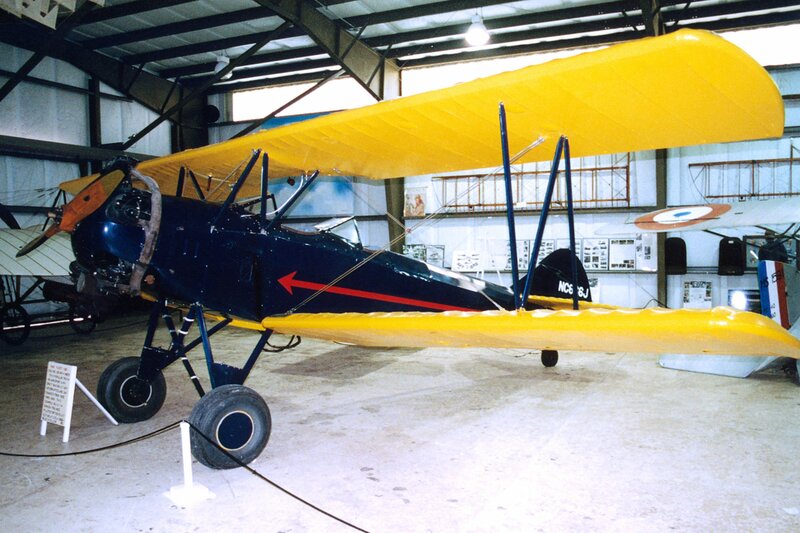 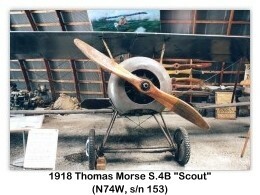 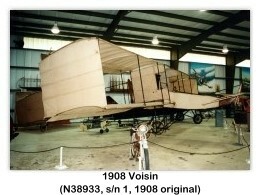 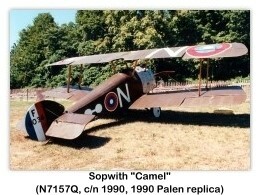 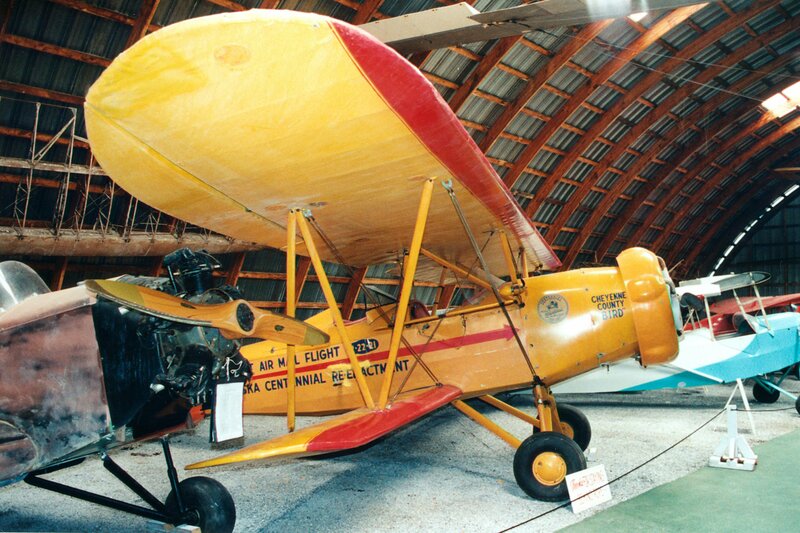 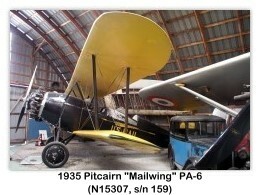 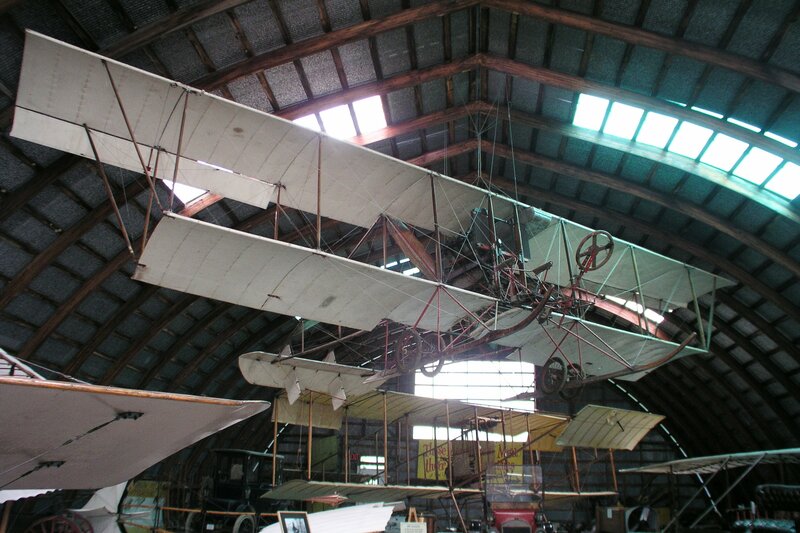 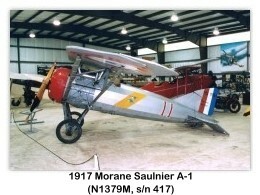 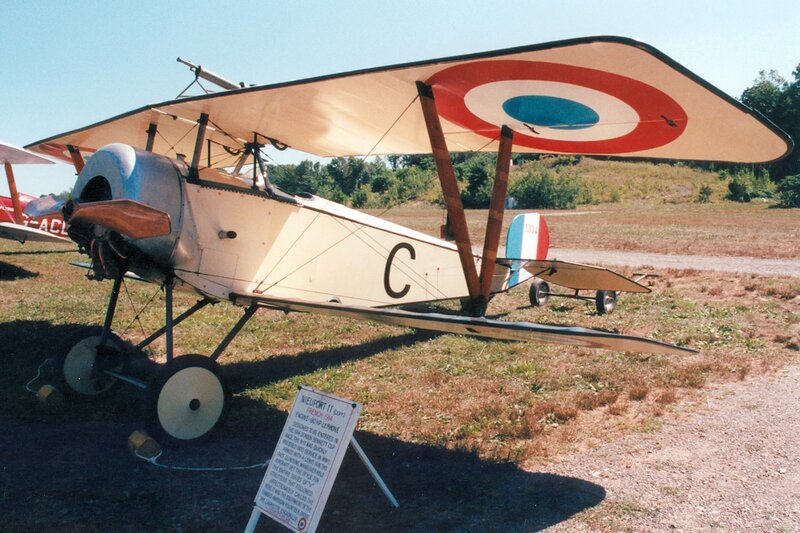 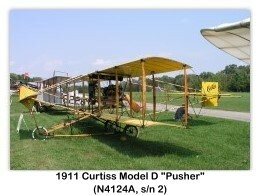 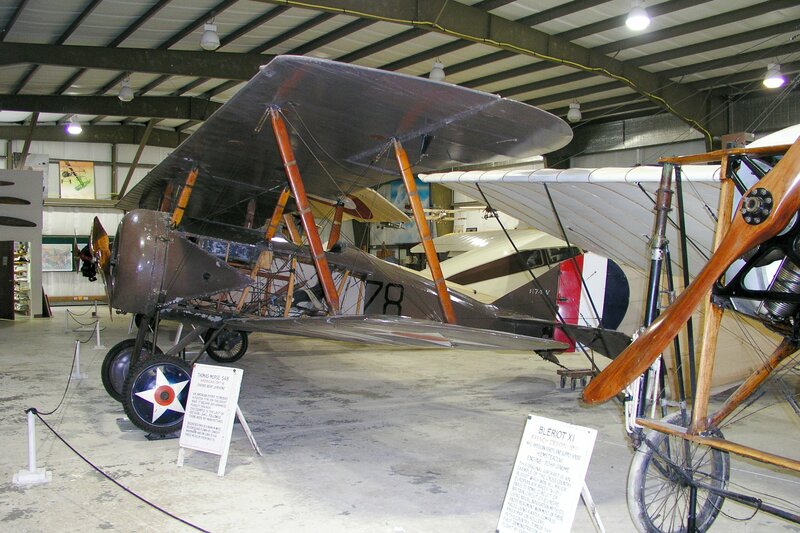 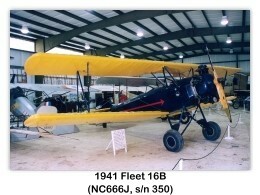 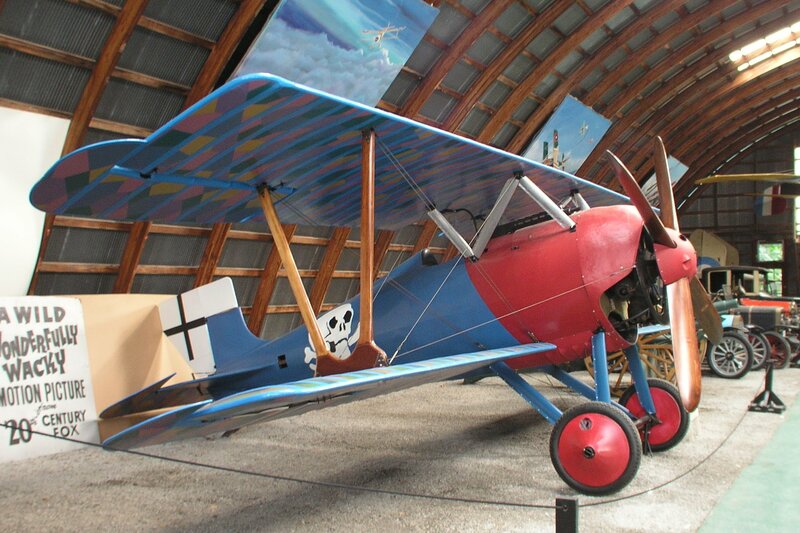 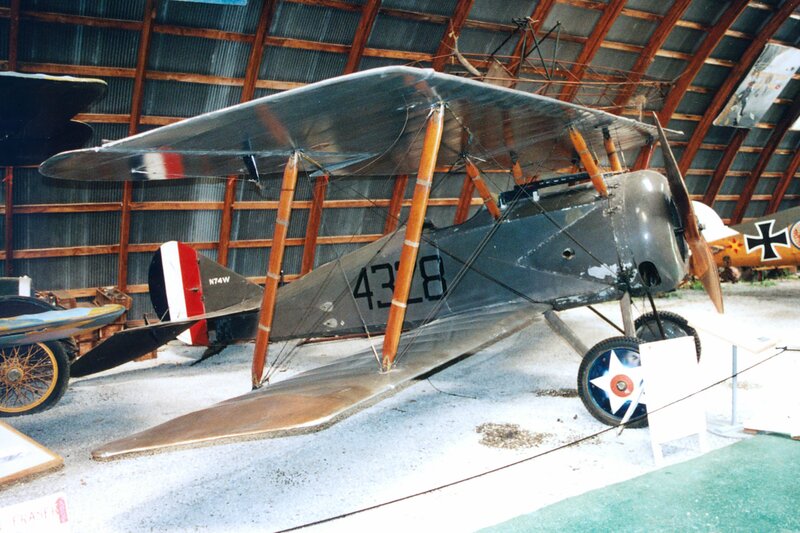 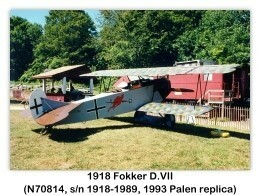 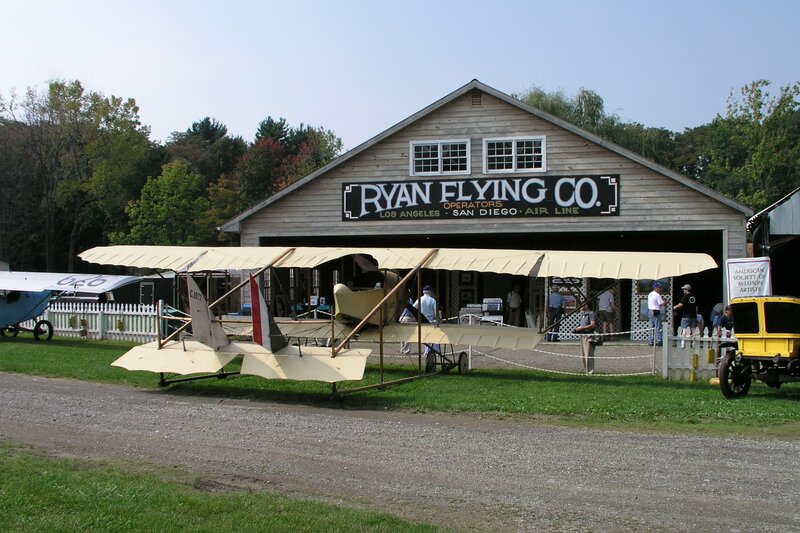 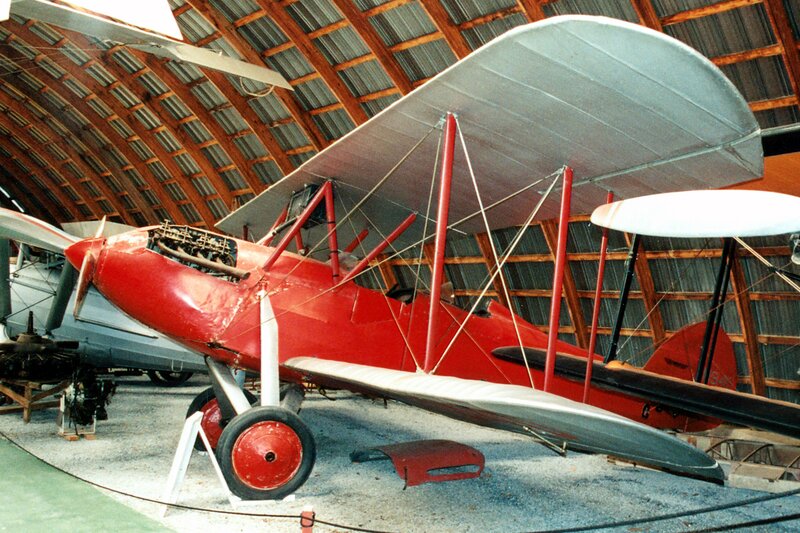 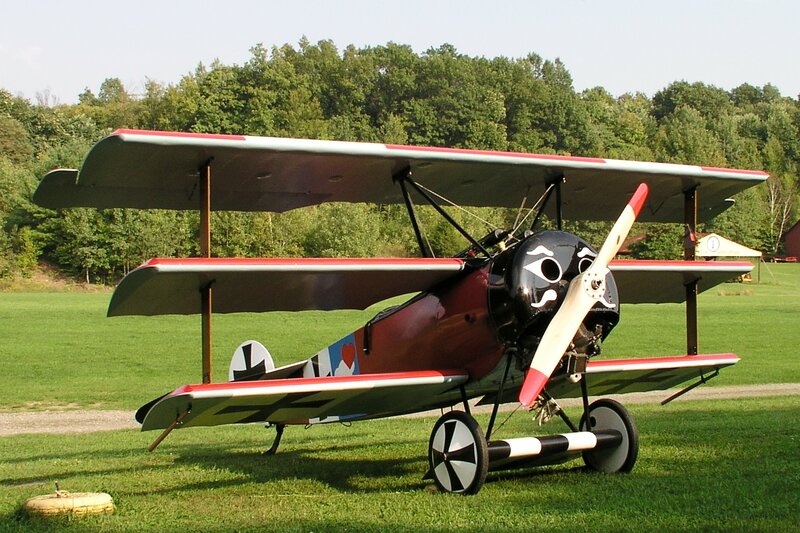 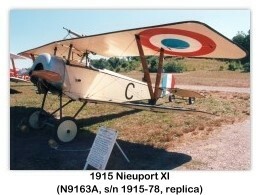 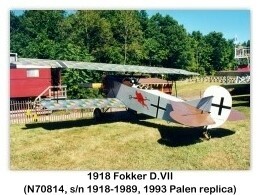 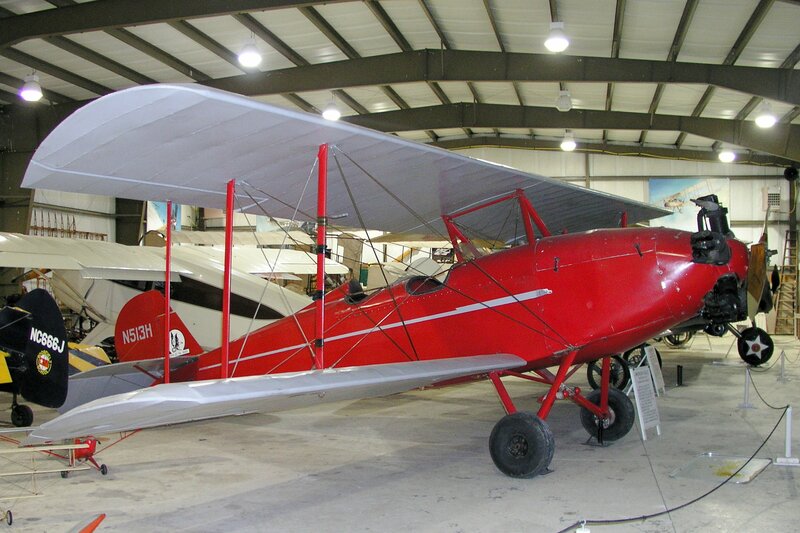 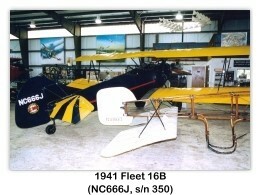 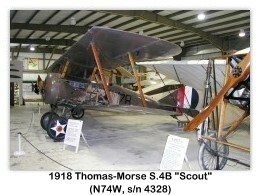 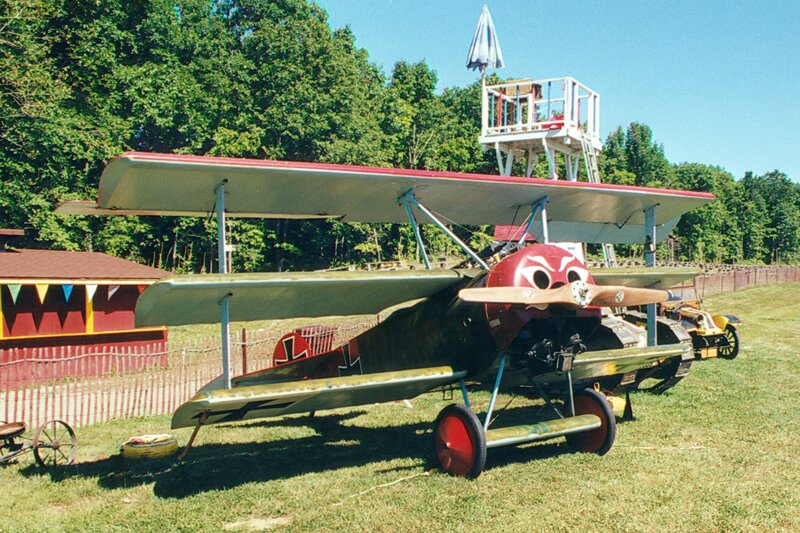 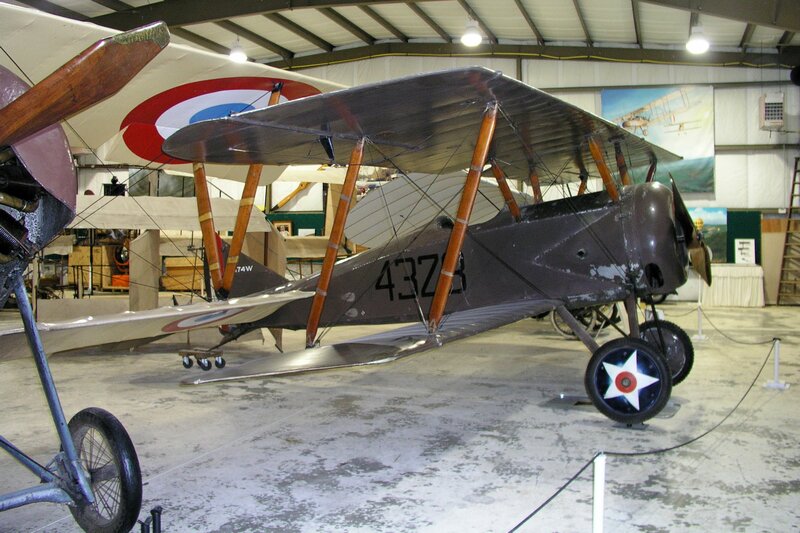 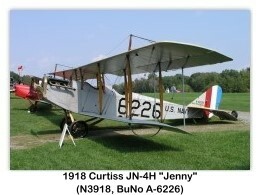 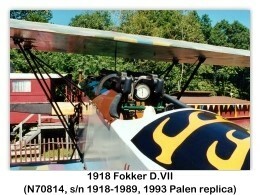 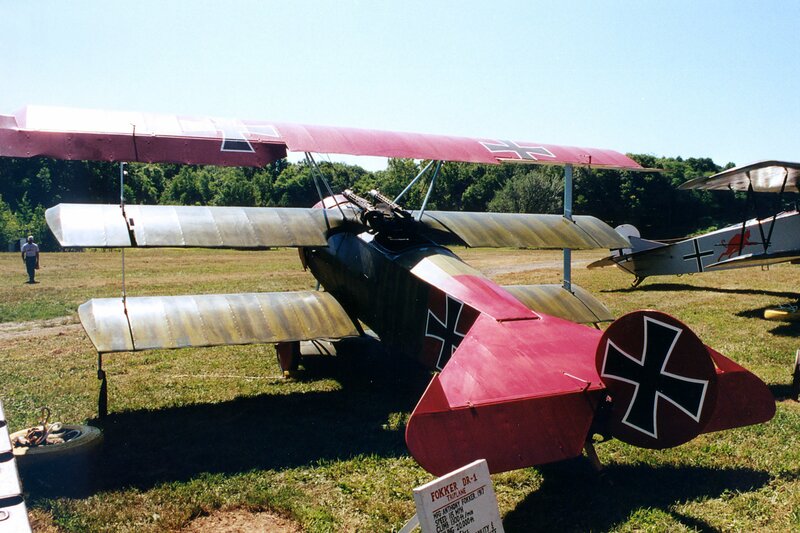 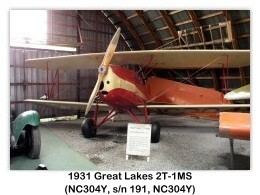 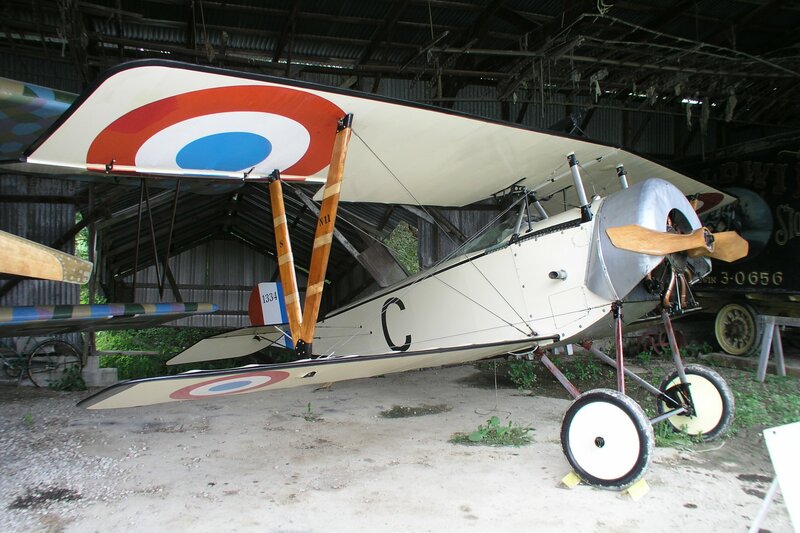 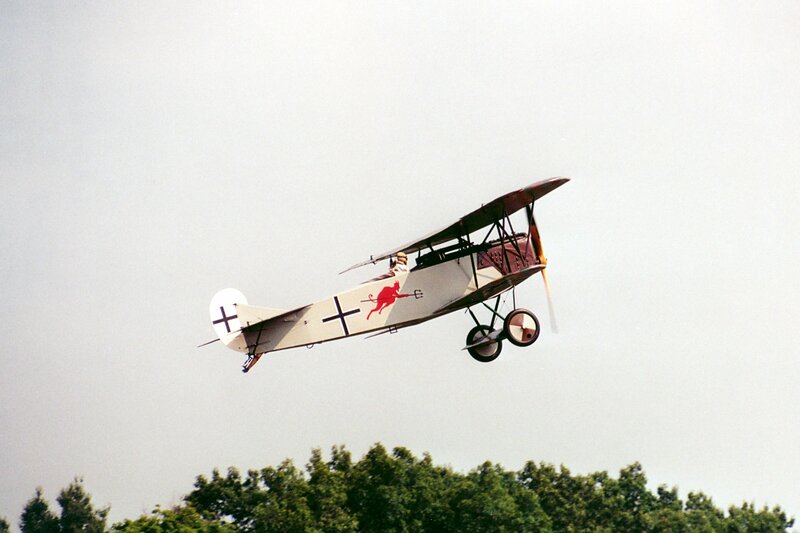 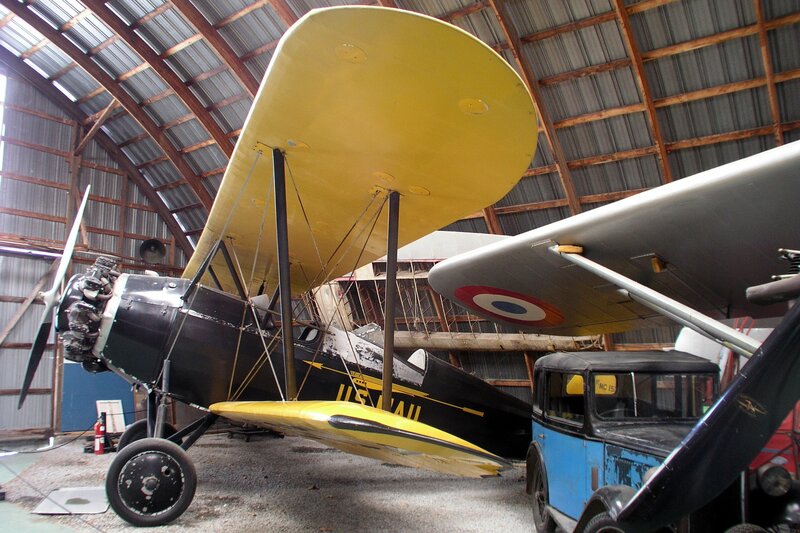 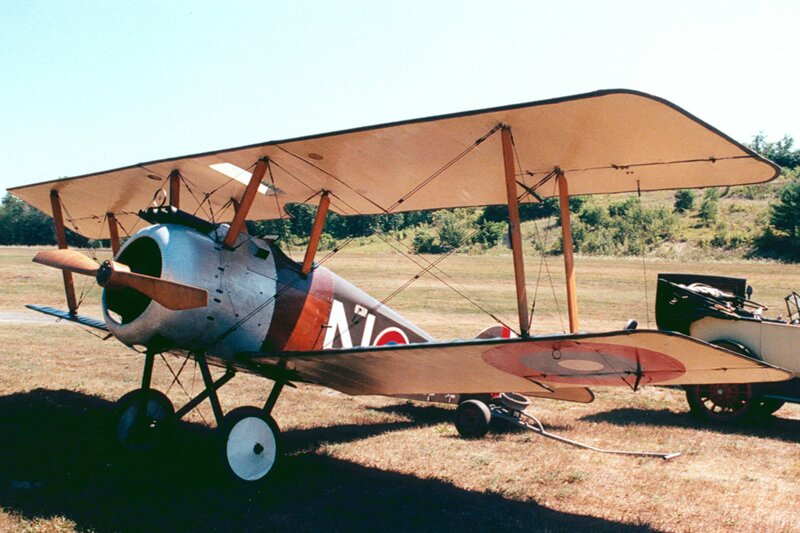 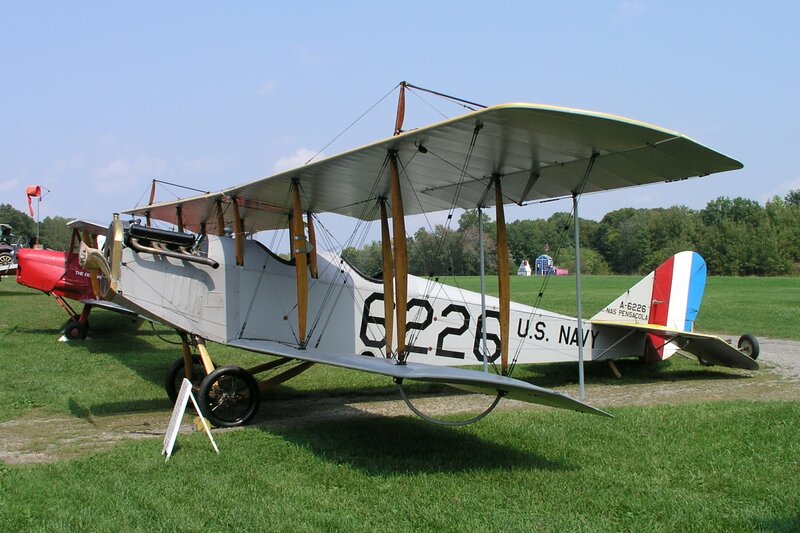 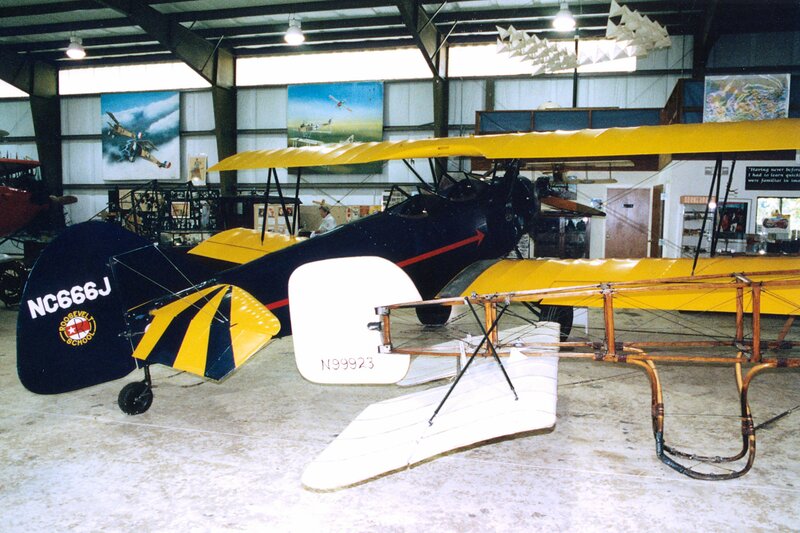 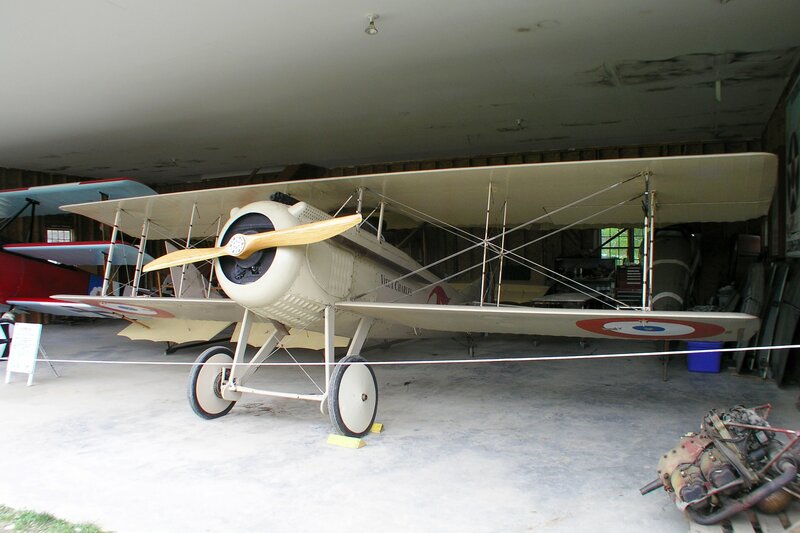 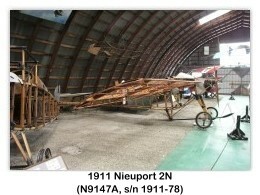 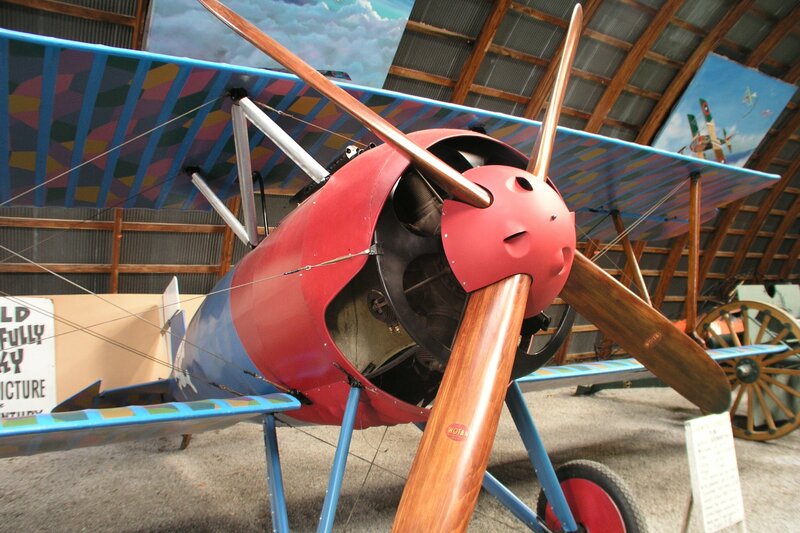 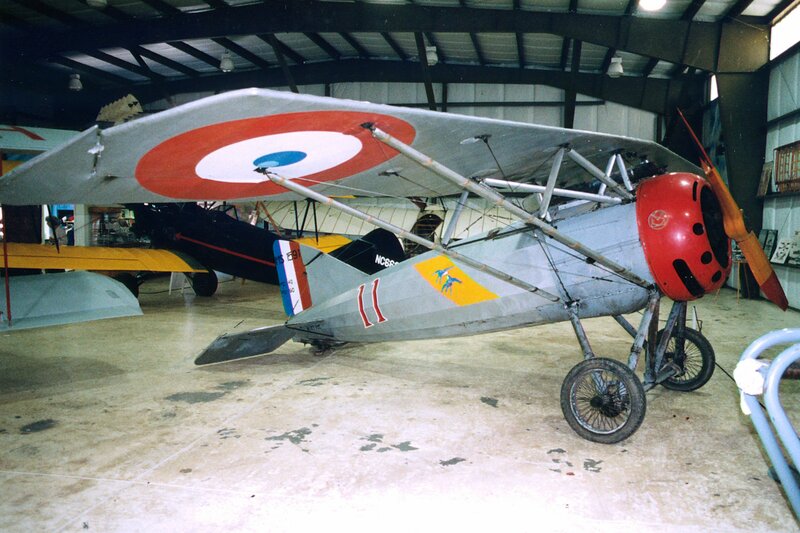 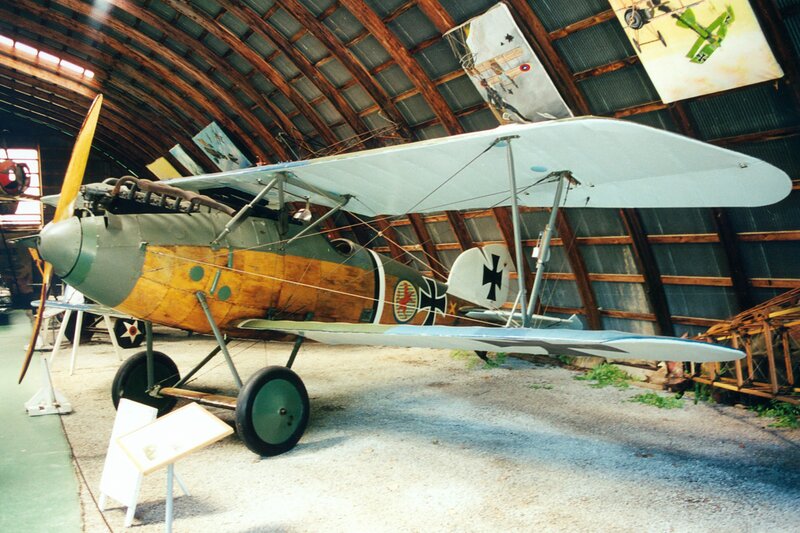 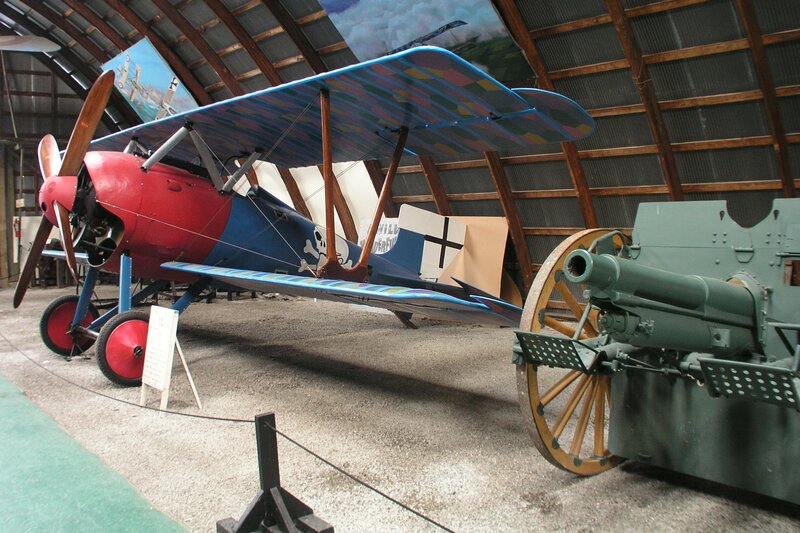 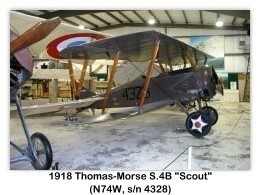 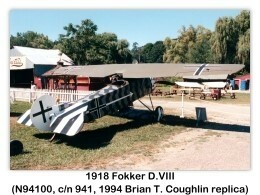 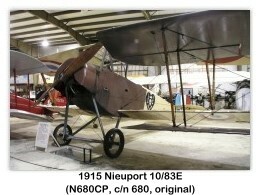 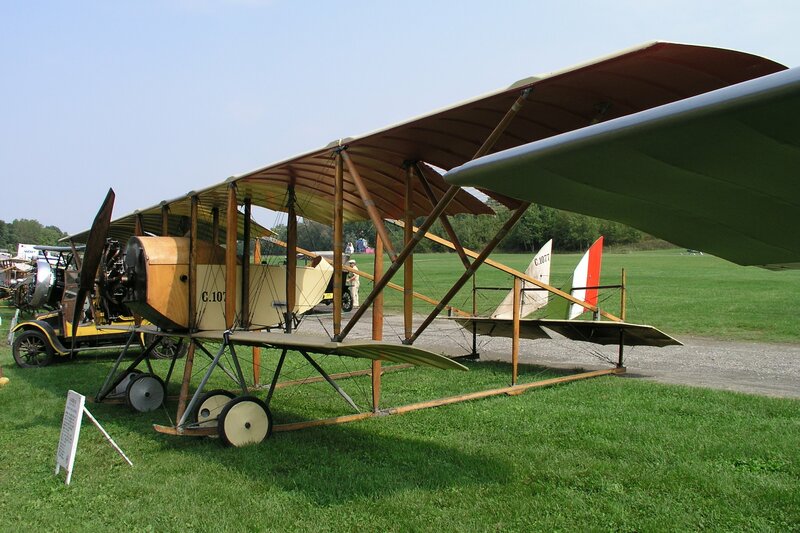 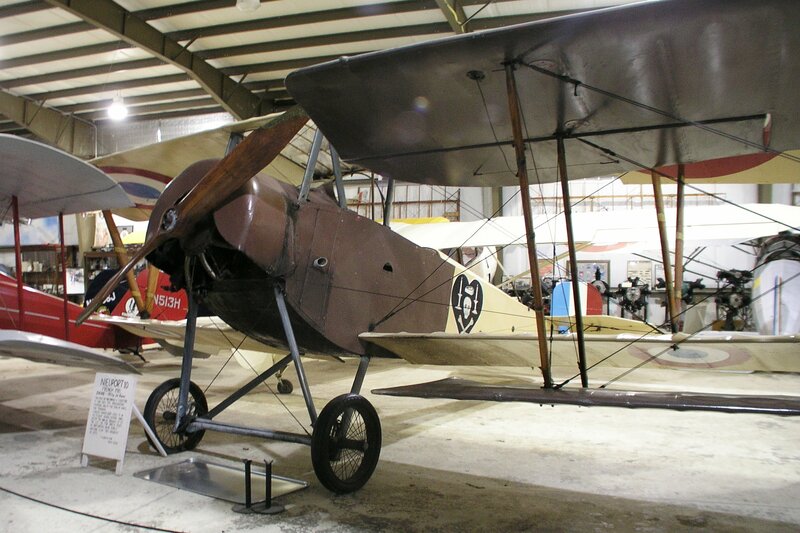 In addition to the airshows, there are four museum buildings displaying aircraft from the Pioneer Era, World War I and the Lindbergh/Barnstorming era. 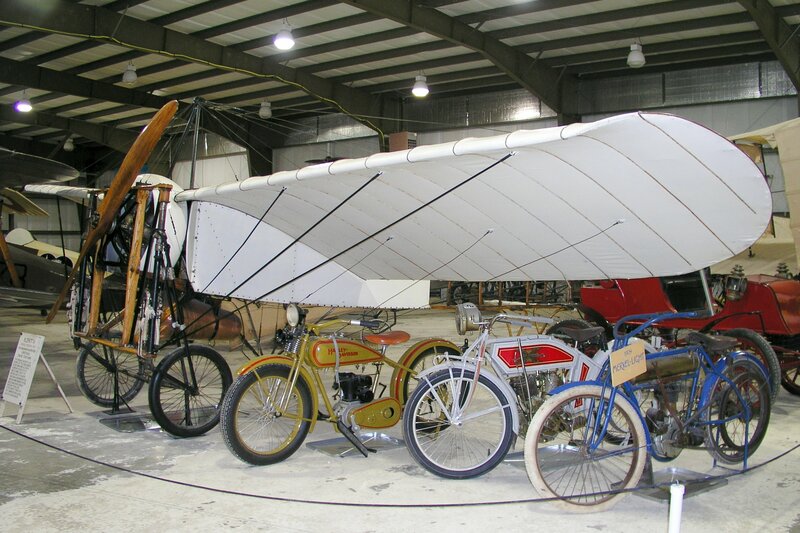 These were the golden years of aviation. 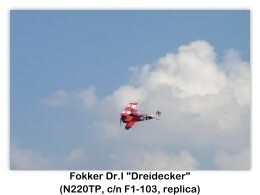 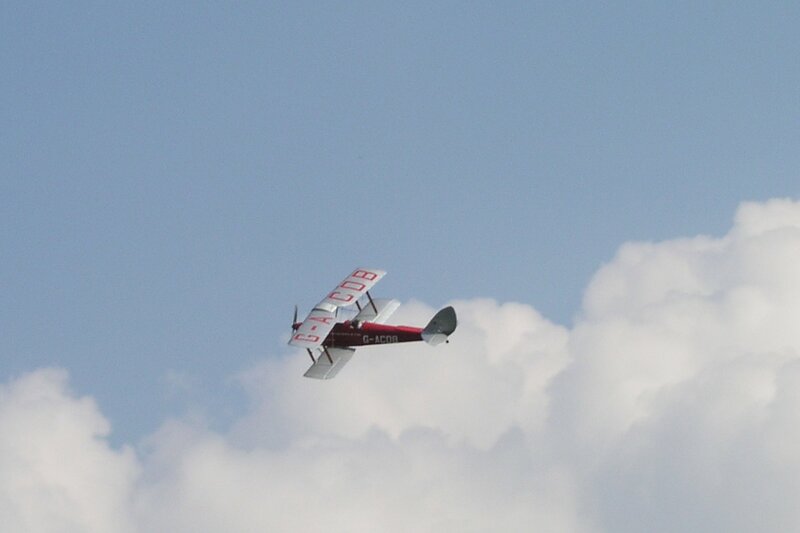 Their weekend air shows are scheduled from mid-June through mid-October. 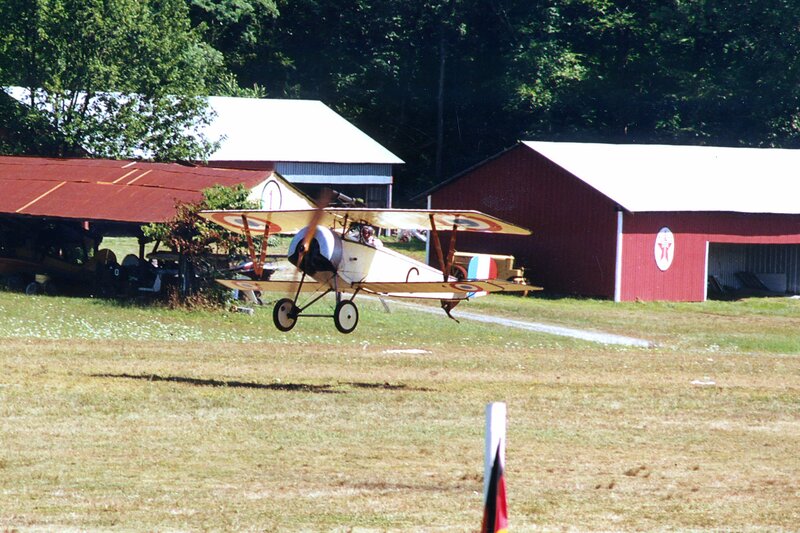 On these weekends (weather permitting), the Aerodrome turns Back the hands of time and relives the years of early aviation. 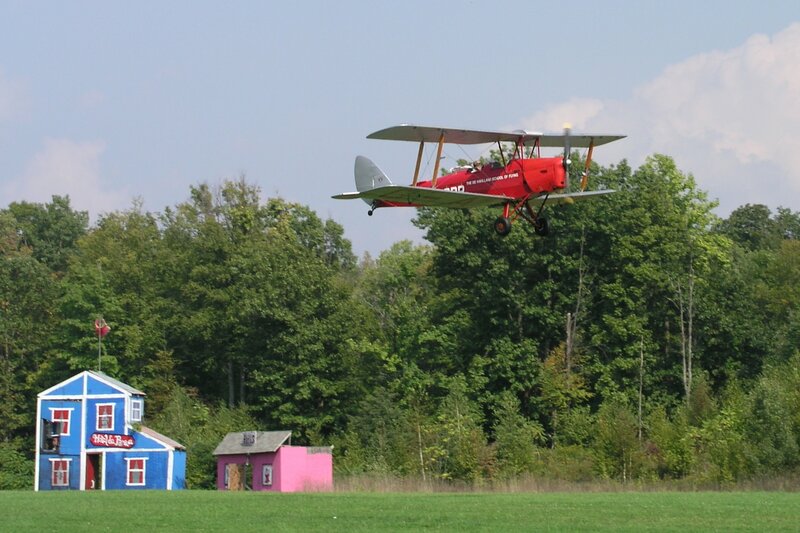 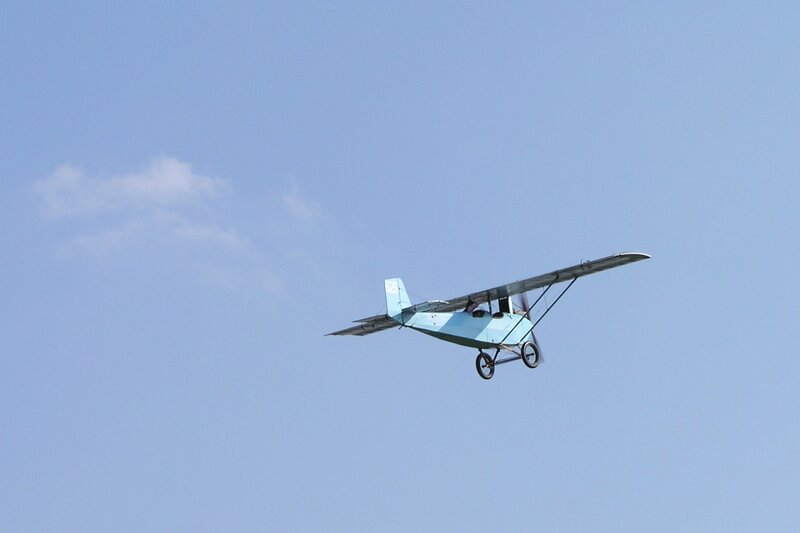 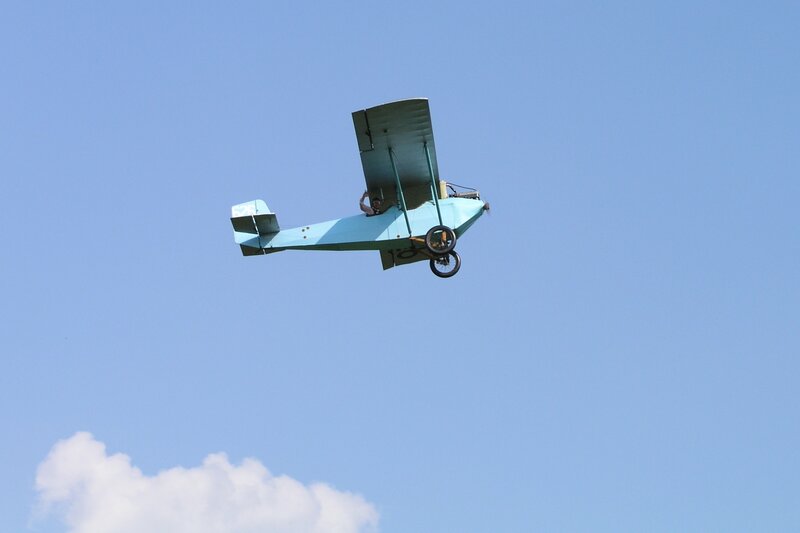 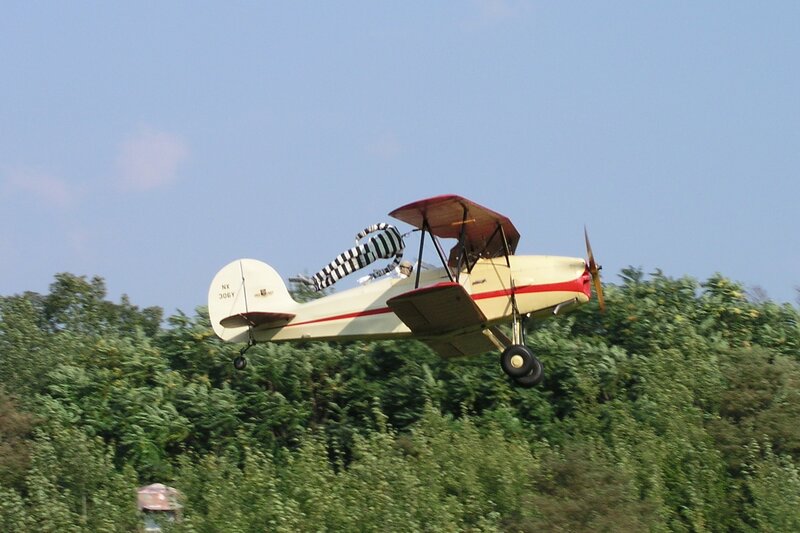 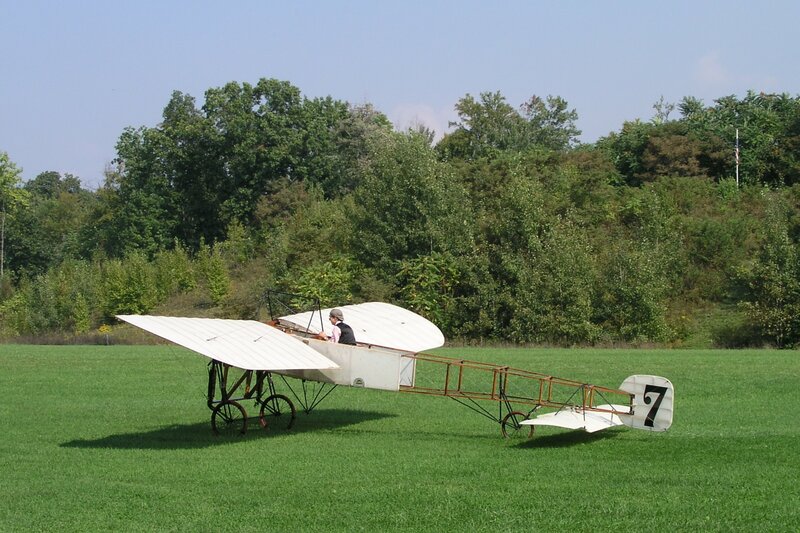 The colorful era of early aviation is brought Back to life amidst the roar of rotary engines and is great entertainment for all ages. 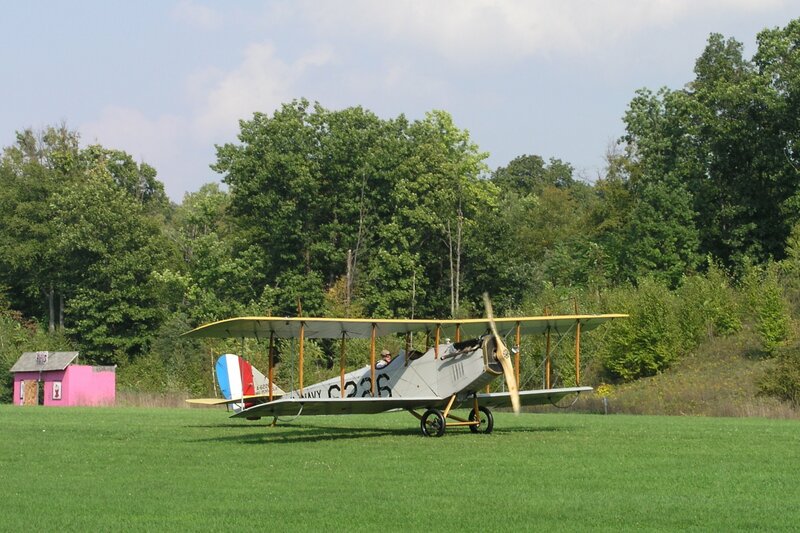 The Saturday Airshows chronicle the History of Flight with Pioneer, World War I and Lindbergh era aircraft taking to the skies. 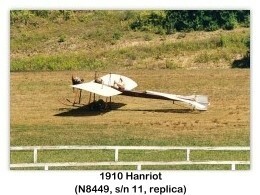 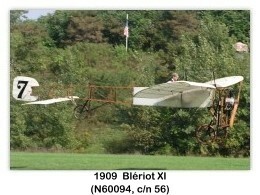 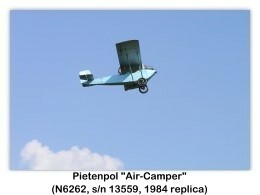 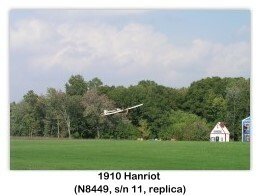 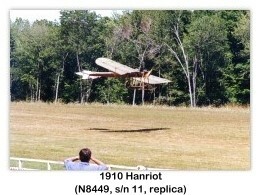 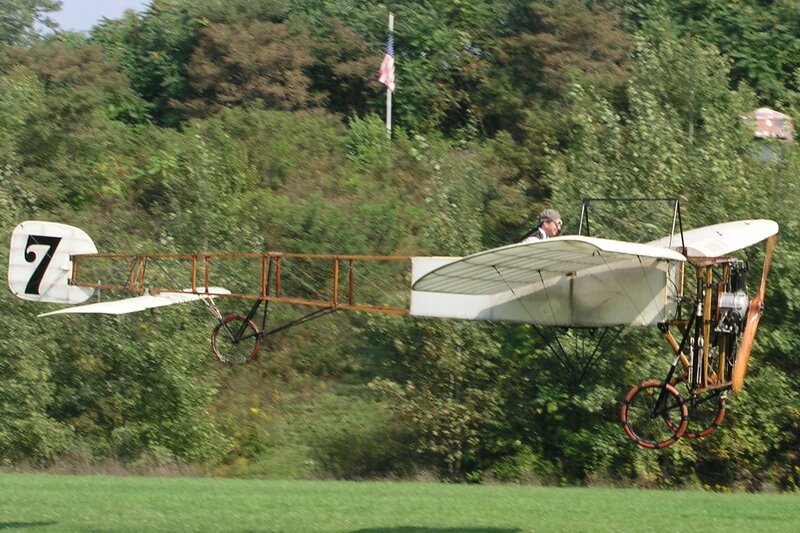 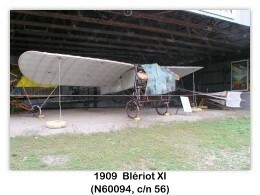 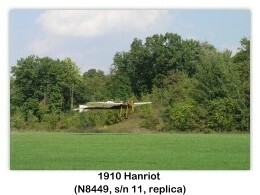 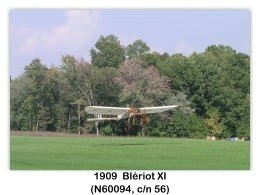 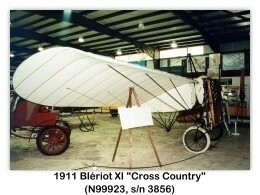 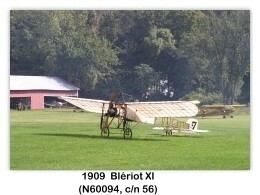 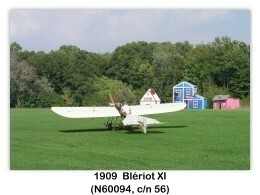 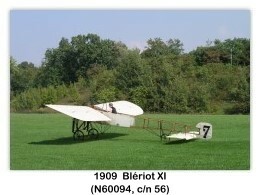 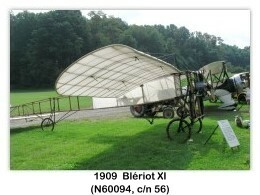 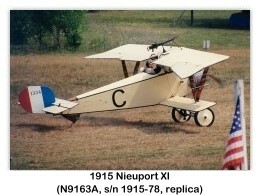 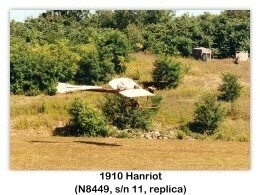 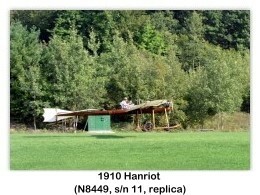 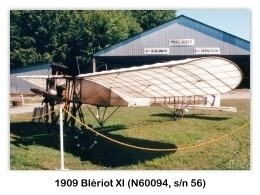 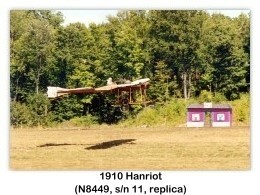 If the winds are calm you'll even see their 1909 Blériot (the oldest flying aircraft in the United States) take to the air. 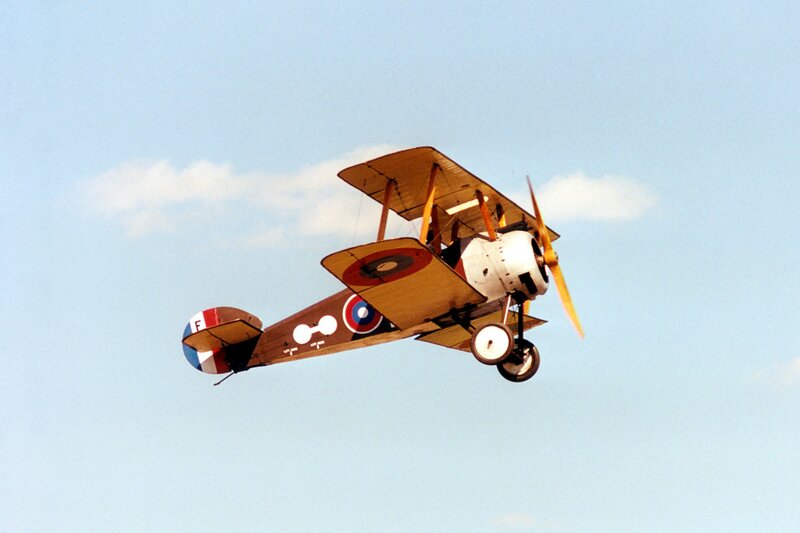 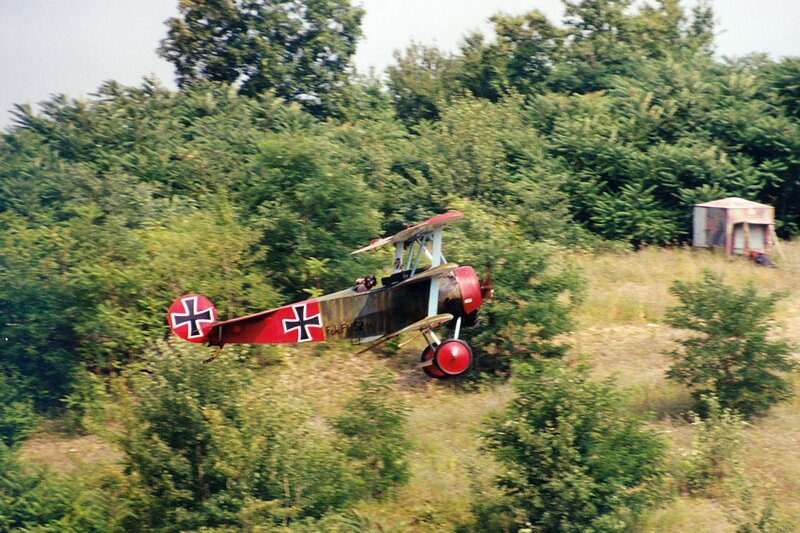 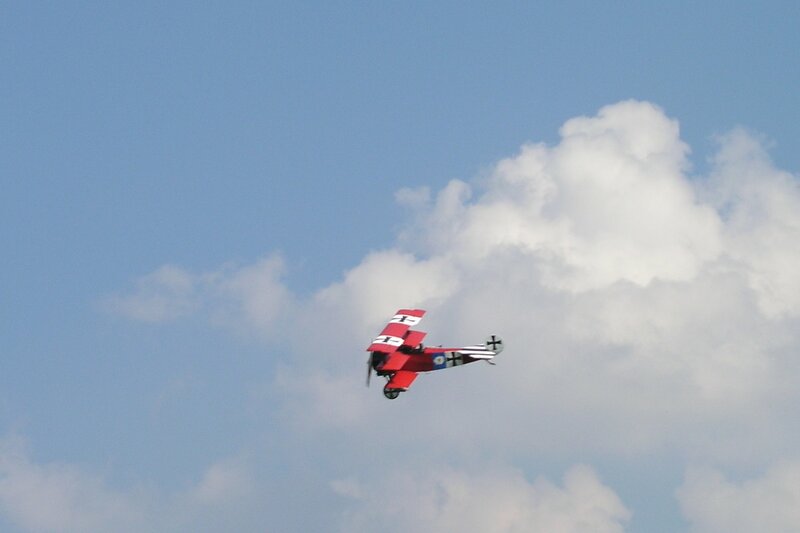 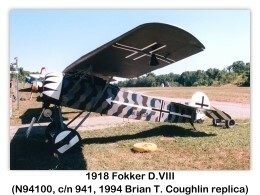 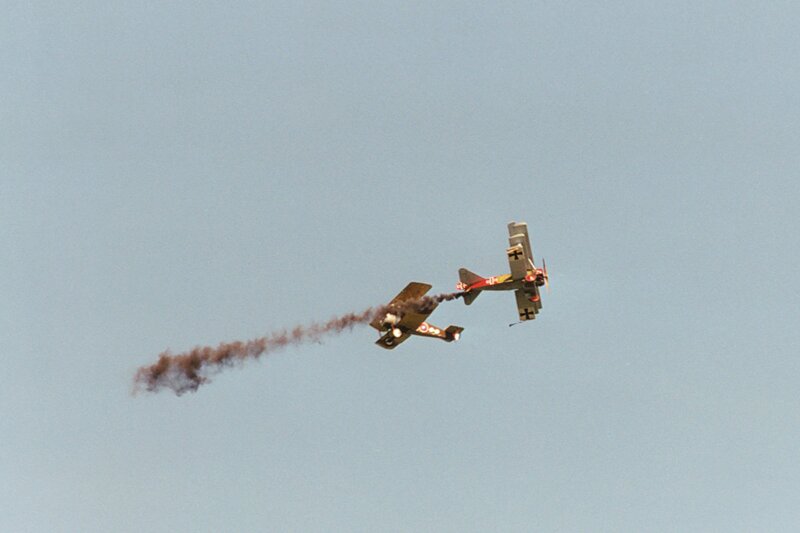 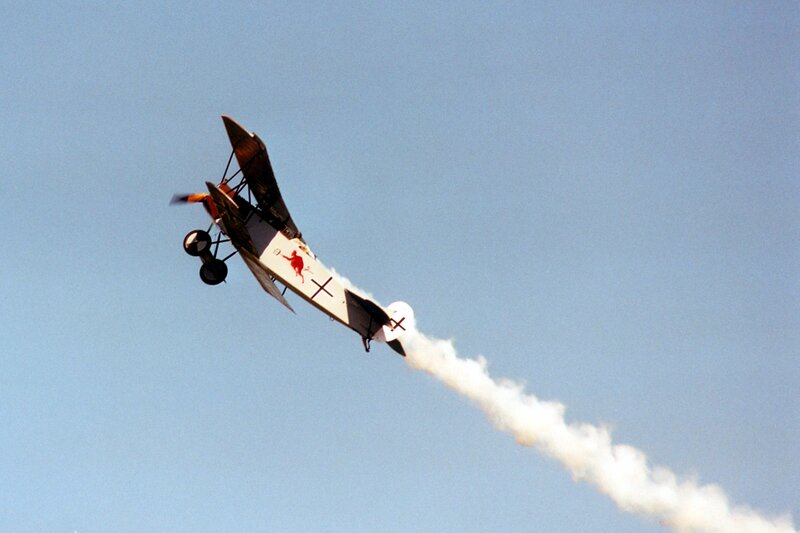 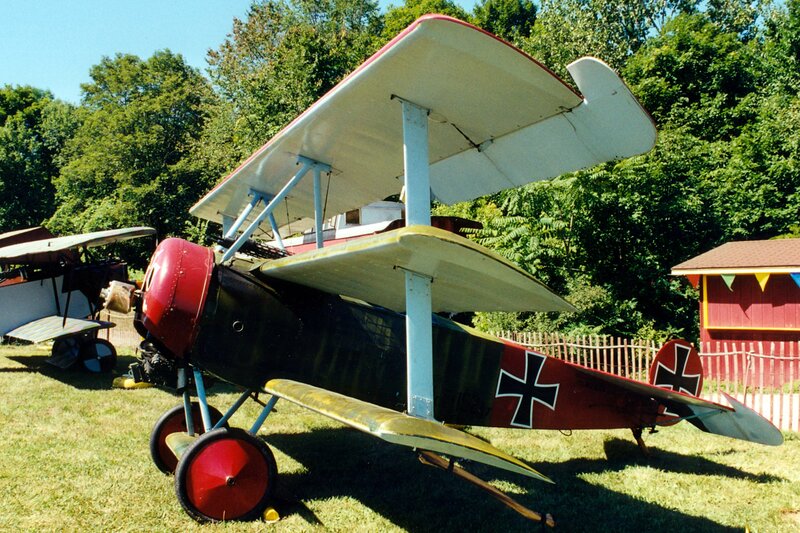 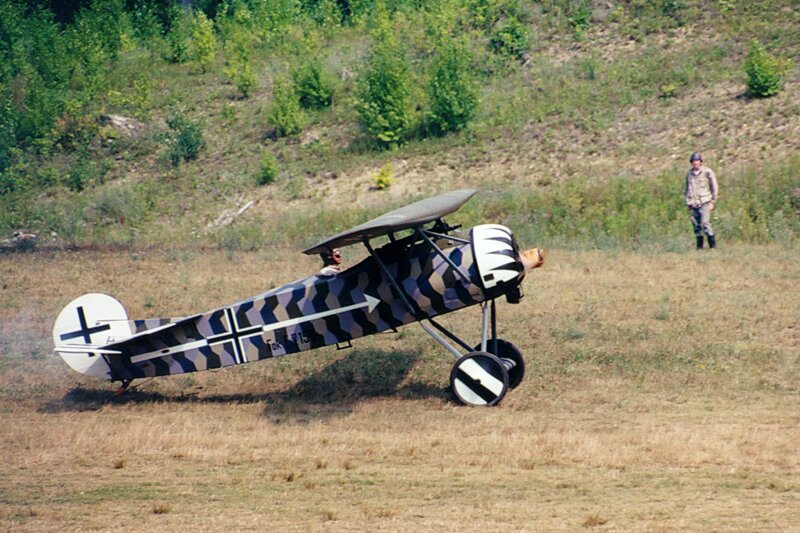 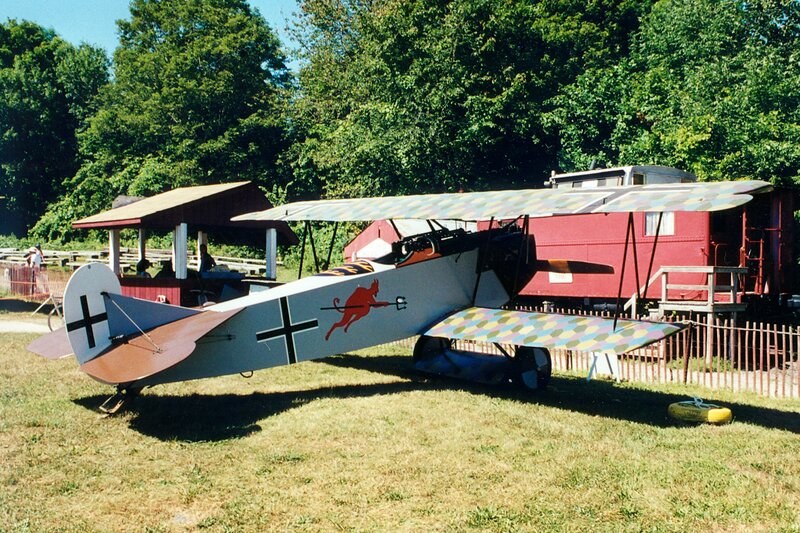 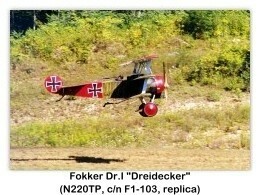 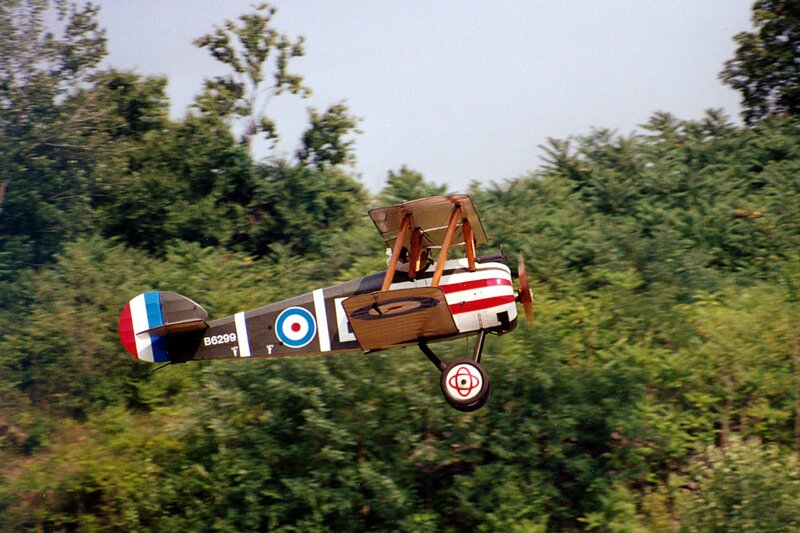 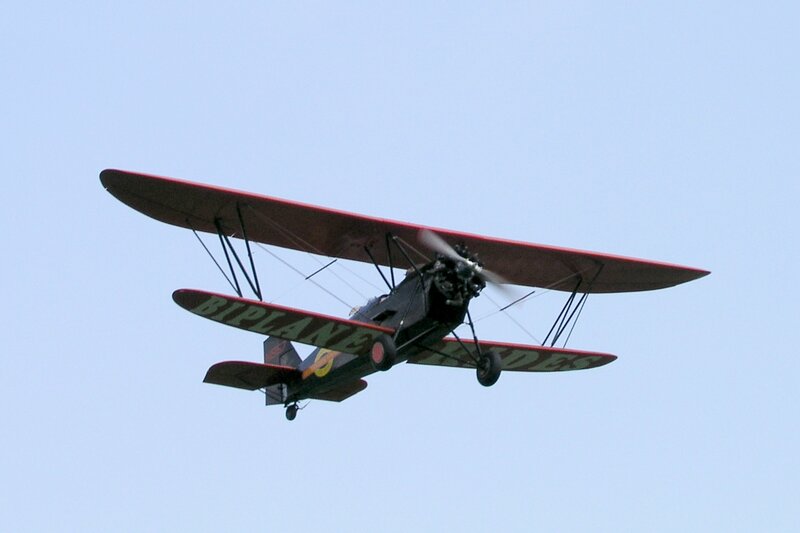 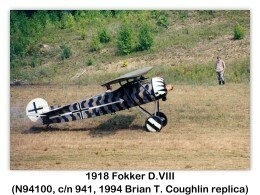 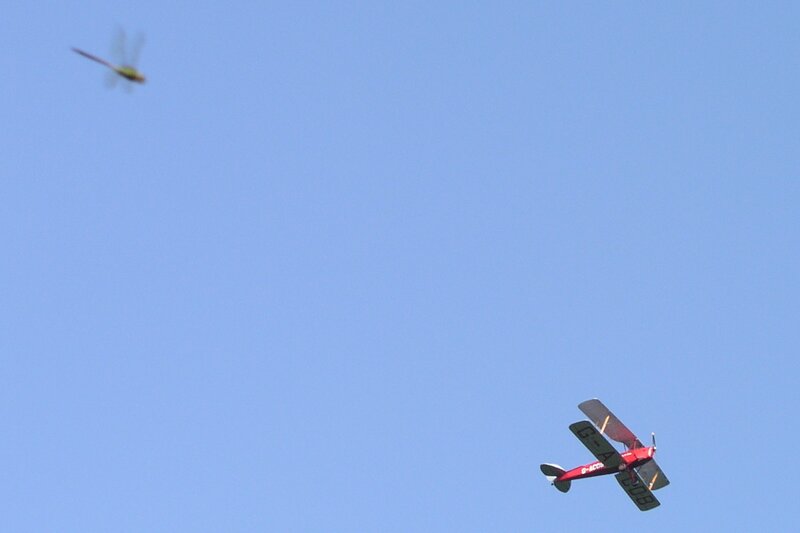 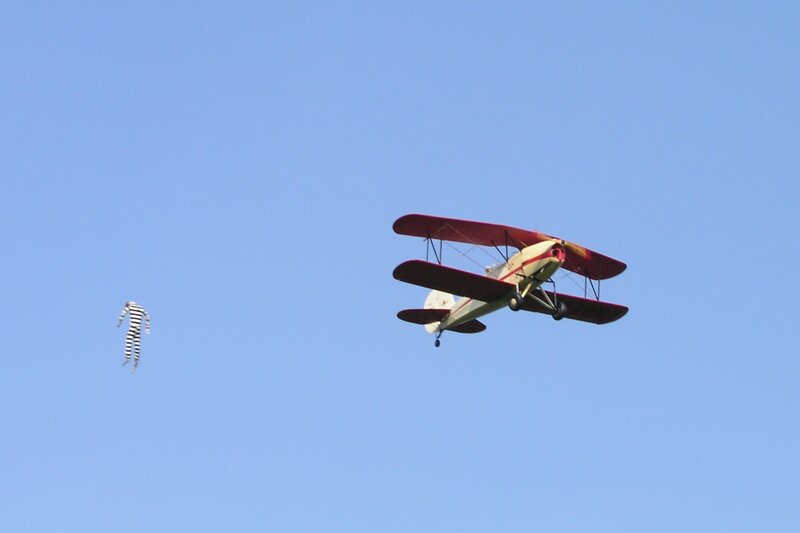 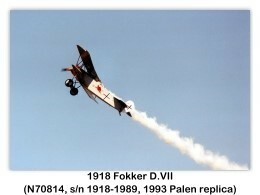 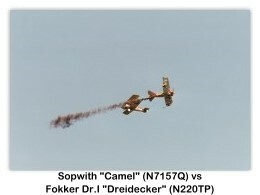 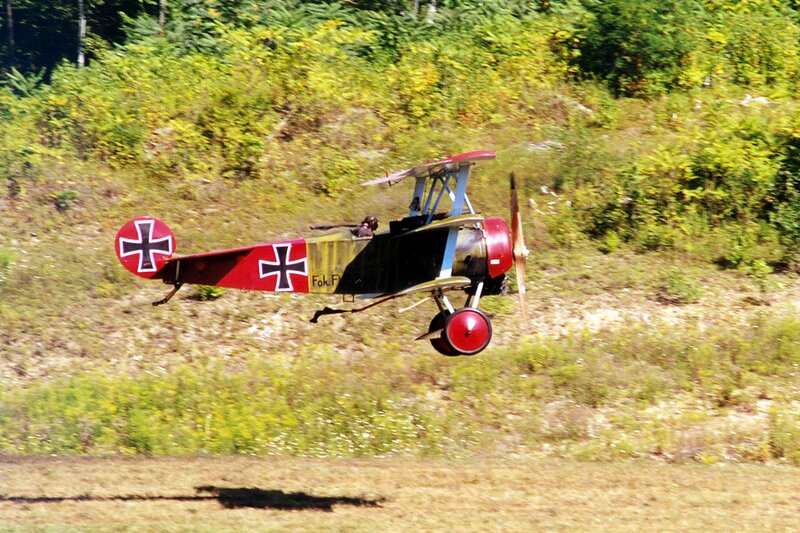 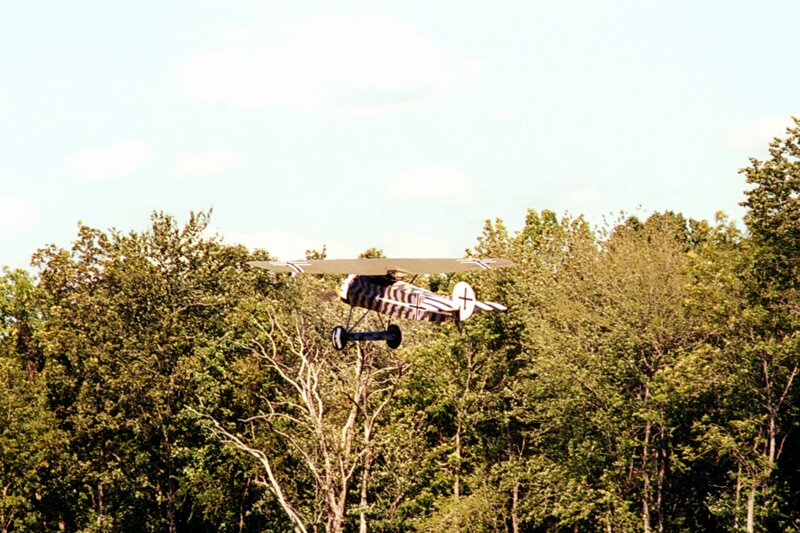 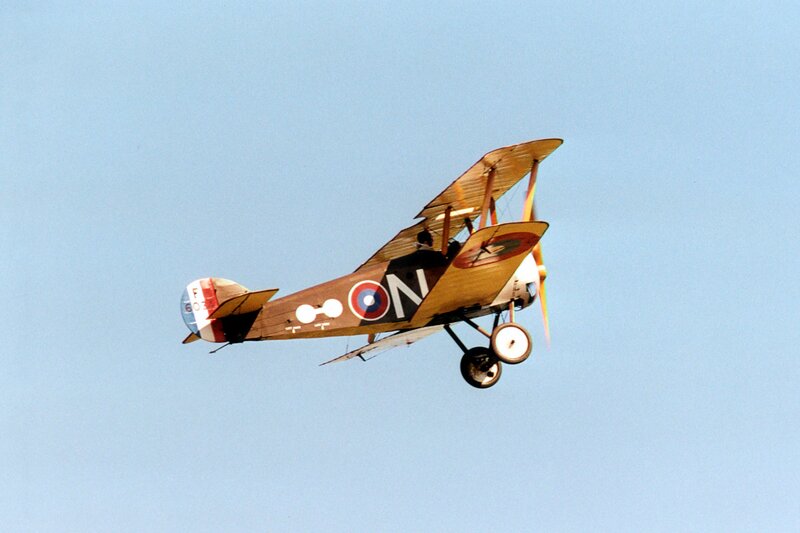 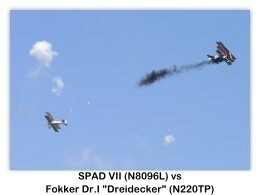 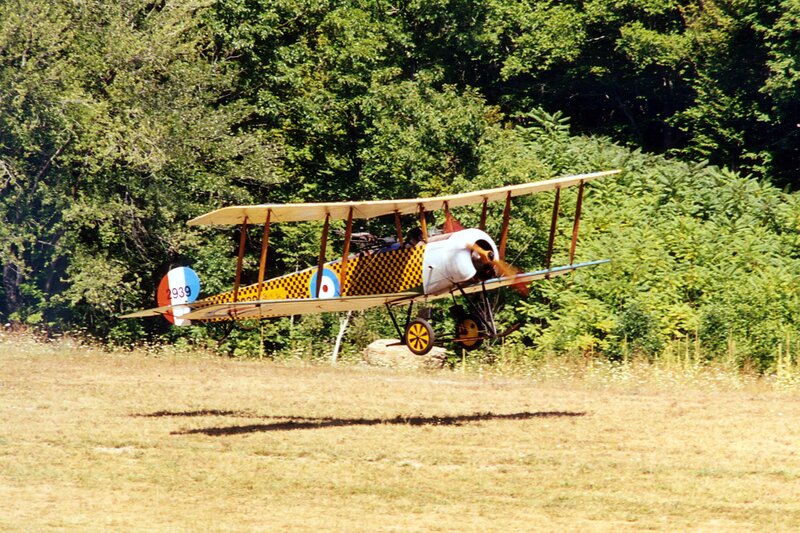 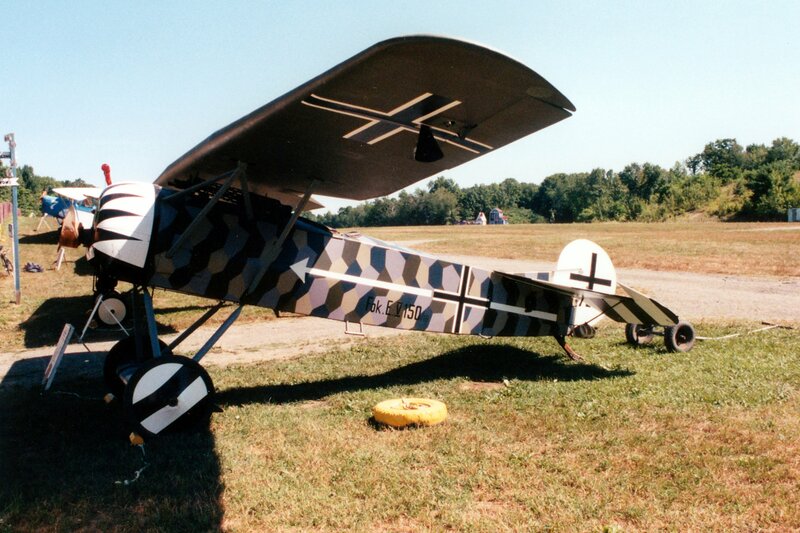 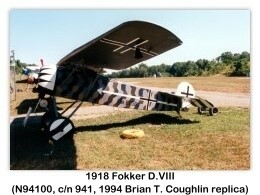 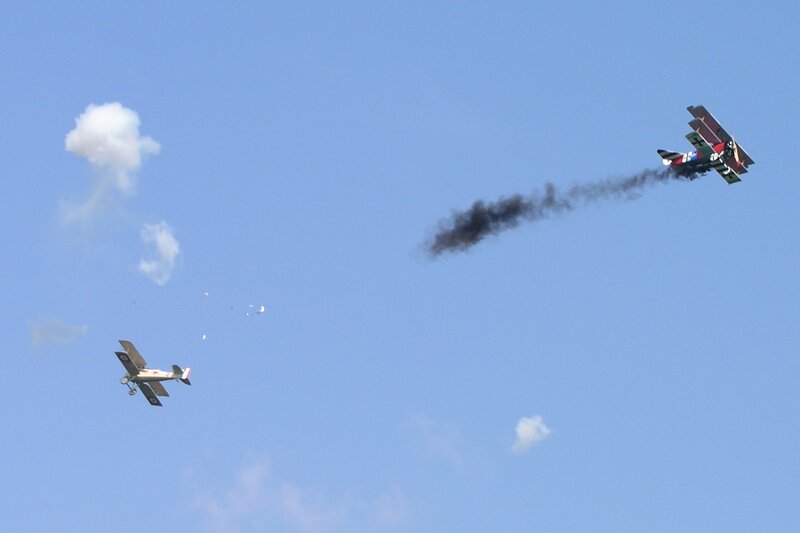 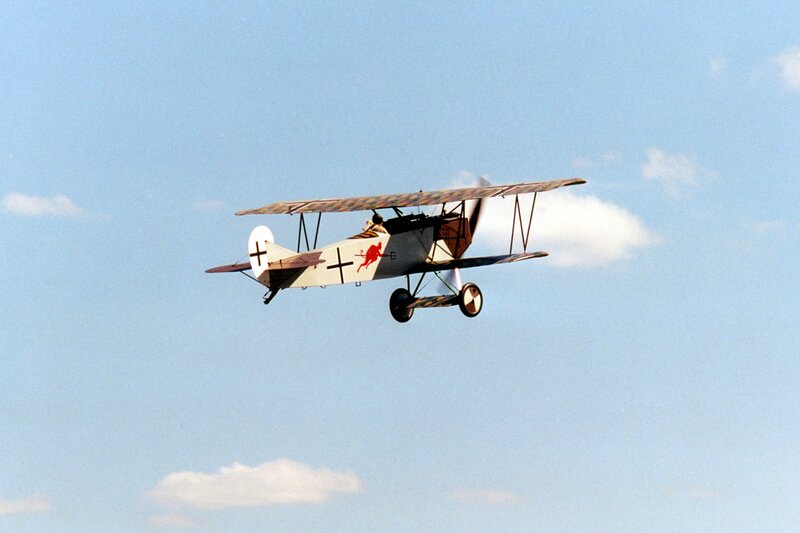 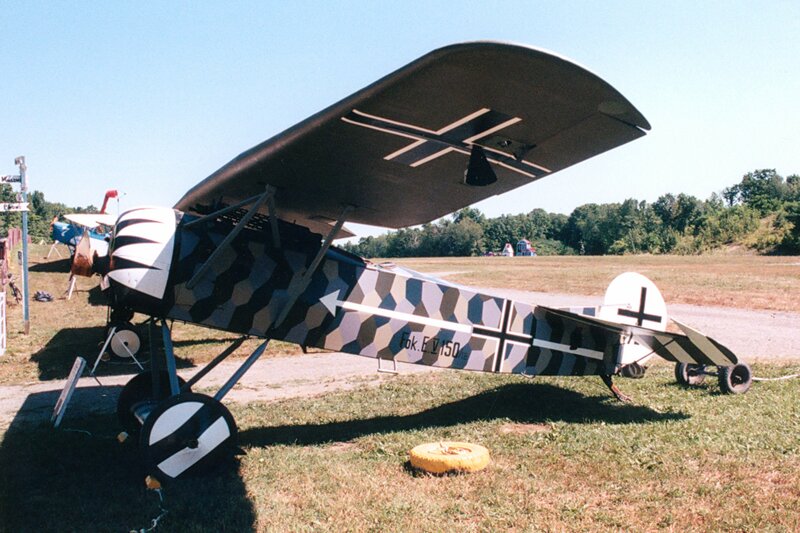 The Sunday Airshows feature a World War I dogfight plus Barnstorming Aircraft. 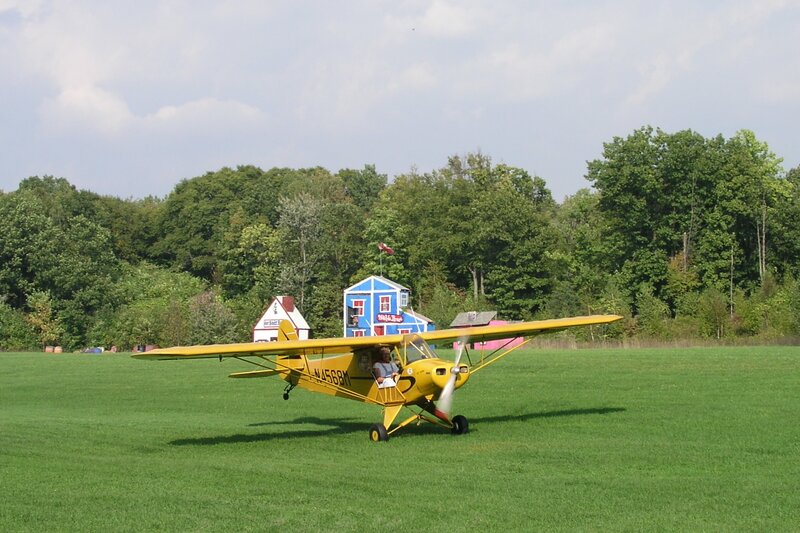 Marvel at world-renowned pilot, Stan Segalla, The Flying Farmer, one of the greatest acts on the air show circuit! 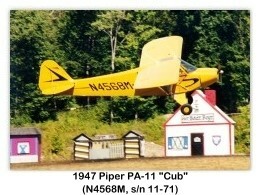 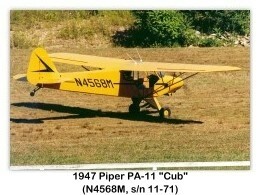 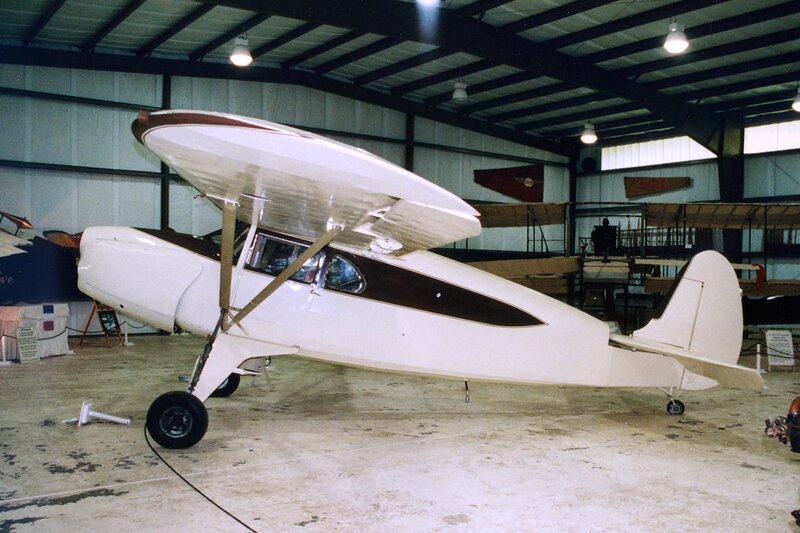 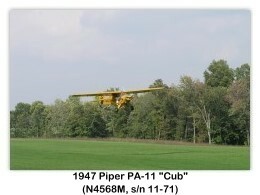 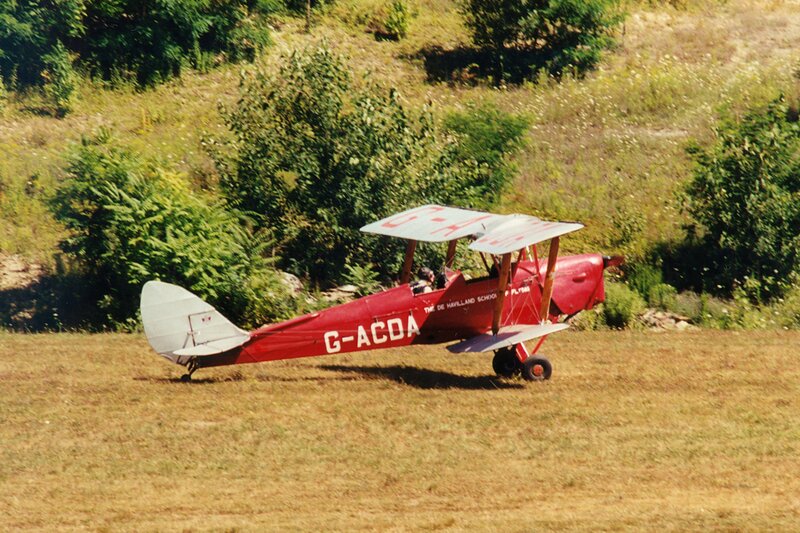 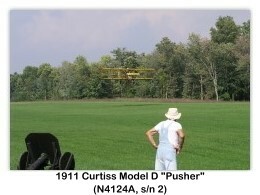 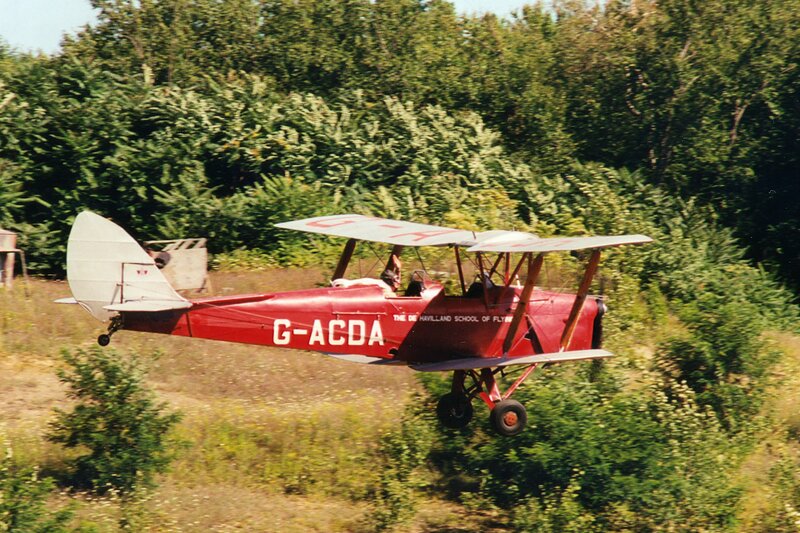 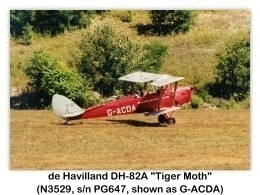 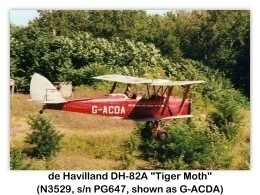 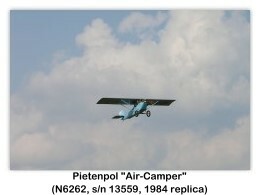 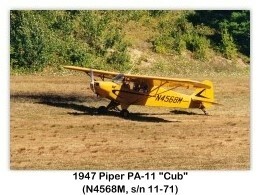 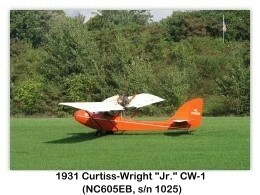 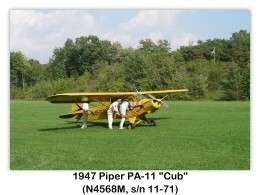 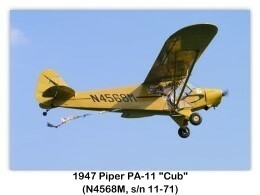 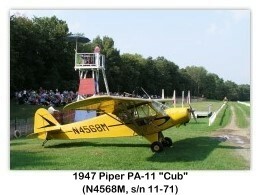 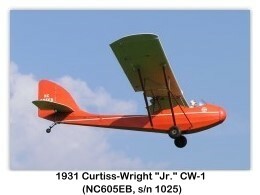 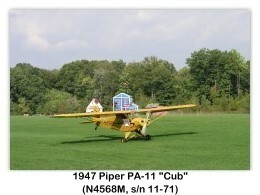 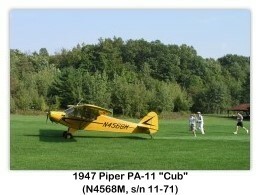 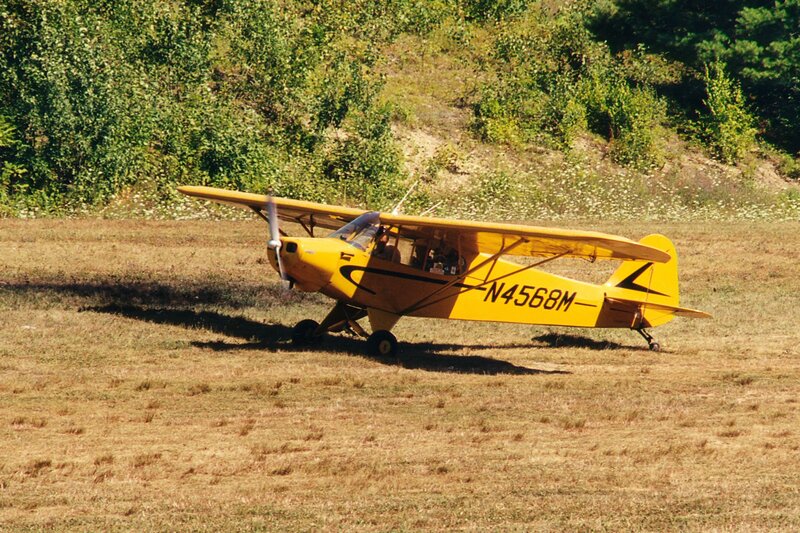 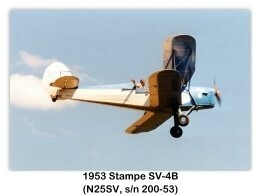 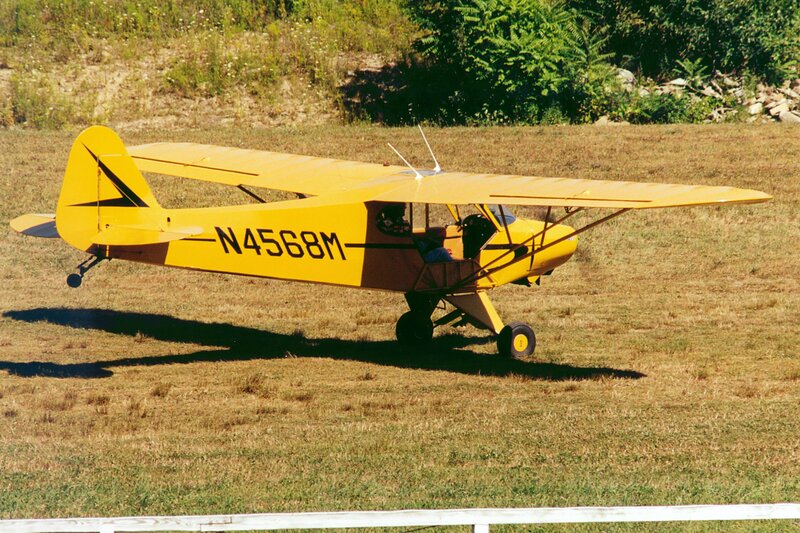 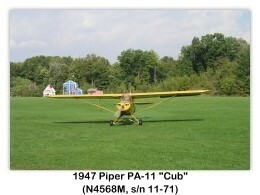 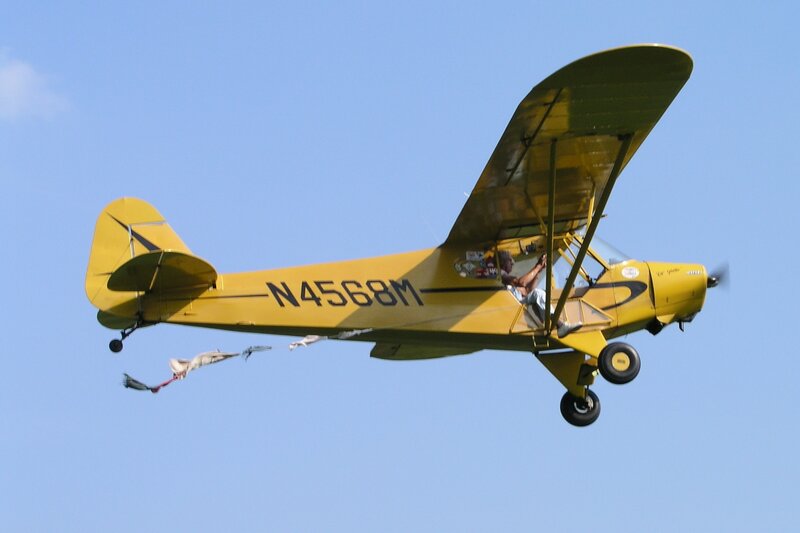 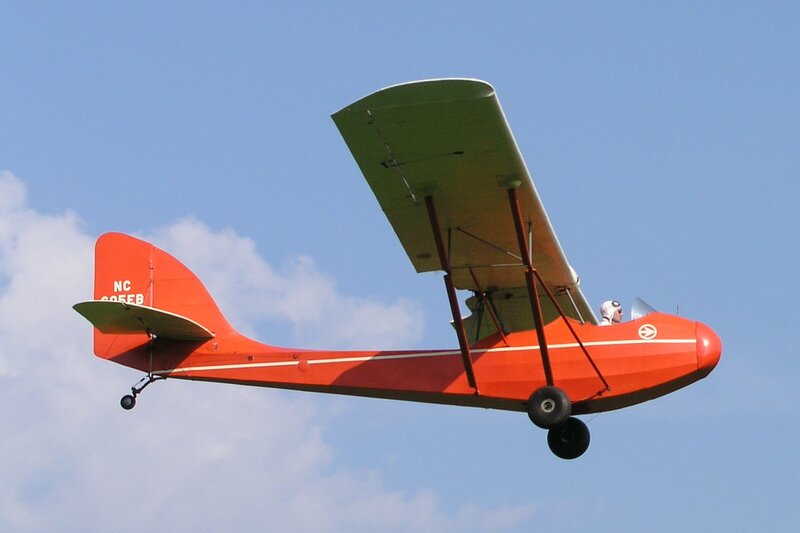 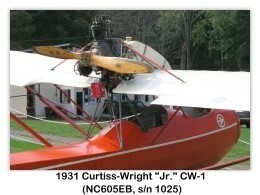 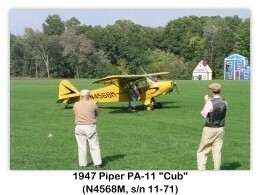 You won't believe what Stan can make his J3 Cub do! 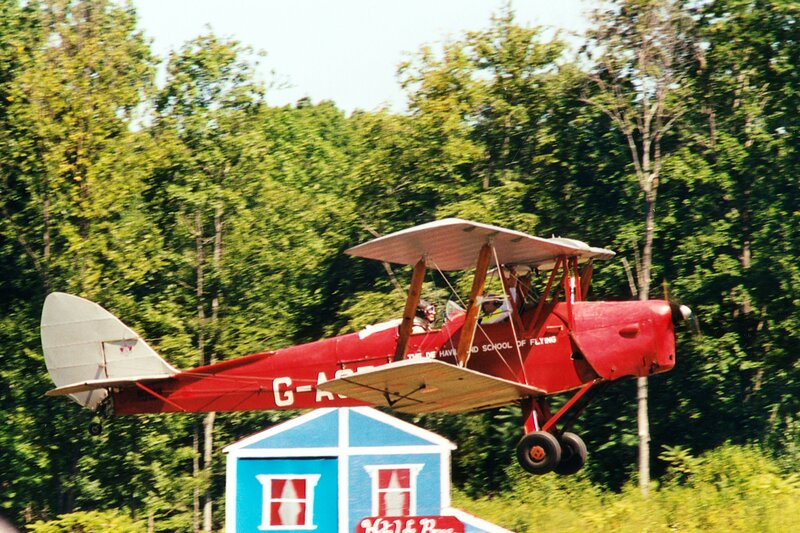 Stan's act is one you will never forget! 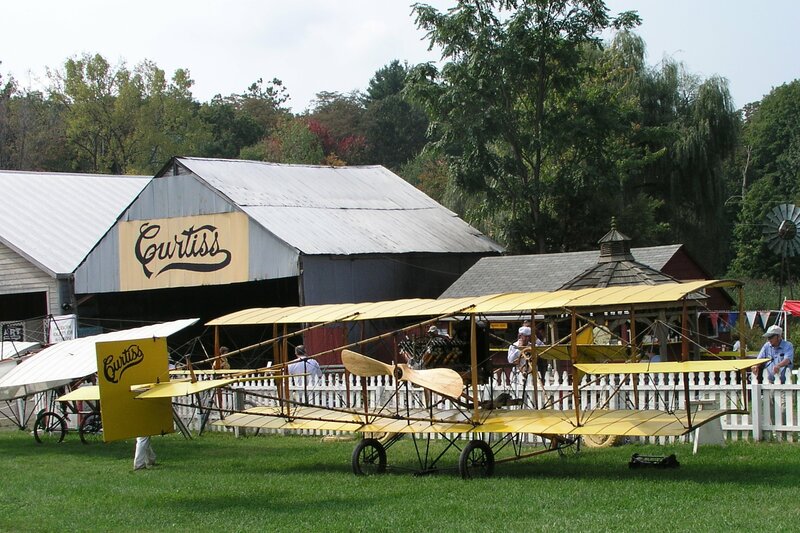 Pre-show activity includes a vintage fashion show with audience participation, an old-time automobile parade and early aviation engine run-ups. 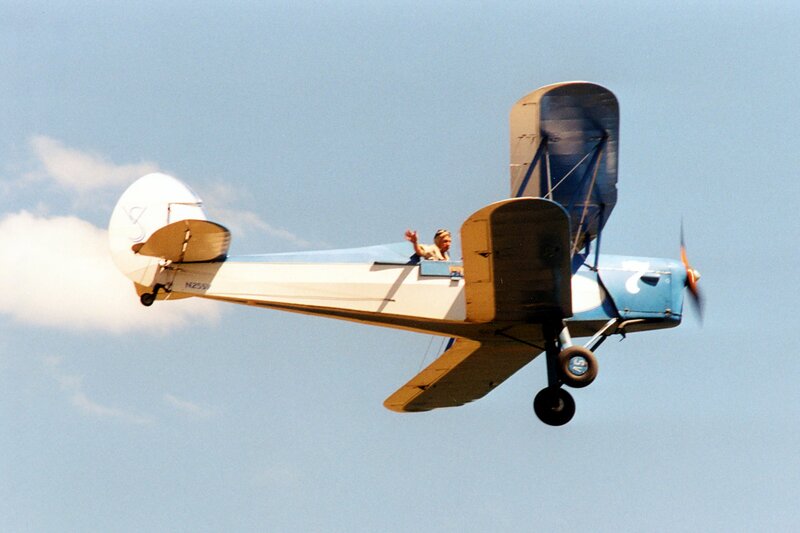 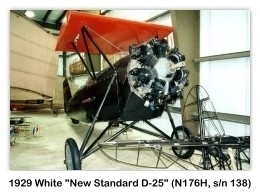 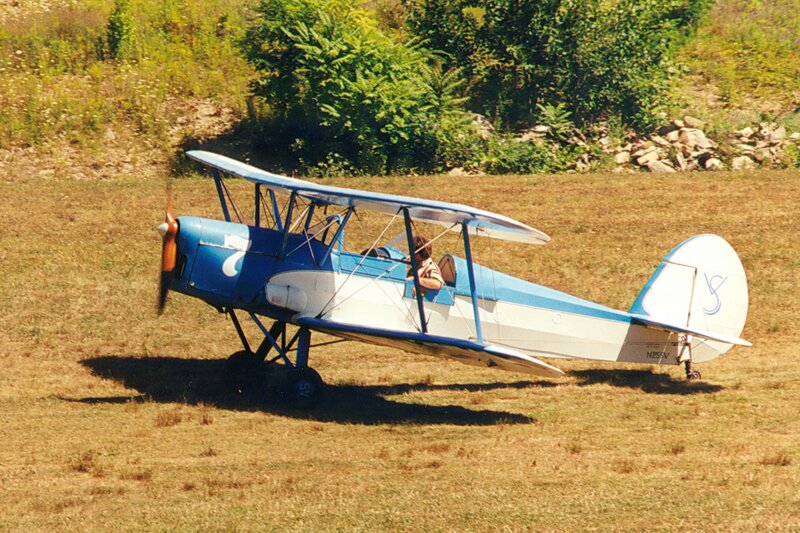 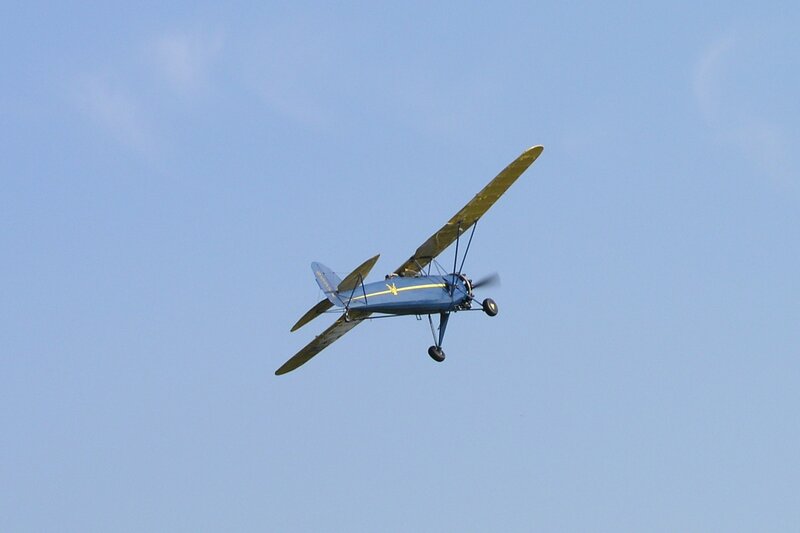 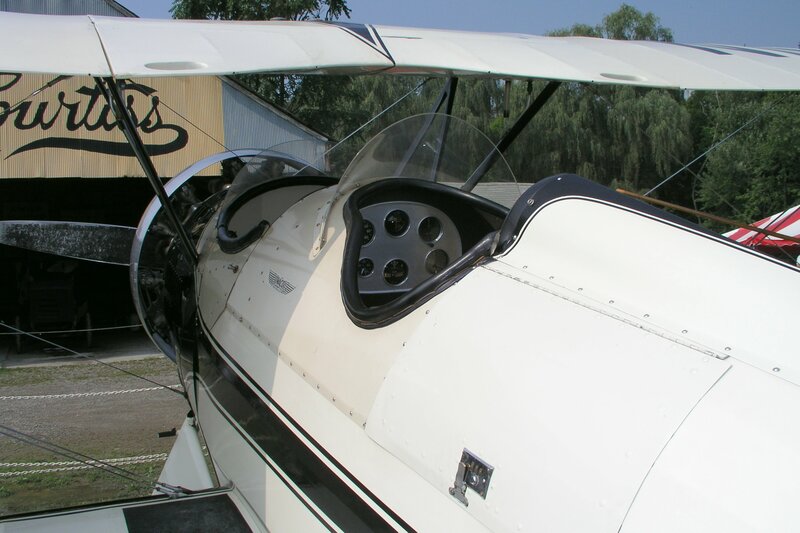 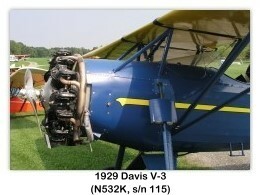 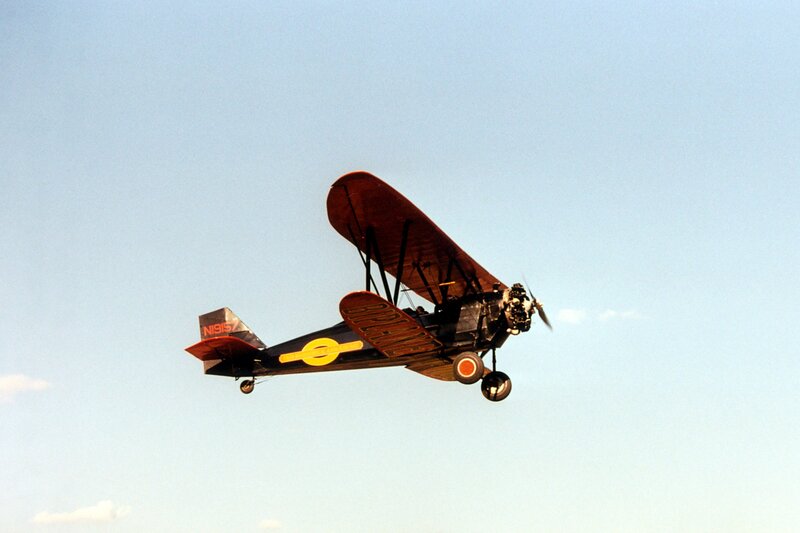 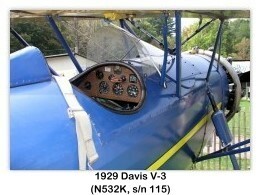 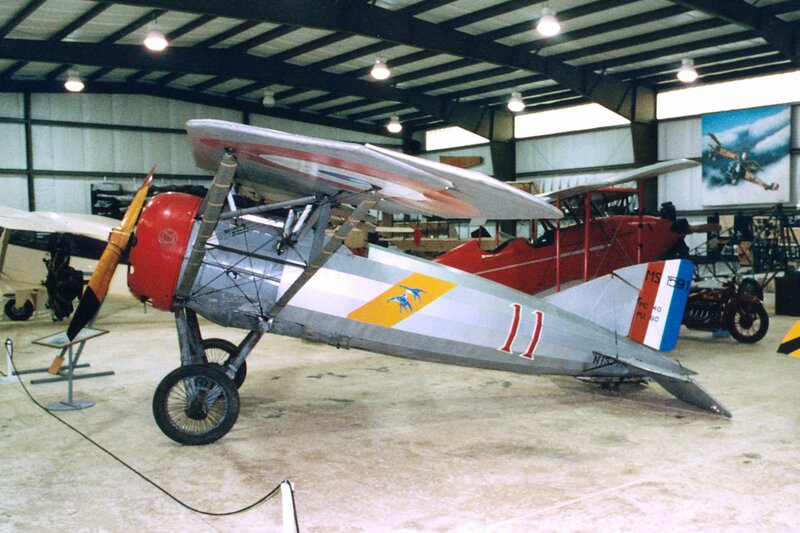 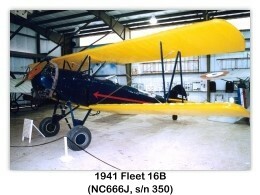 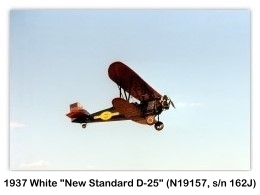 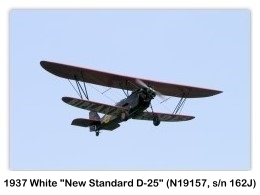 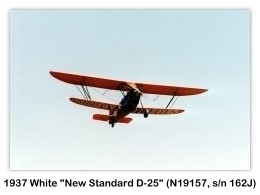 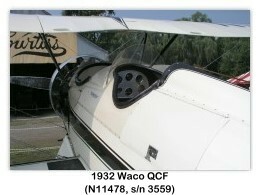 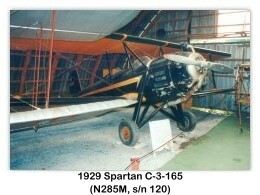 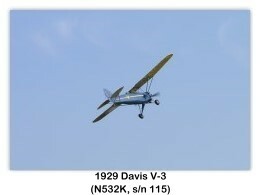 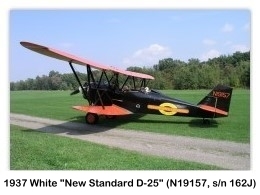 You can experience the thrill of early aviation yourself with an open-cockpit biplane ride in their 1929 New Standard D-25 biplane. 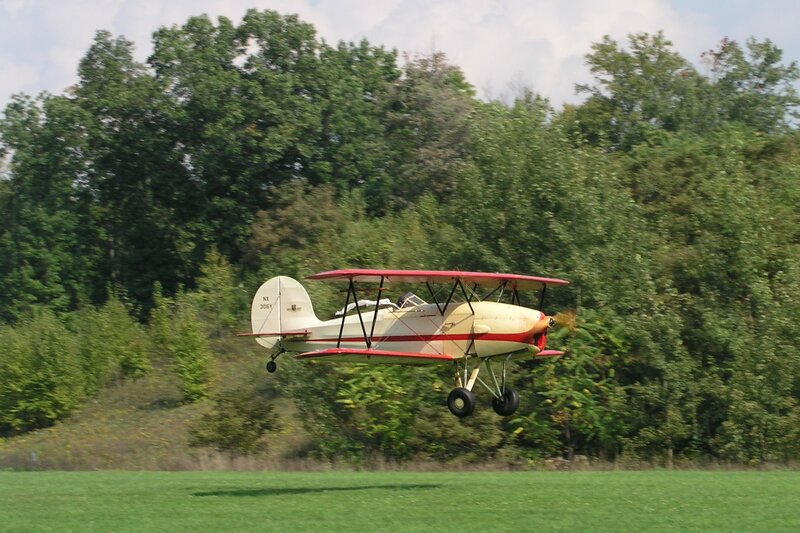 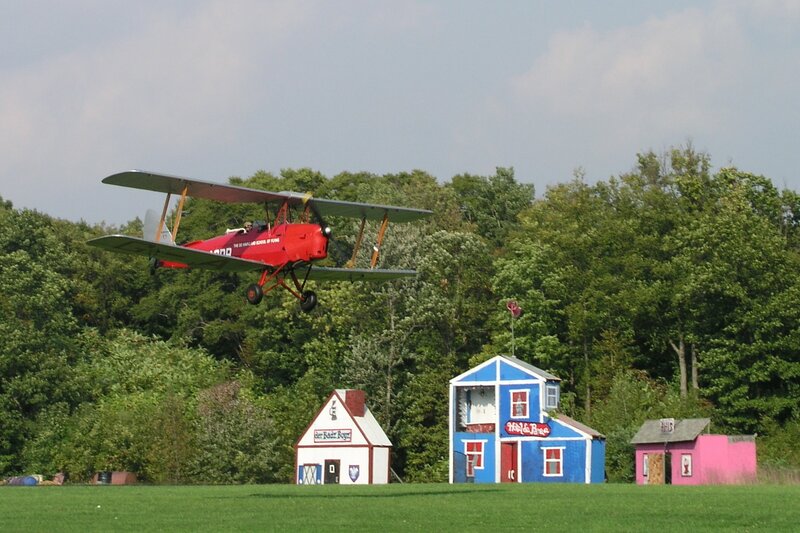 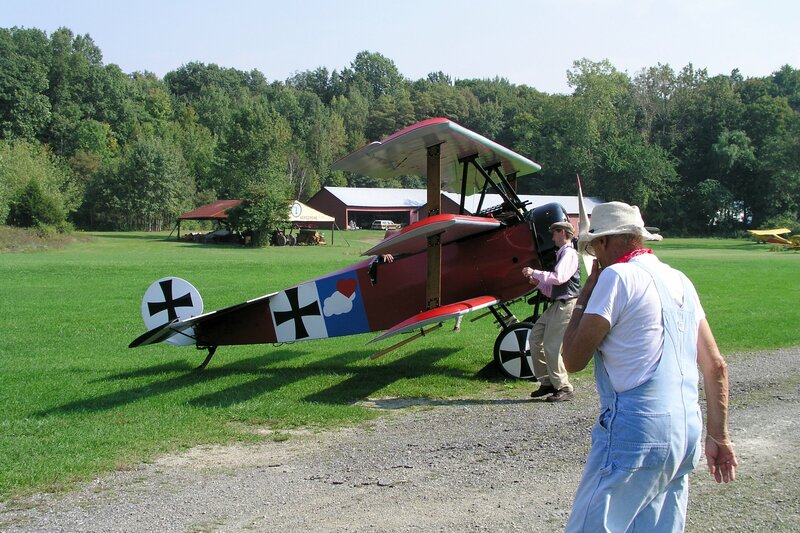 Barnstorming flights over the scenic Hudson Valley are available before and after the shows. 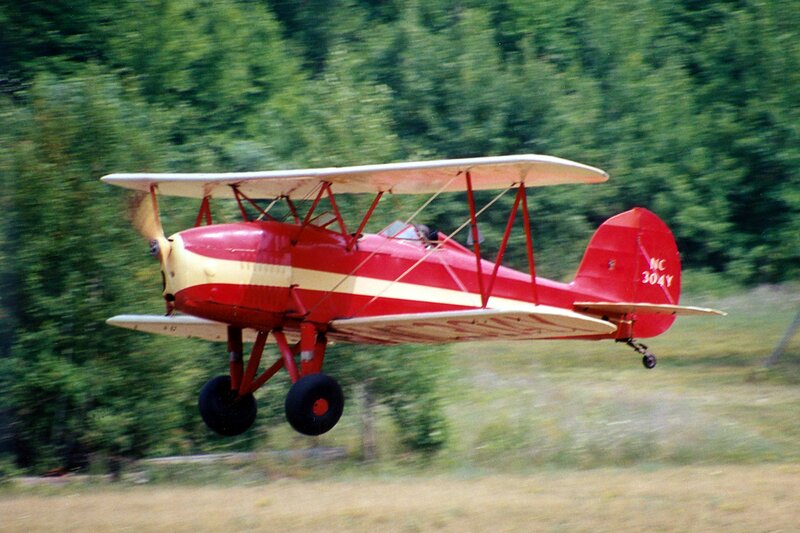 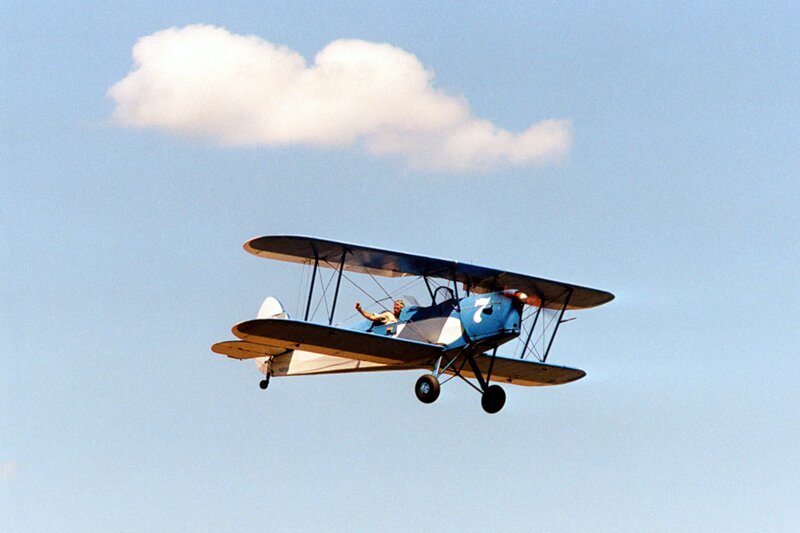 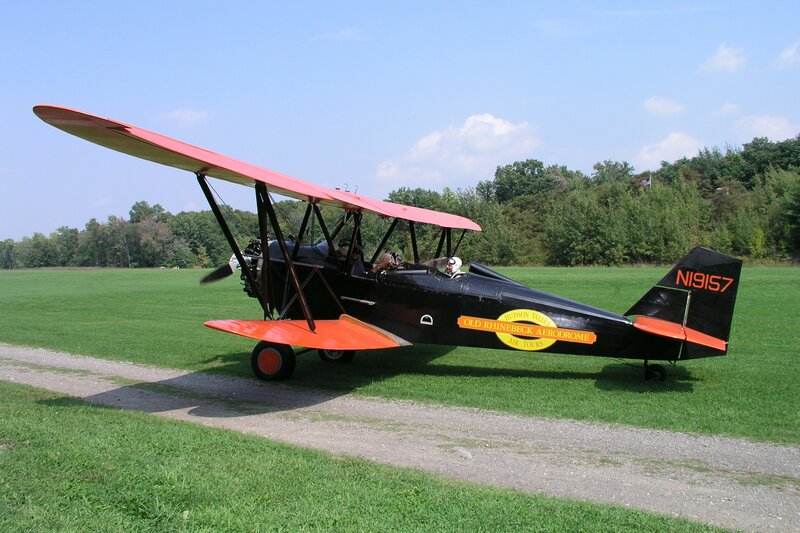 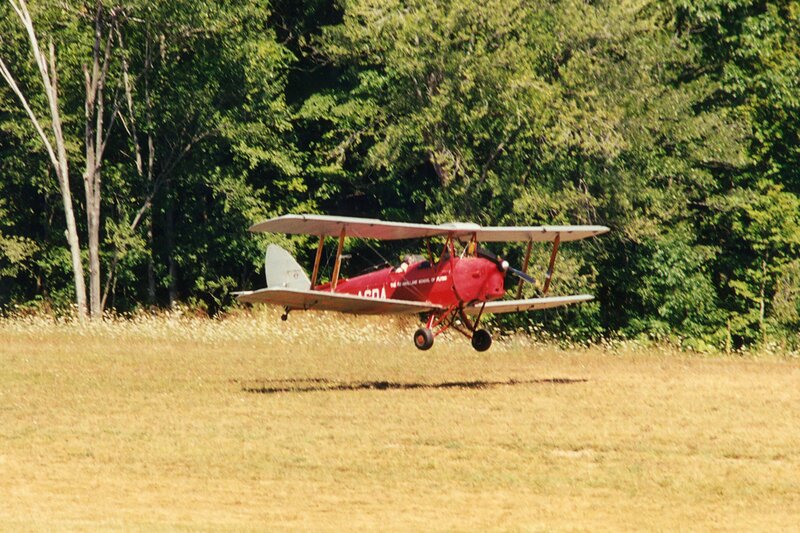 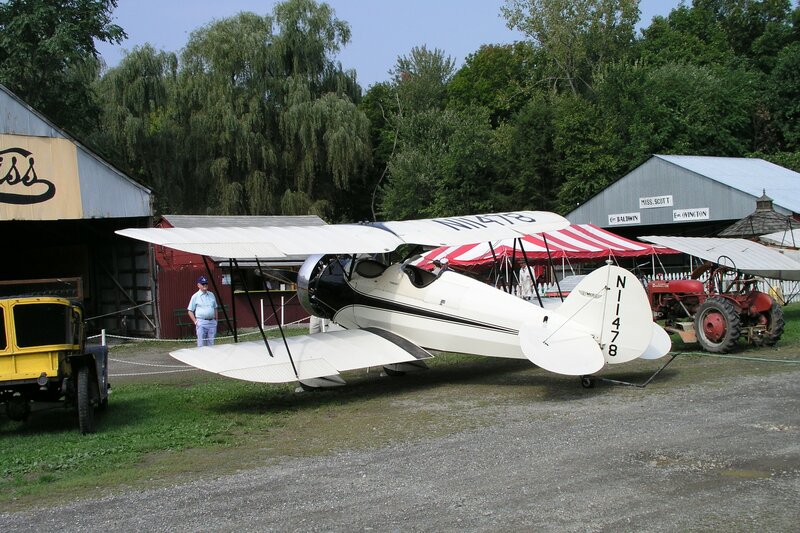 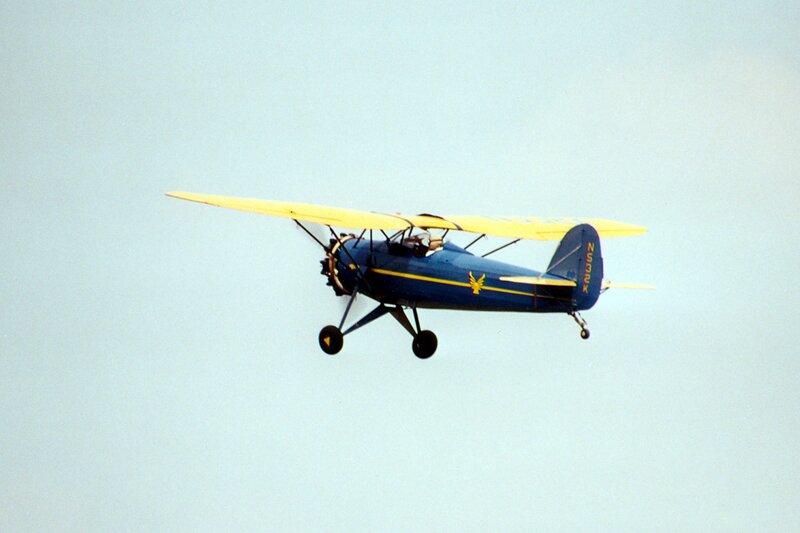 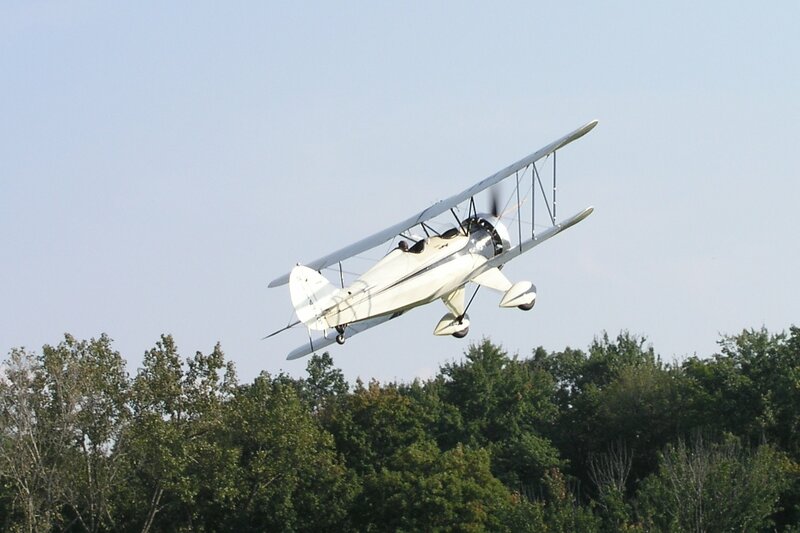 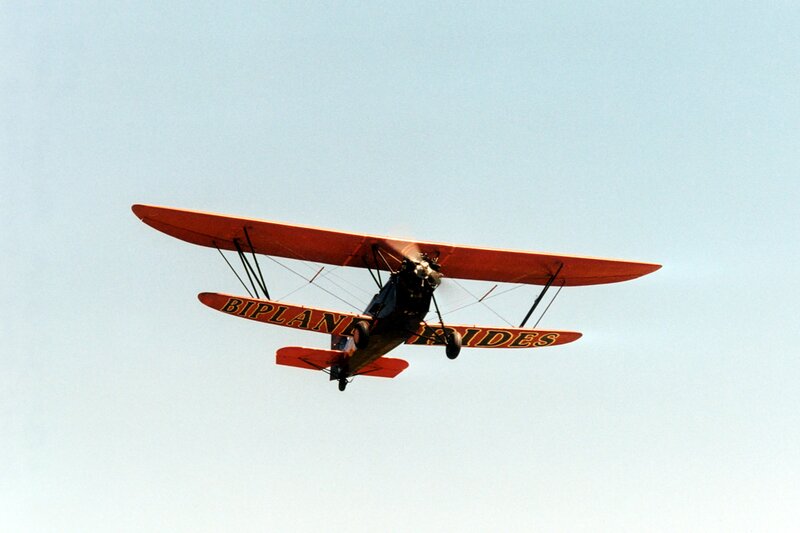 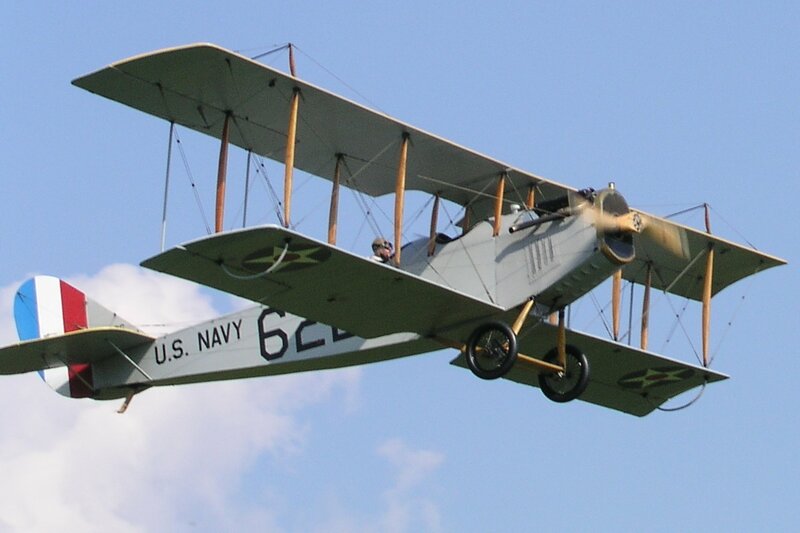 Biplane rides are available to take you over the beautiful Hudson River, the Kingston-Rhinecliff Bridge and Back again. 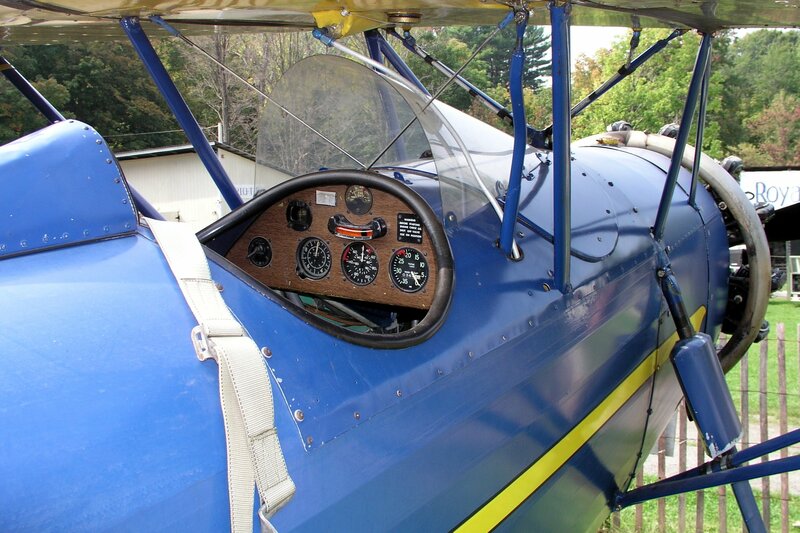 Flights are of course, “weather permitting” and the decision to fly is always left to the discretion of the pilot. 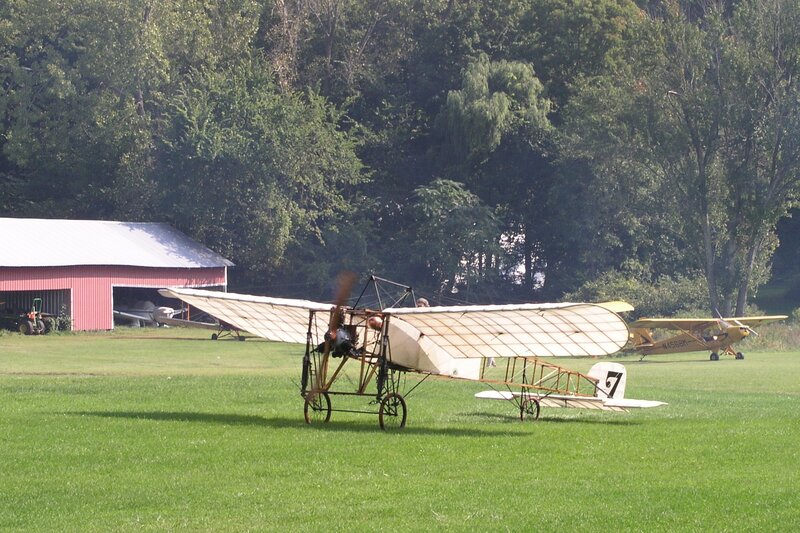 Flights book quickly on a “first-come / first-serve” basis, so sign up early! 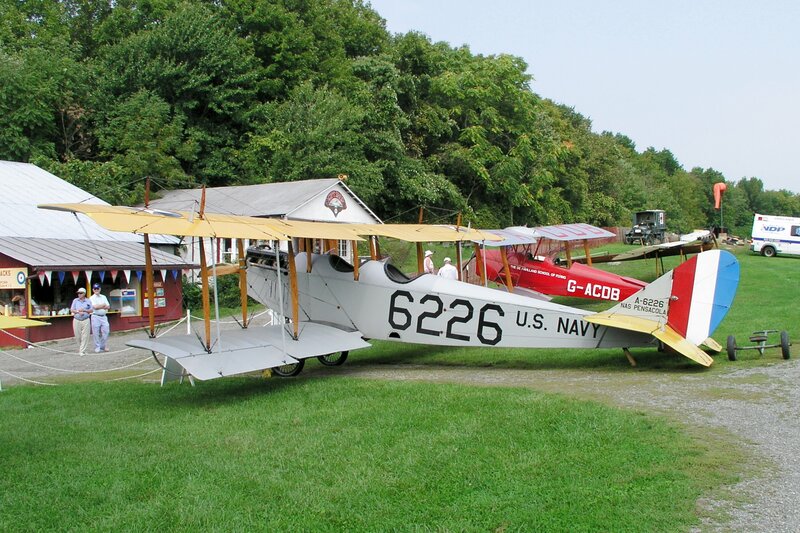 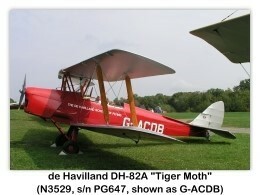 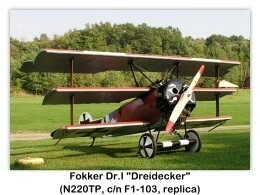 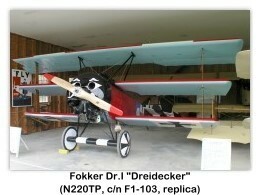 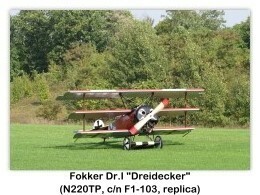 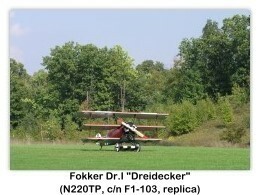 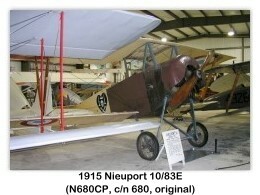 Weekdays the museum buildings are open and the air show aircraft are on static display. 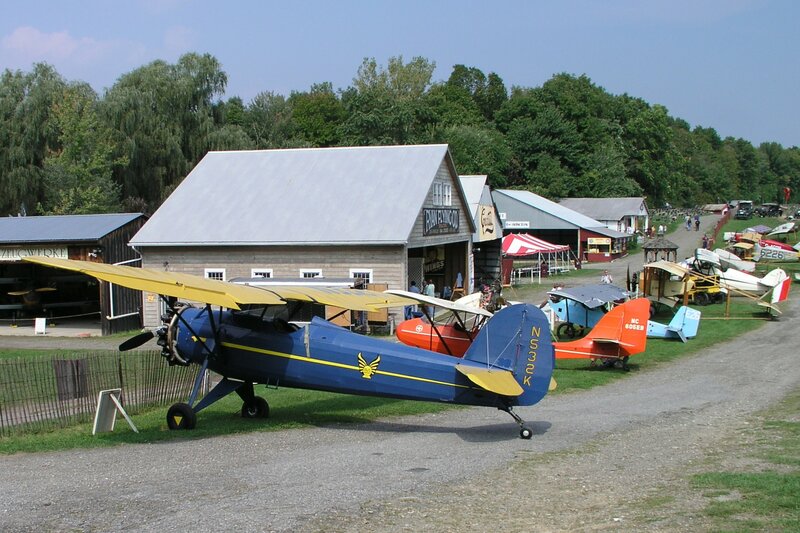 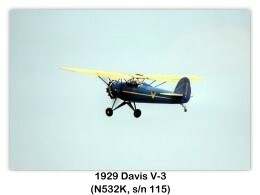 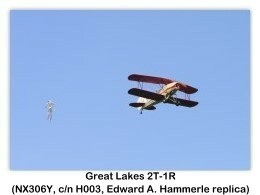 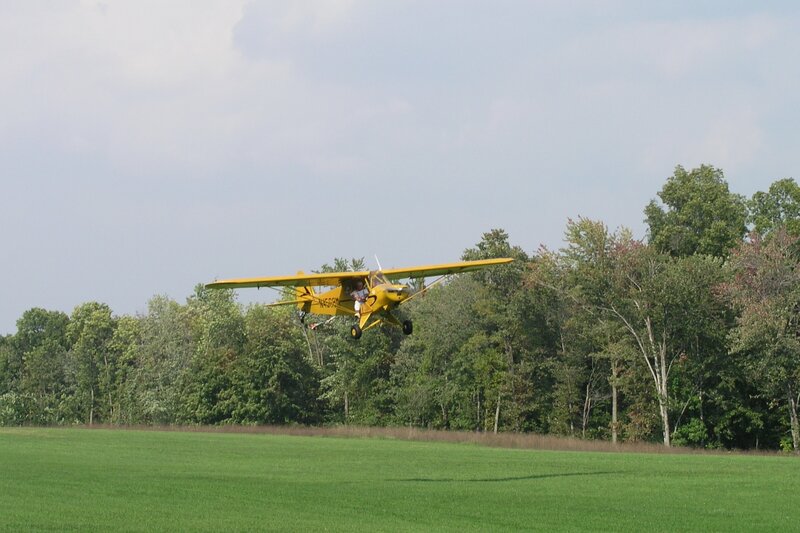 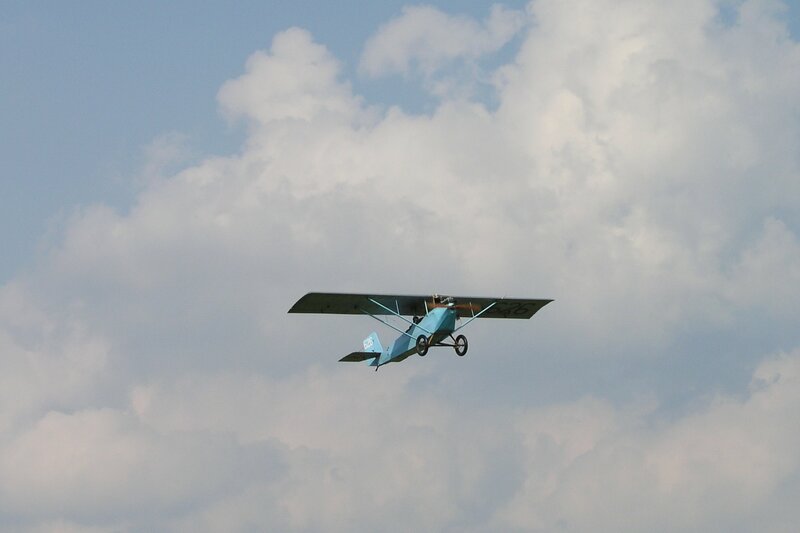 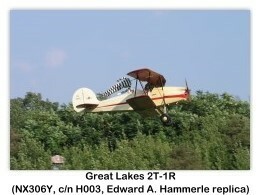 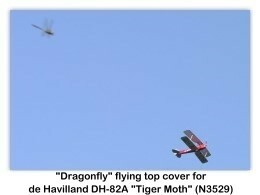 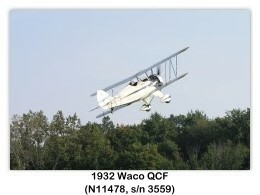 Group tours are available by prior arrangement as are the biplane rides and special events. 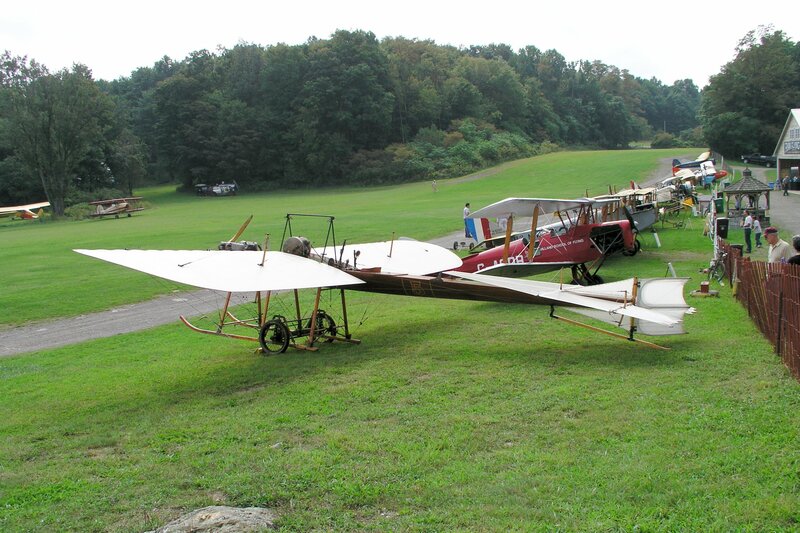 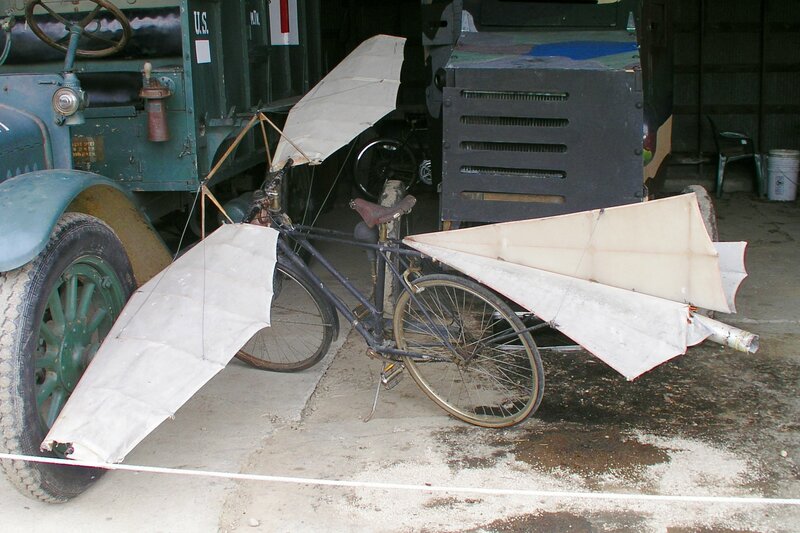 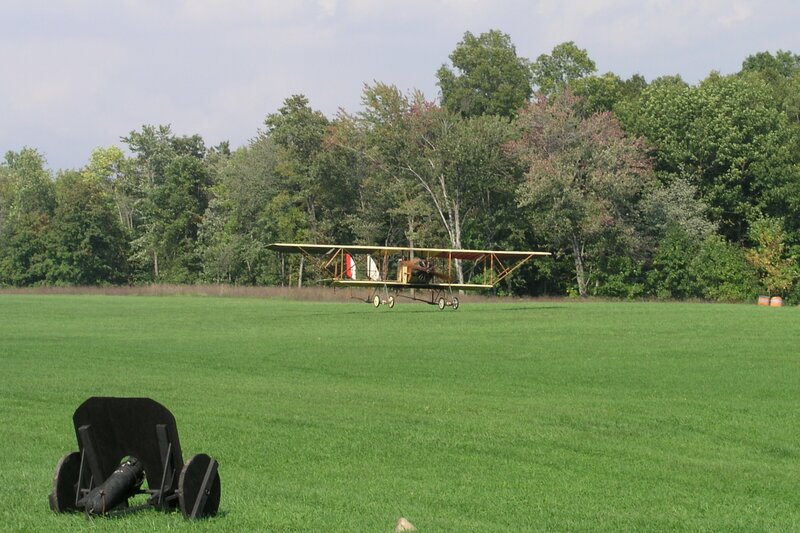 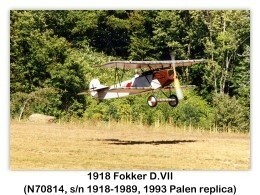 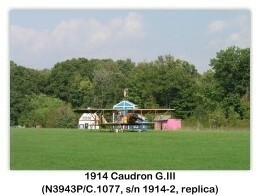 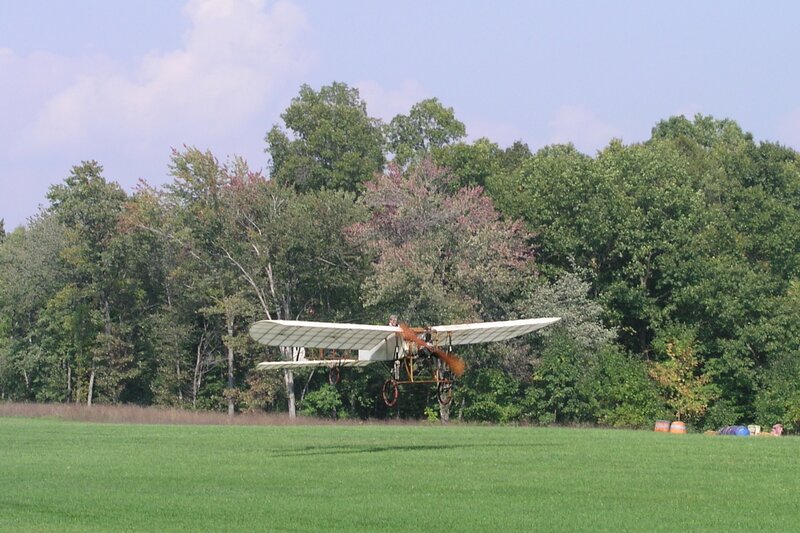 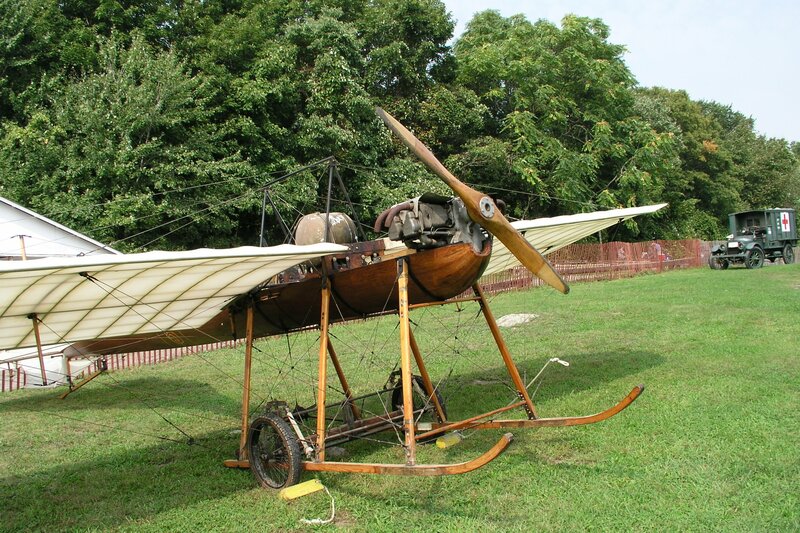 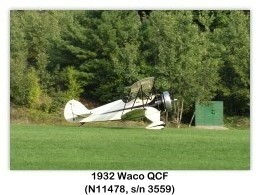 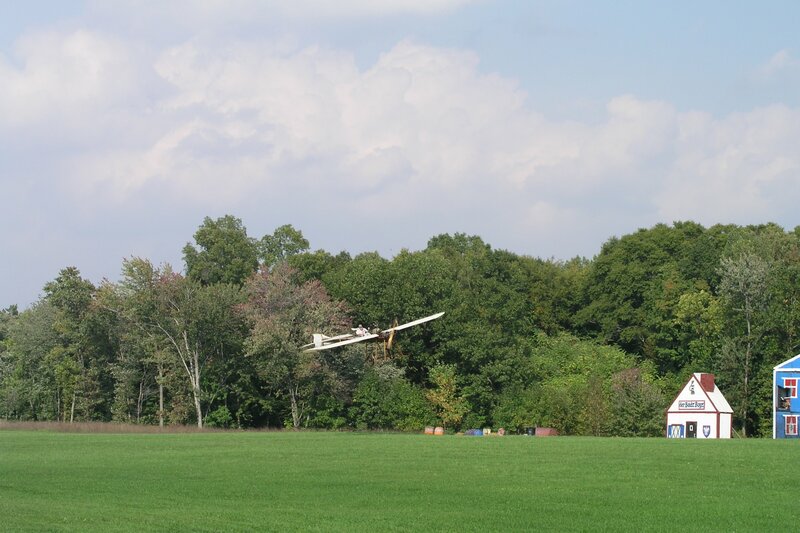 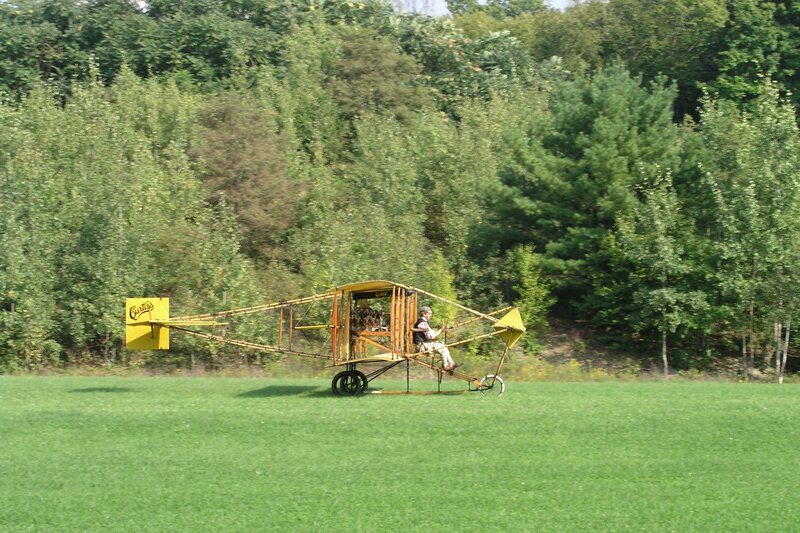 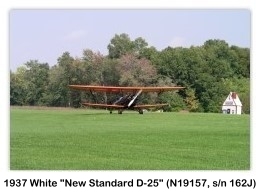 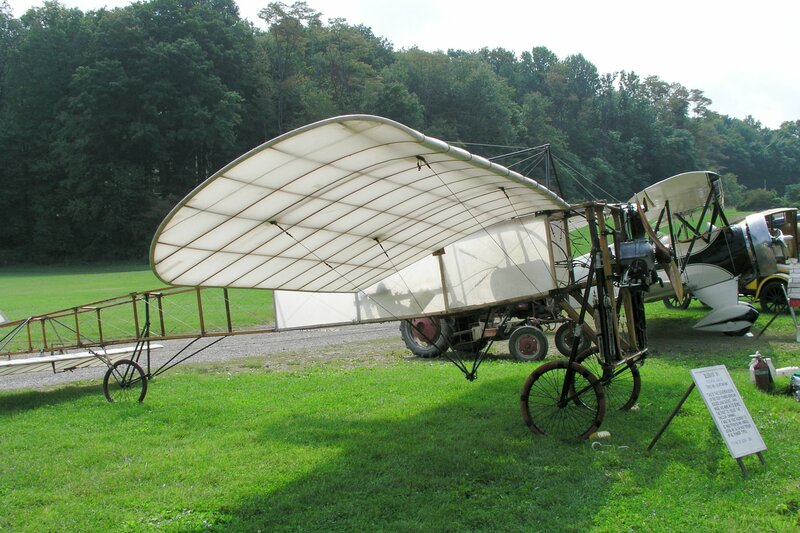 The Old Rhinebeck Aerodrome was the life's work of Cole Palen and his dream was to preserve early aviation. 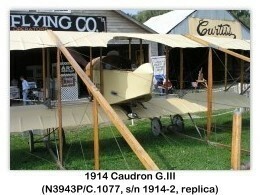 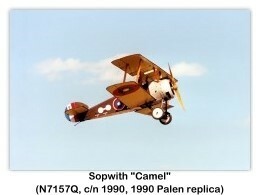 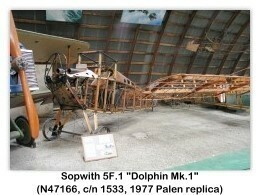 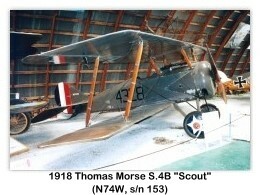 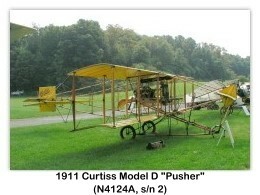 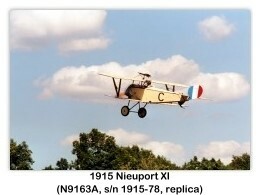 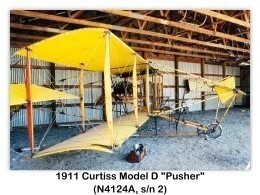 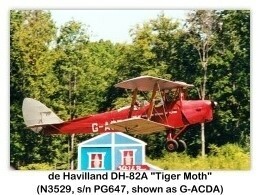 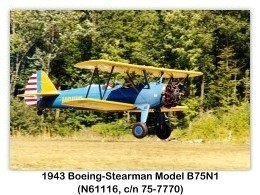 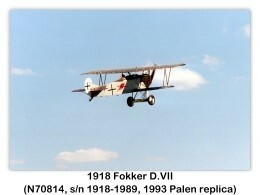 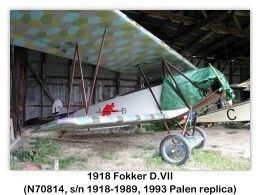 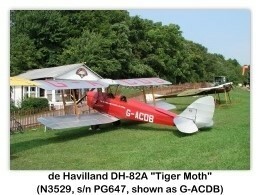 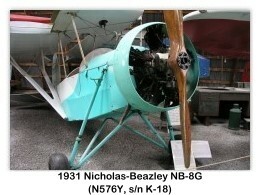 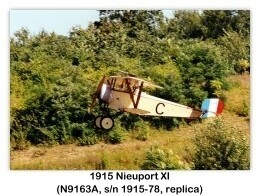 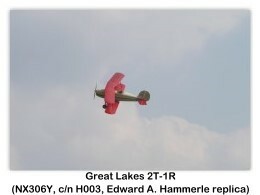 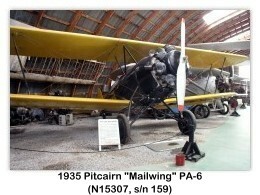 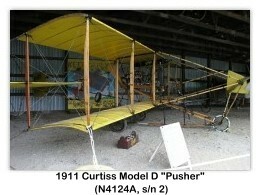 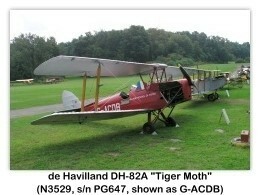 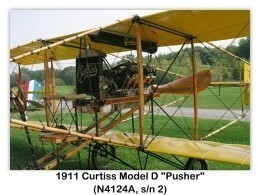 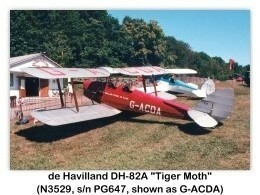 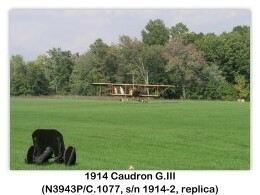 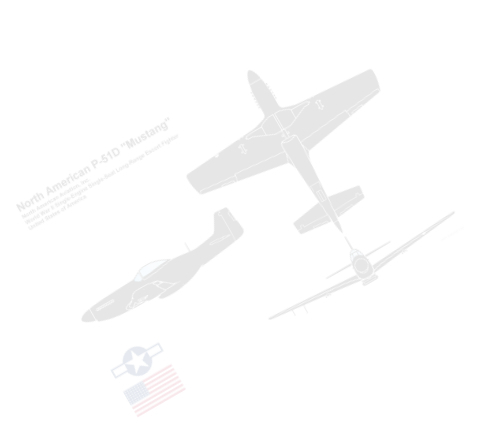 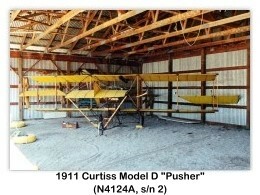 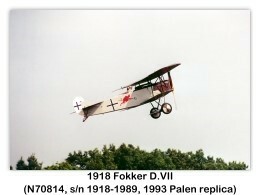 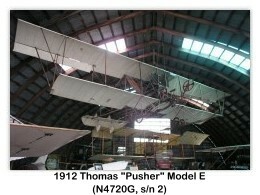 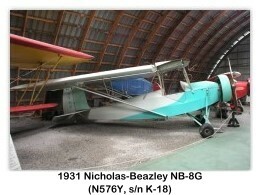 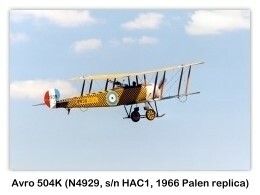 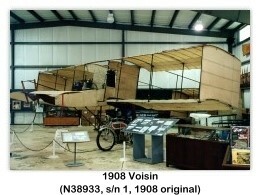 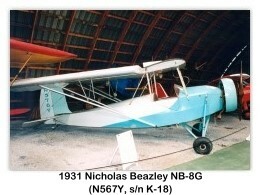 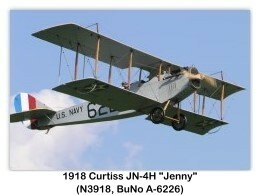 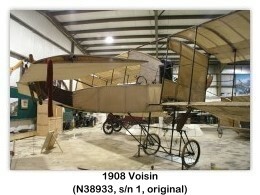 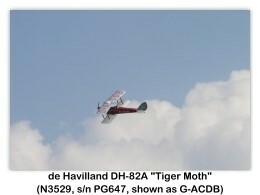 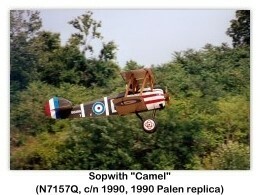 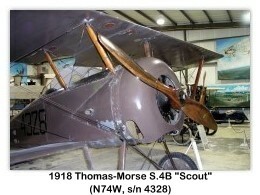 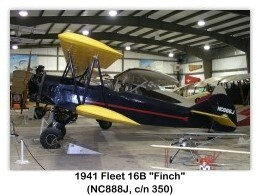 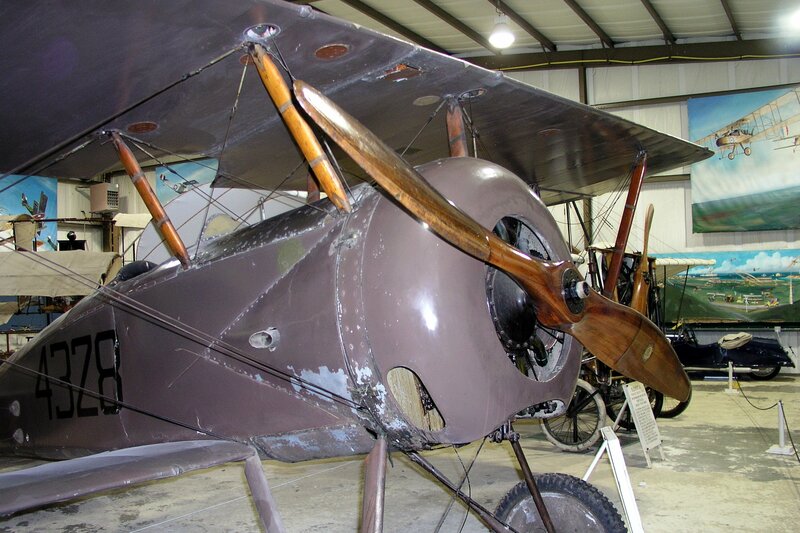 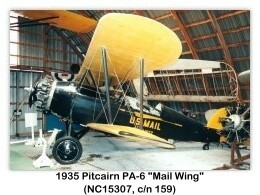 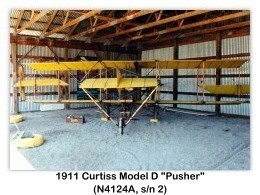 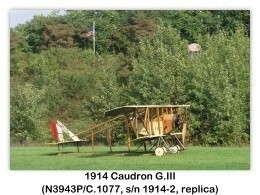 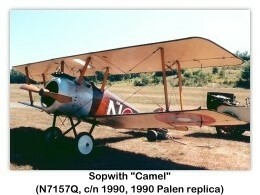 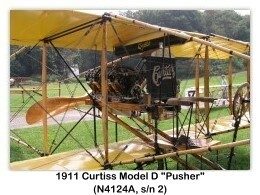 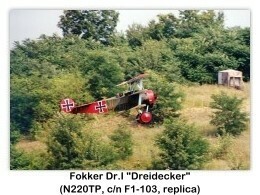 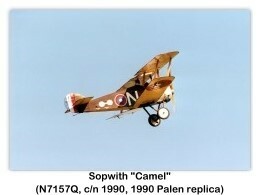 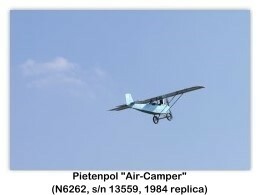 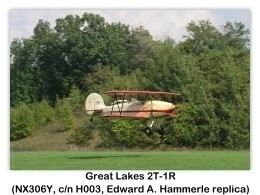 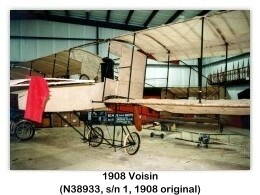 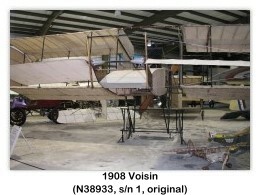 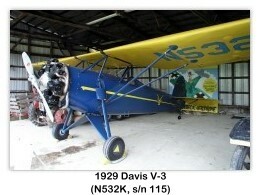 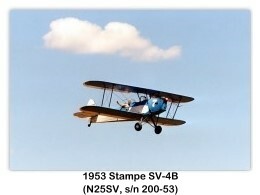 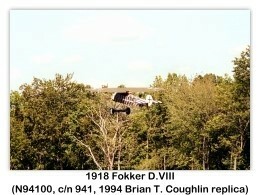 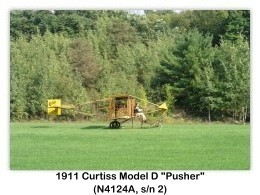 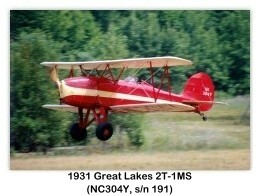 They are actively carrying on his work by promoting and preserving a “living” history of aviation for the public. 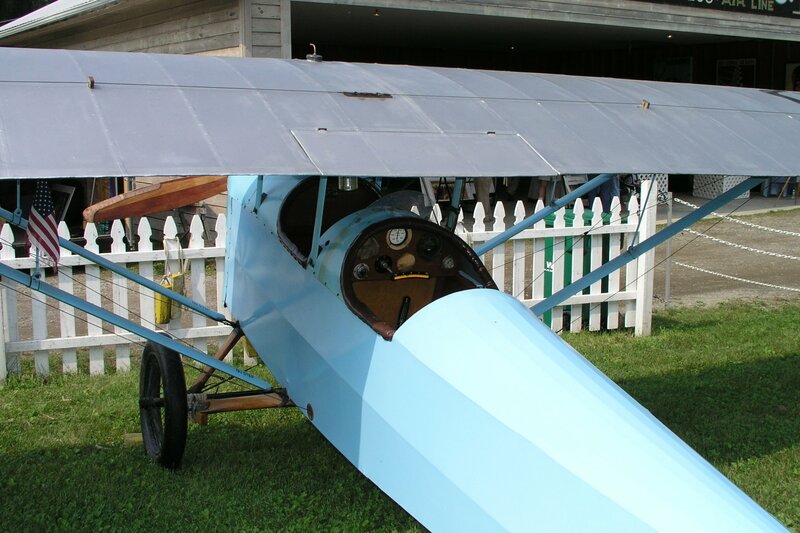 It is their hope to instill aviation's rich heritage and colorful past with all generations and to ensure it lives and flies forever! 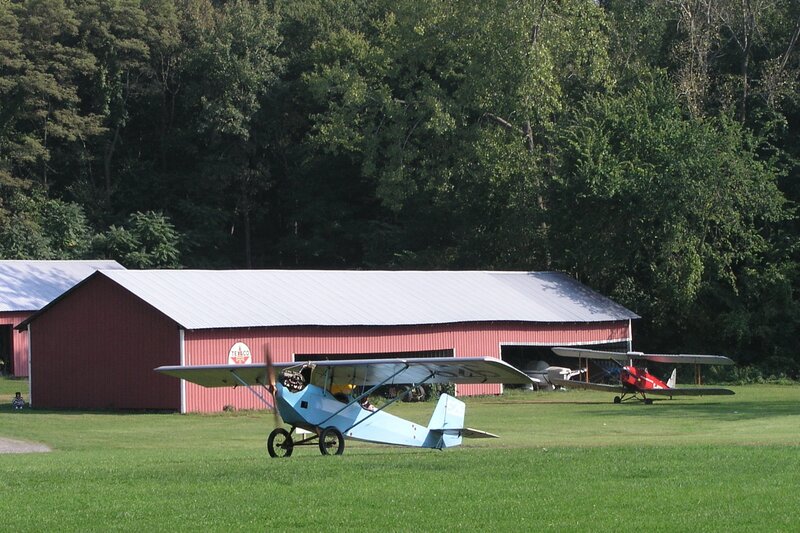 I was so impressed with the Old Rhinebeck Aerodrome, I became a member several years ago and continue to support them each year. 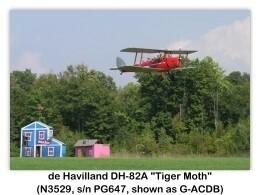 By the way, this is something that everyone who visits Air Museums should do. 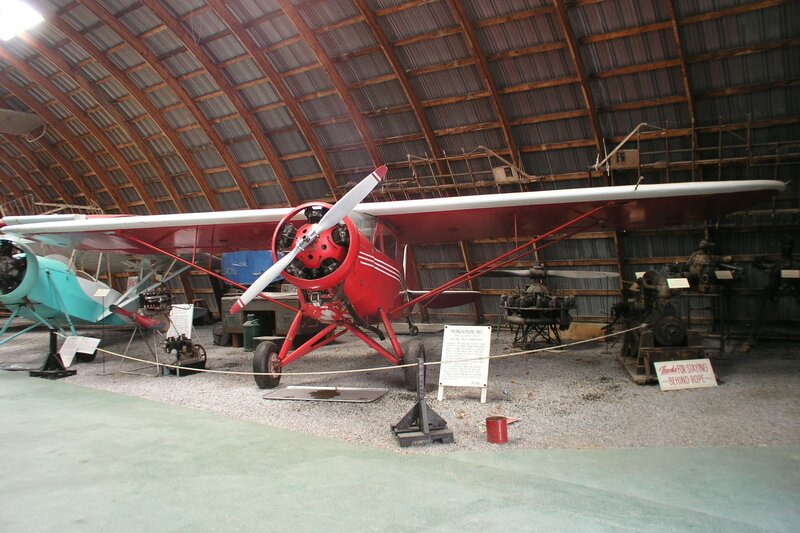 Instead of buying a ticket to get in, become a member of the museum. 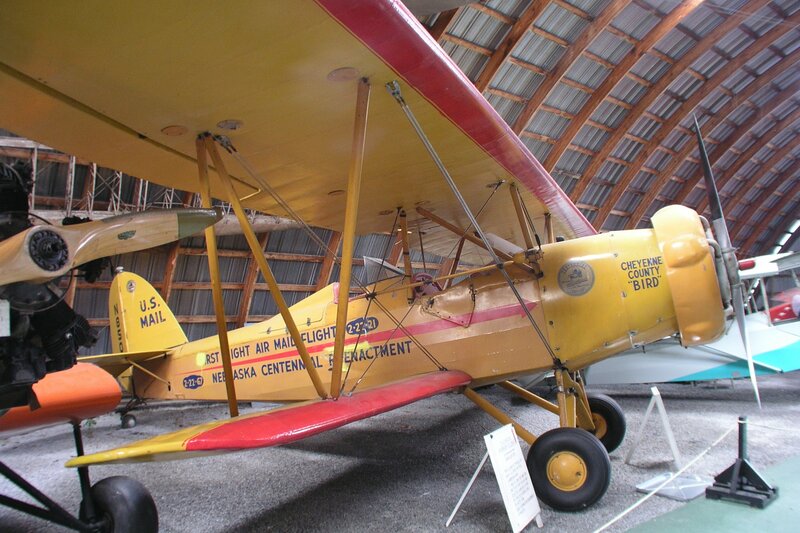 Advantages are: (1) tax benefits; (2) you receive their newsletters; (3) you receive invitations to “members only” events; (4) you can visit the museum as been many times as you wish. 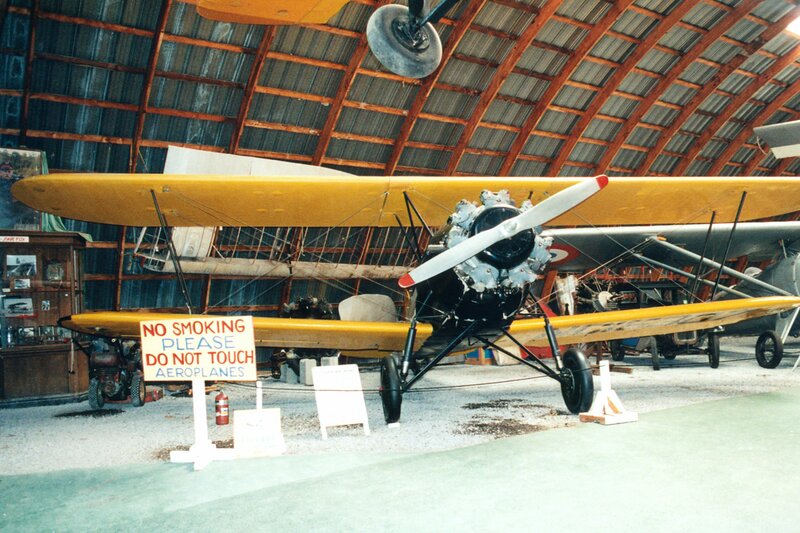 Better yet, do all that and then become a museum volunteer or docent! 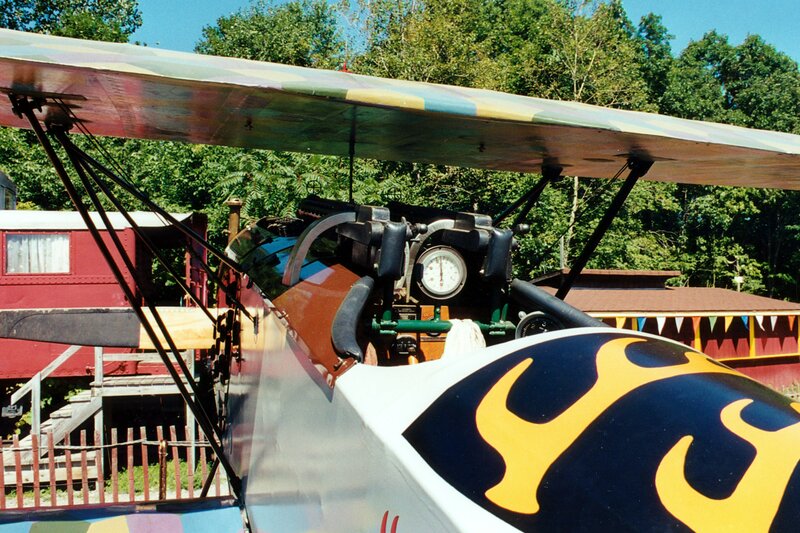 You'll never regret it. 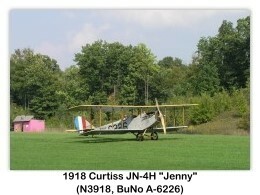 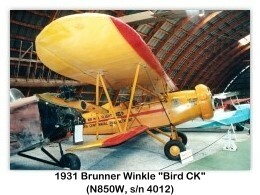 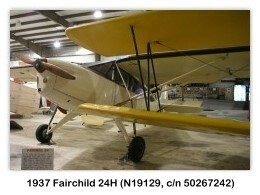 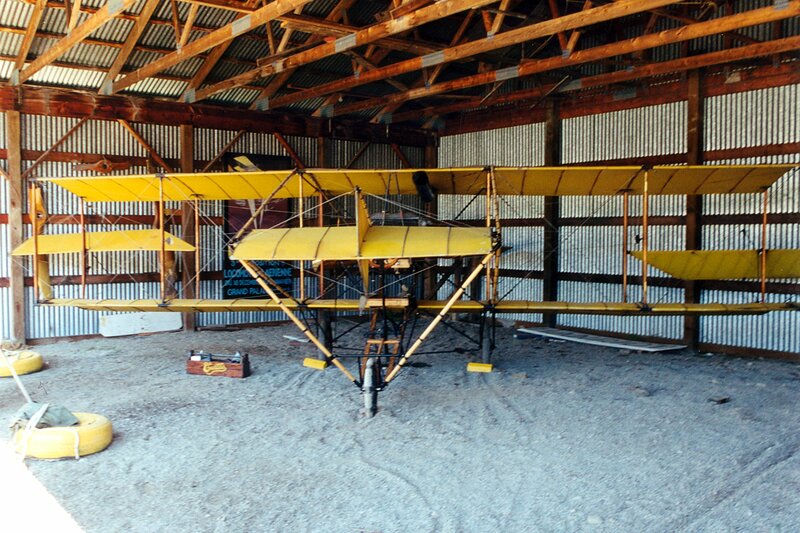 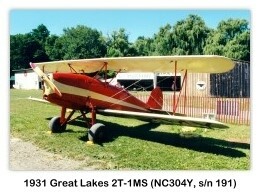 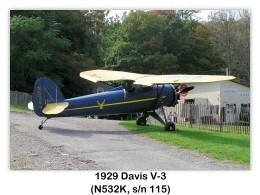 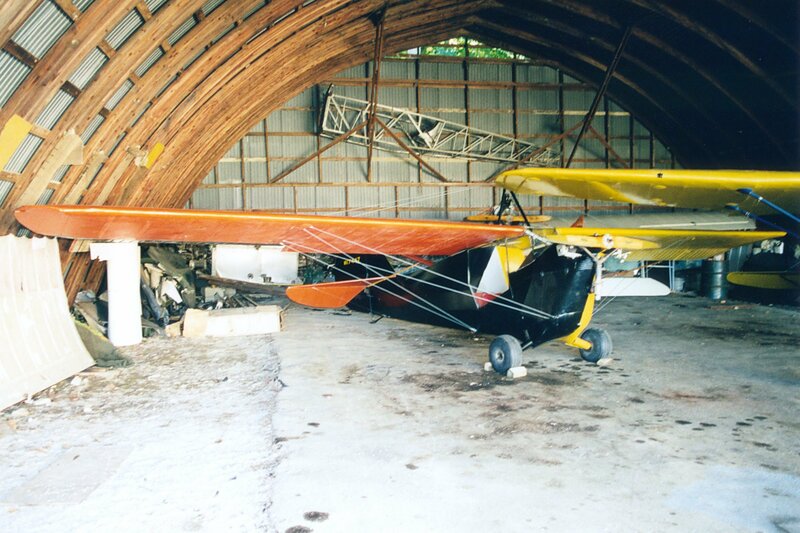 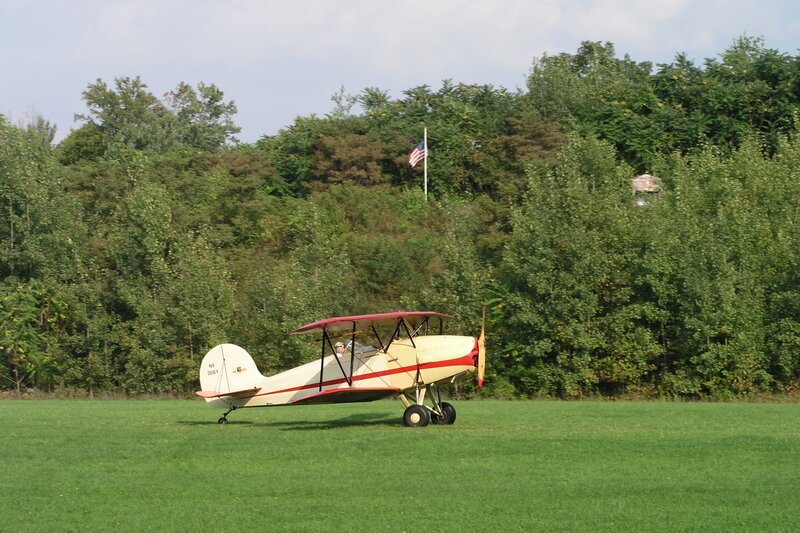 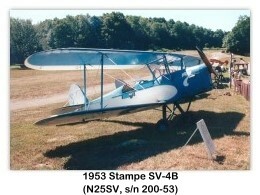 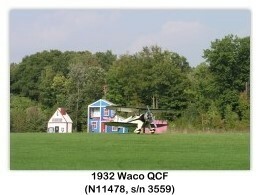 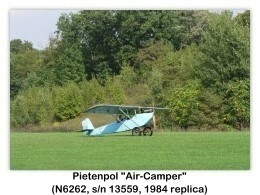 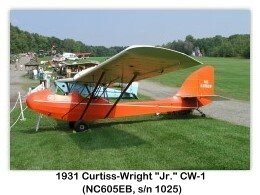 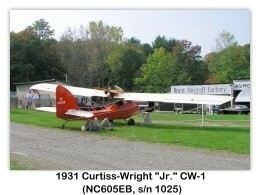 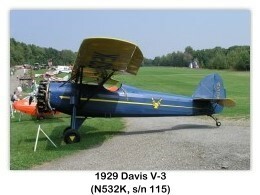 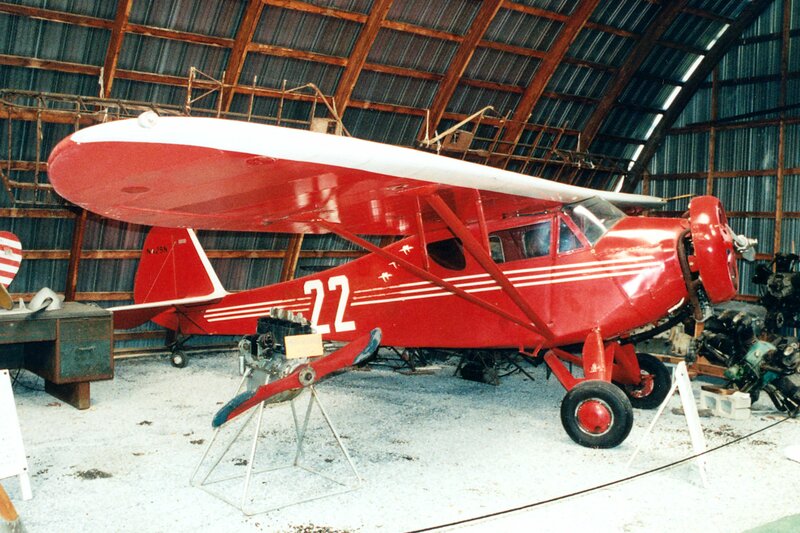 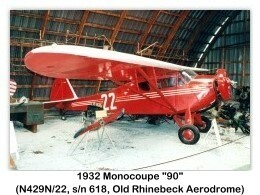 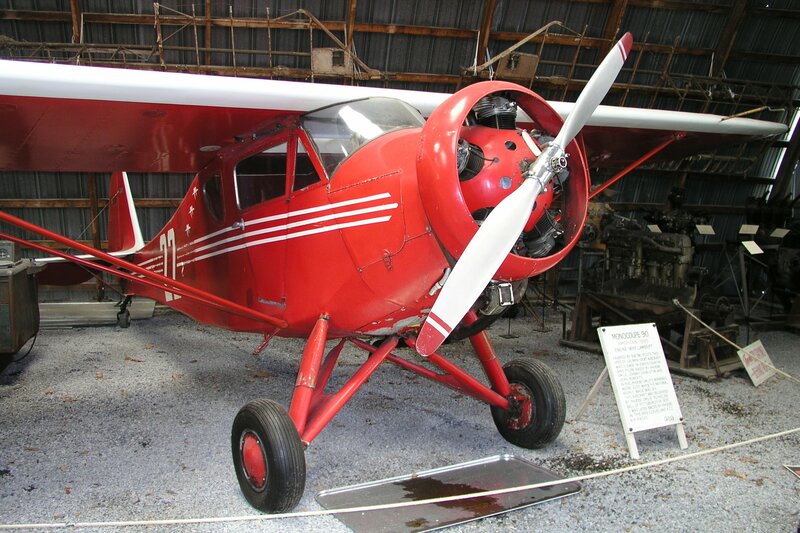 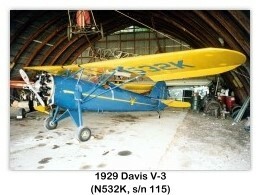 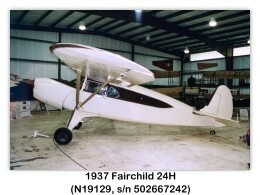 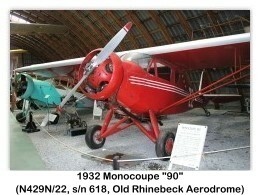 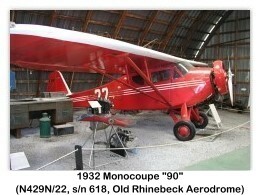 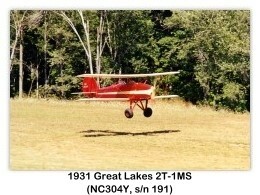 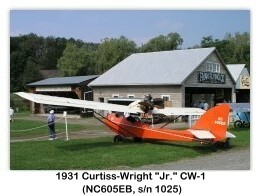 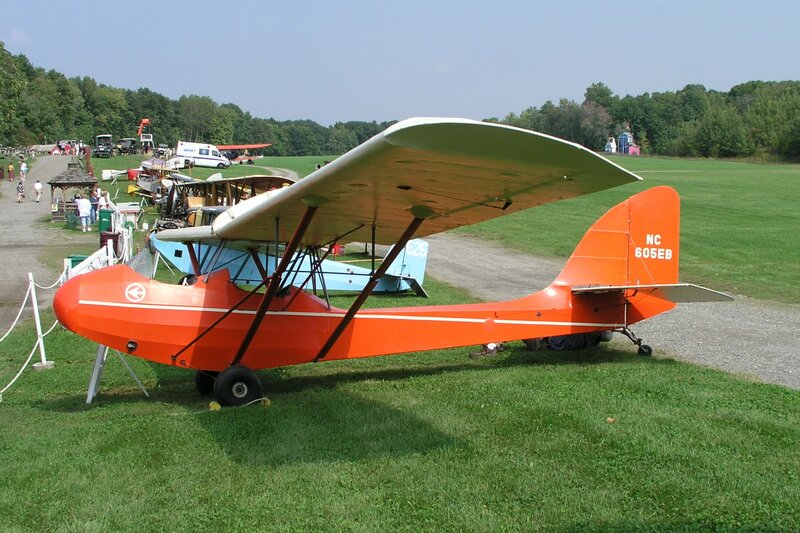 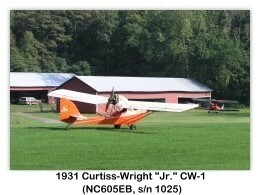 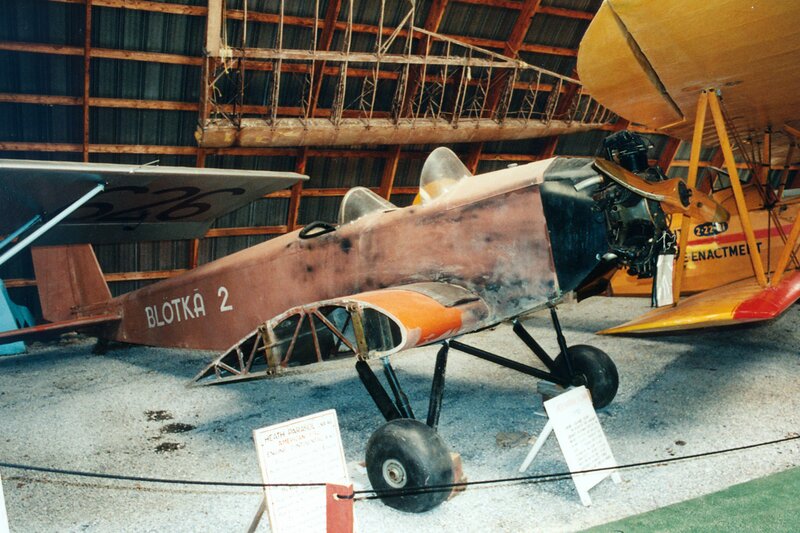 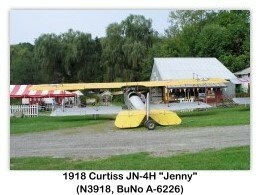 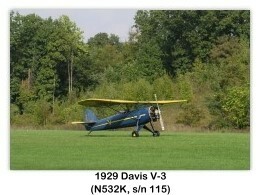 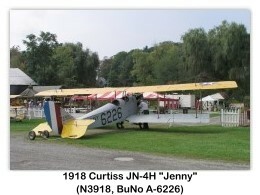 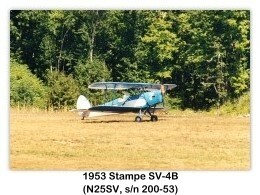 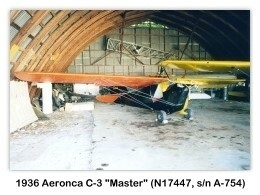 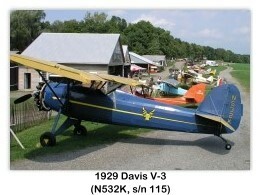 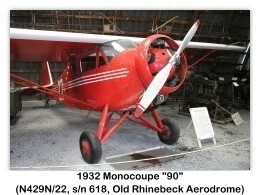 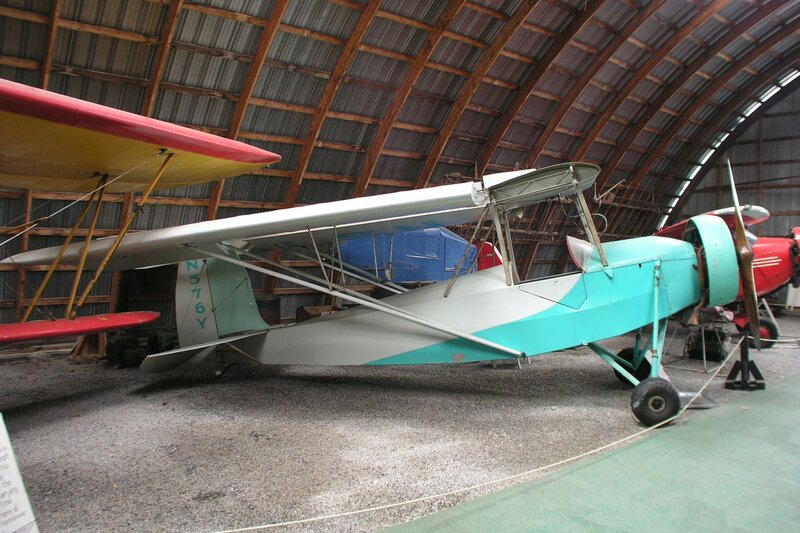 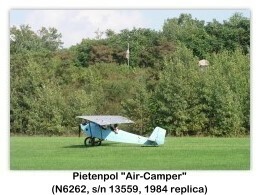 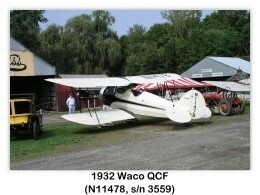 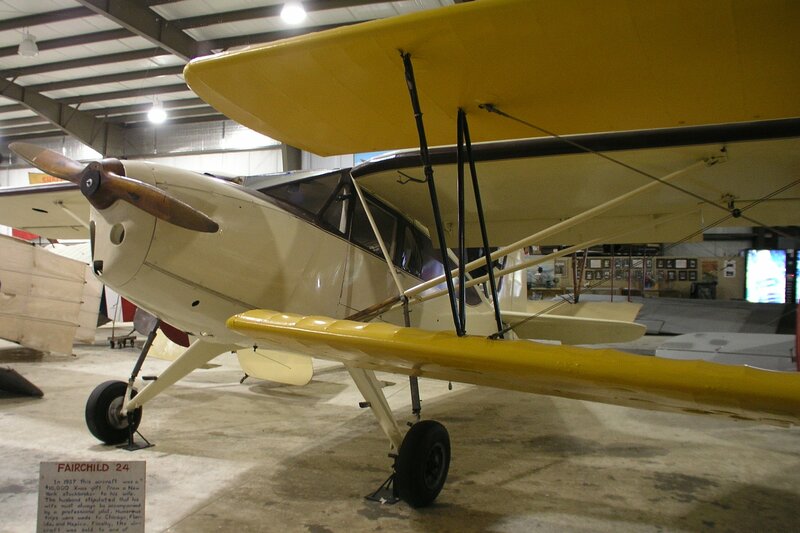 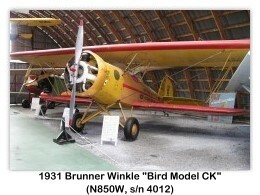 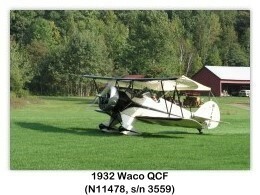 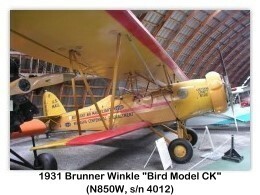 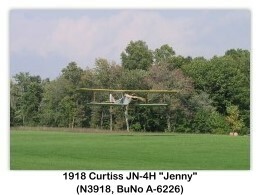 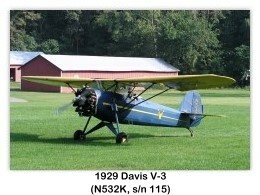 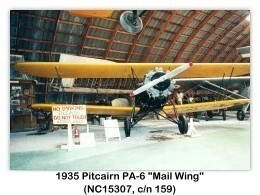 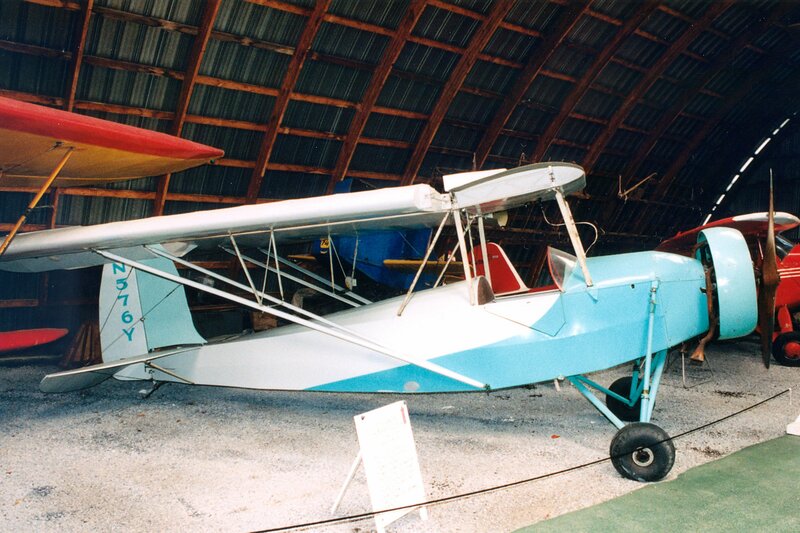 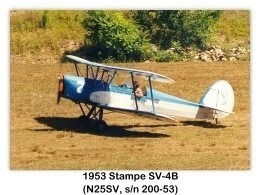 I live on the West Coast, and I have visited the Old Rhinebeck Aerodrome three times. 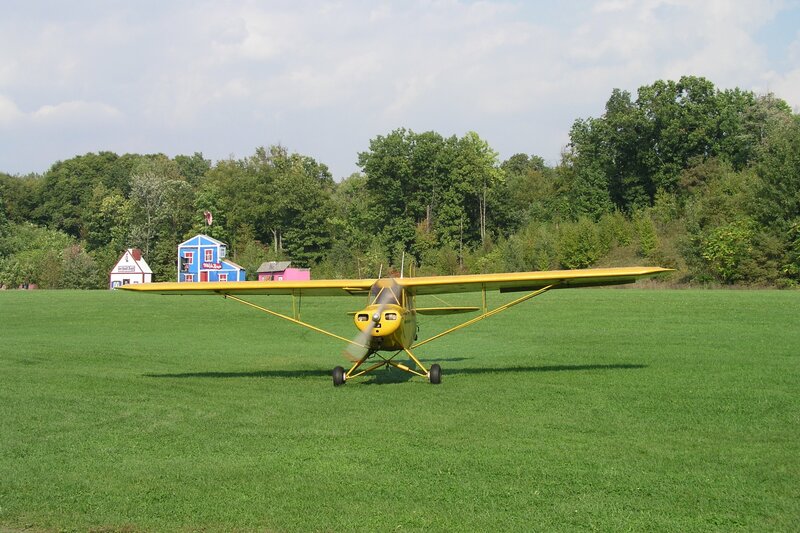 Each time was just as much fun as the first time. 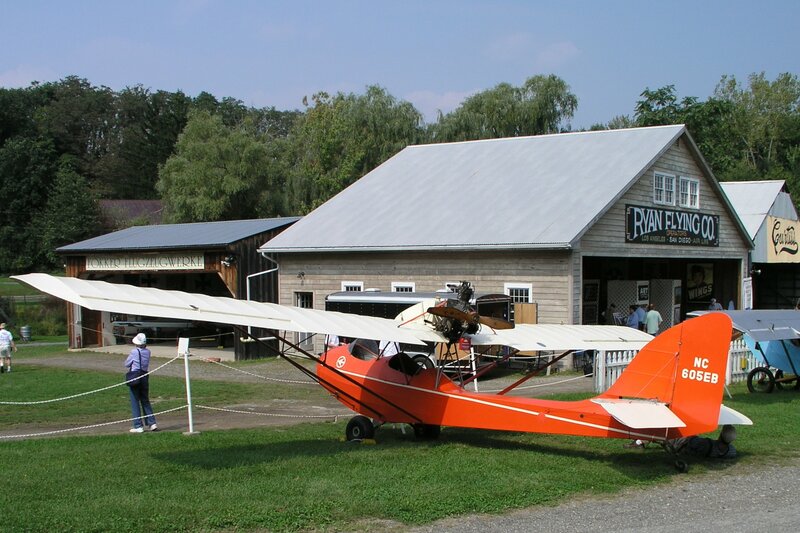 Even though I've been there several times, the Old Rhinebeck Aerodrome is always on the top of my “Bucket List” for just one more visit! 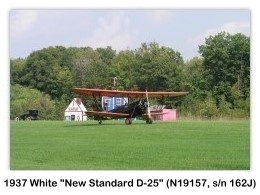 The “mini-video” above includes 100 of the 269 photos shown below. 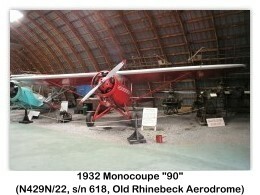 The photos were taken during several trips to the ORA by John Shupek.